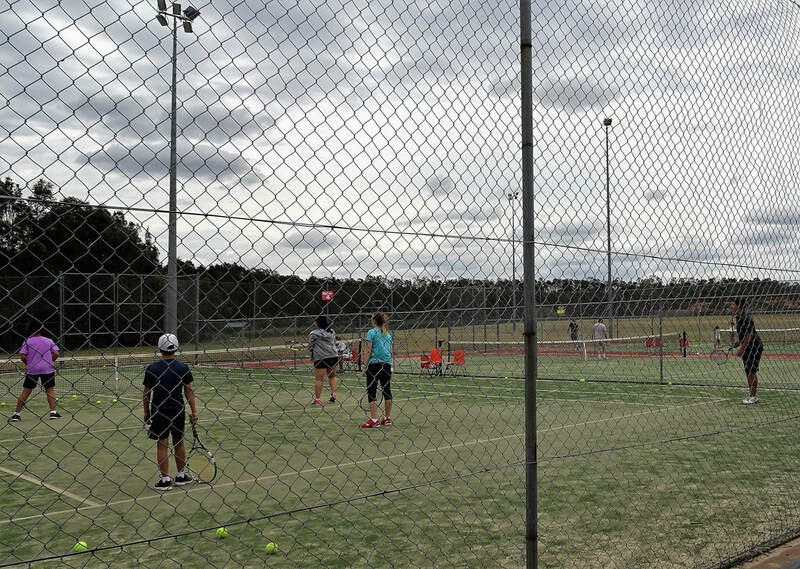 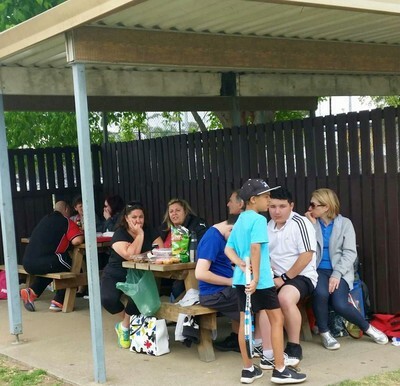 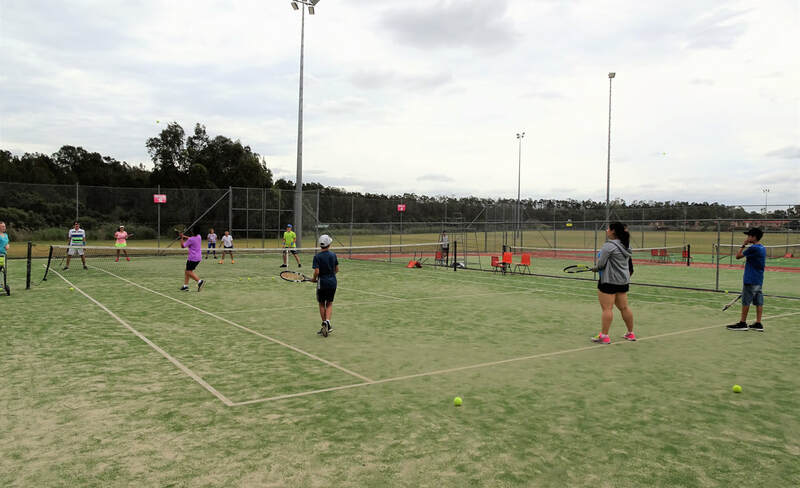 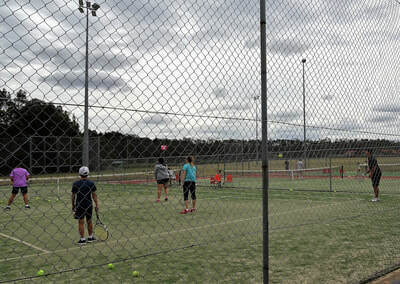 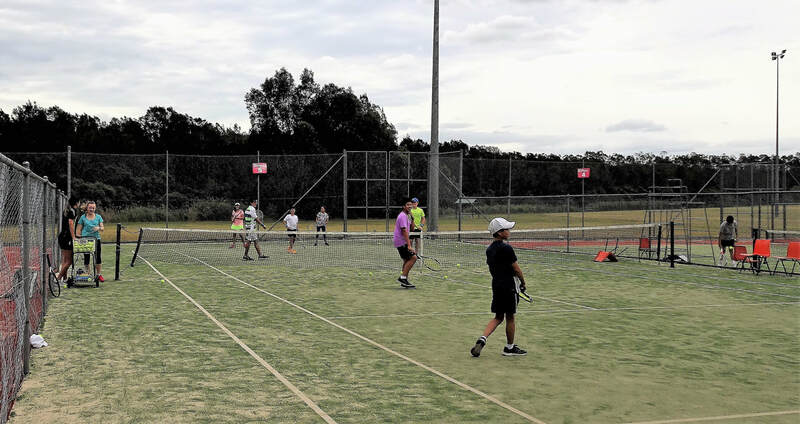 Following the Junior Age Tournament on Sunday 7 April 2019 come along on Monday evening to support your local association, enjoy a meal with fellow players as well as fun, games, facepainting and more and find out where and how you can play tennis in Canterbury Bankstown! 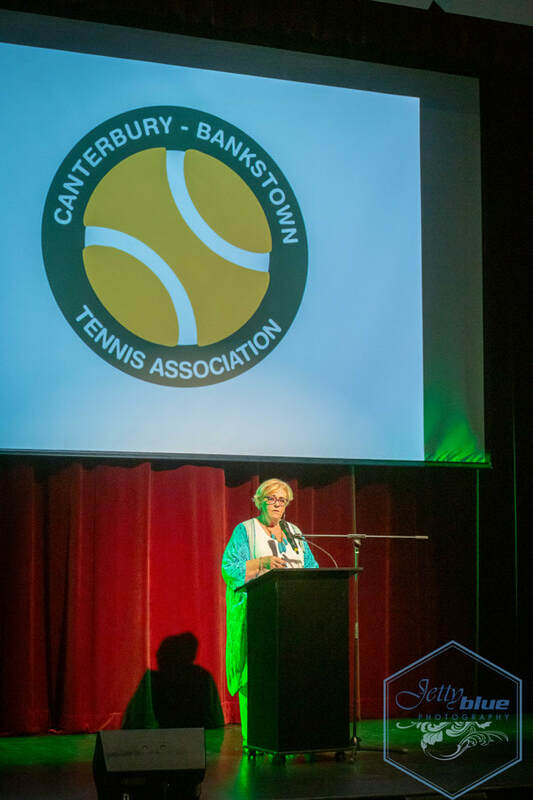 A percentage of all sales will go towards CBTA for upgrades and equipment such as proposed lighting installation for junior Hot Shots courts to enhance our junior coaching and development program year round! 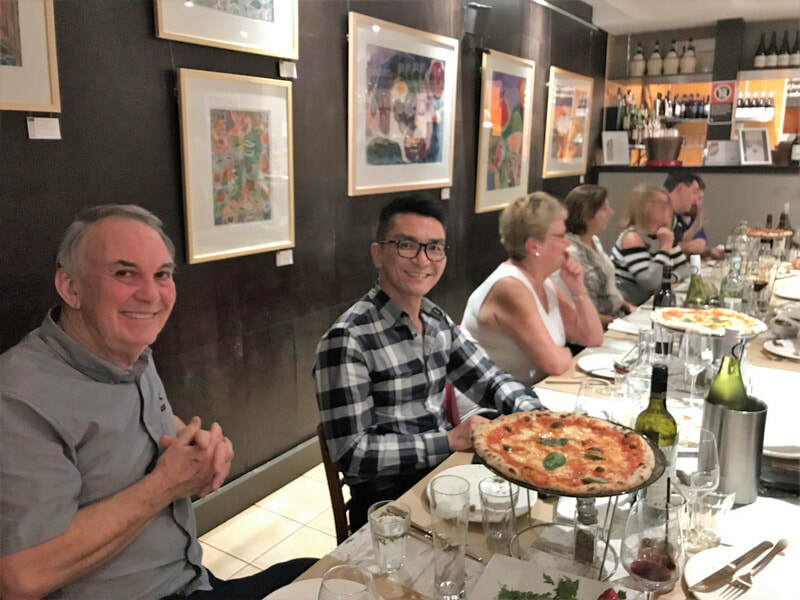 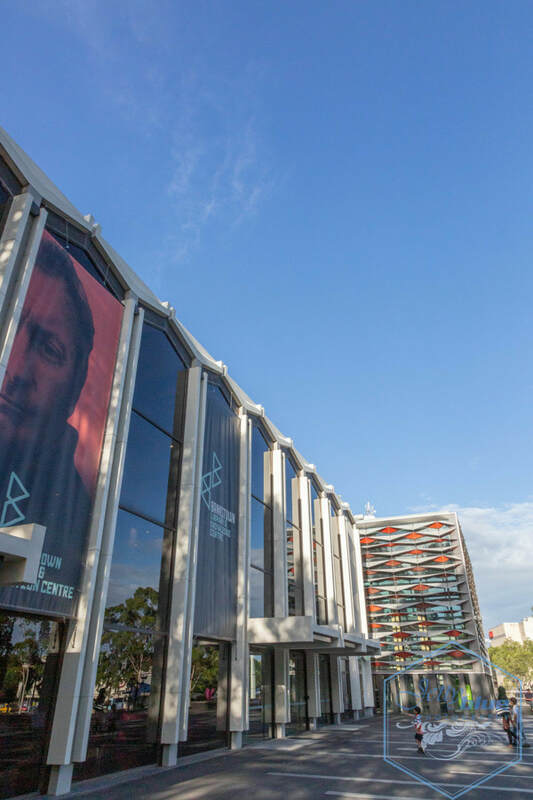 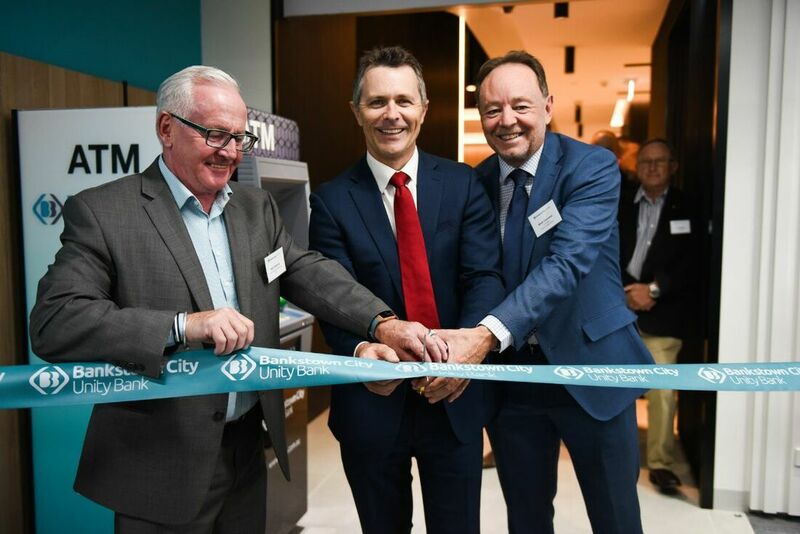 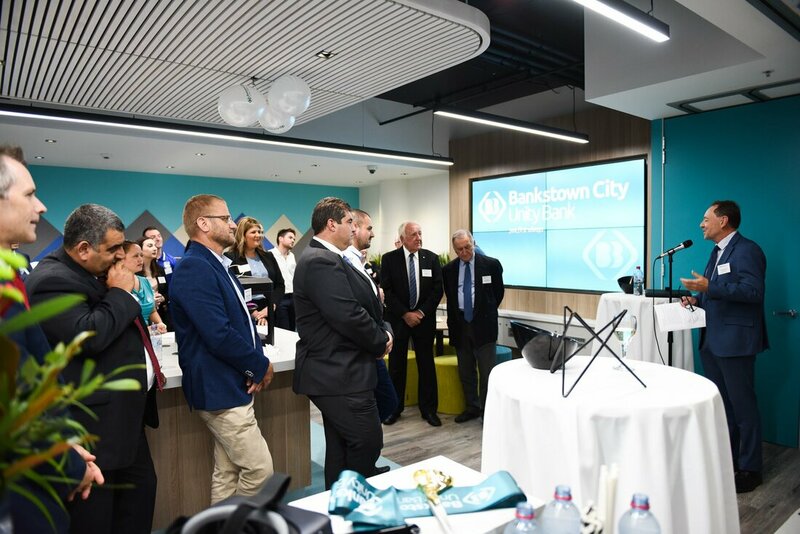 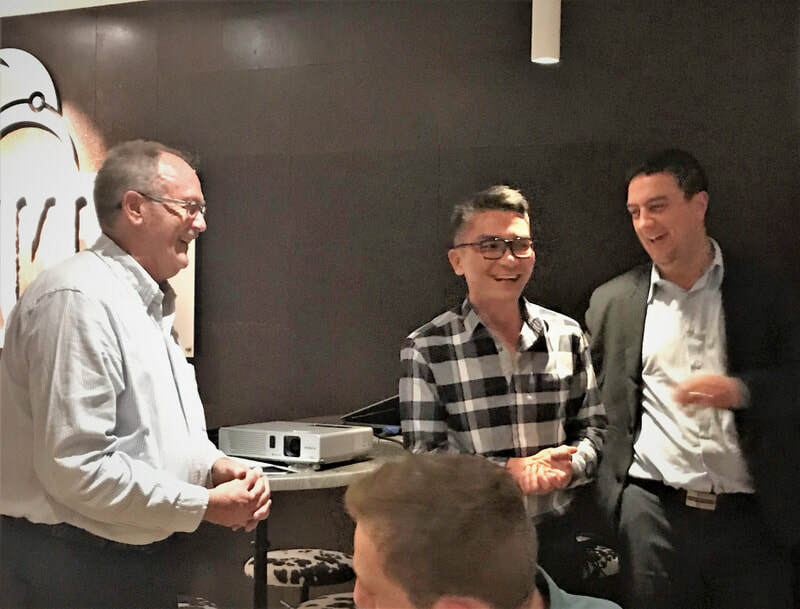 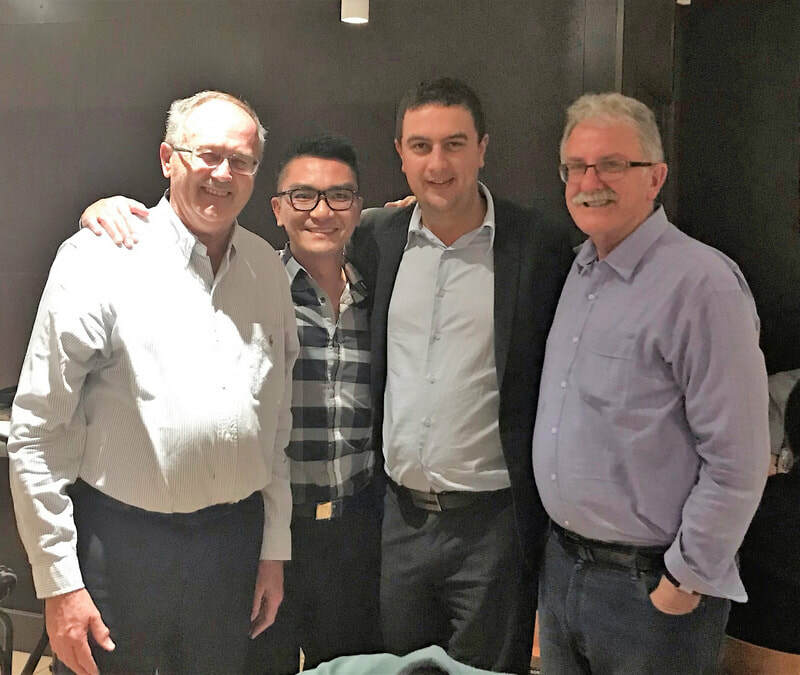 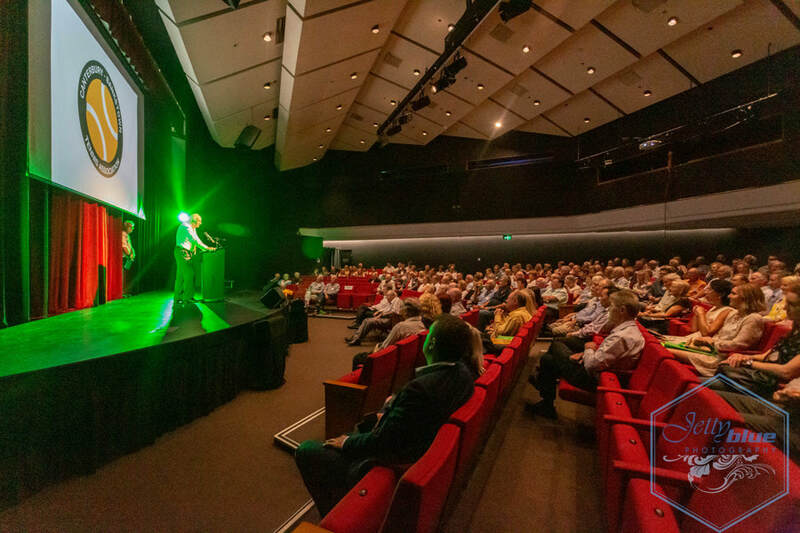 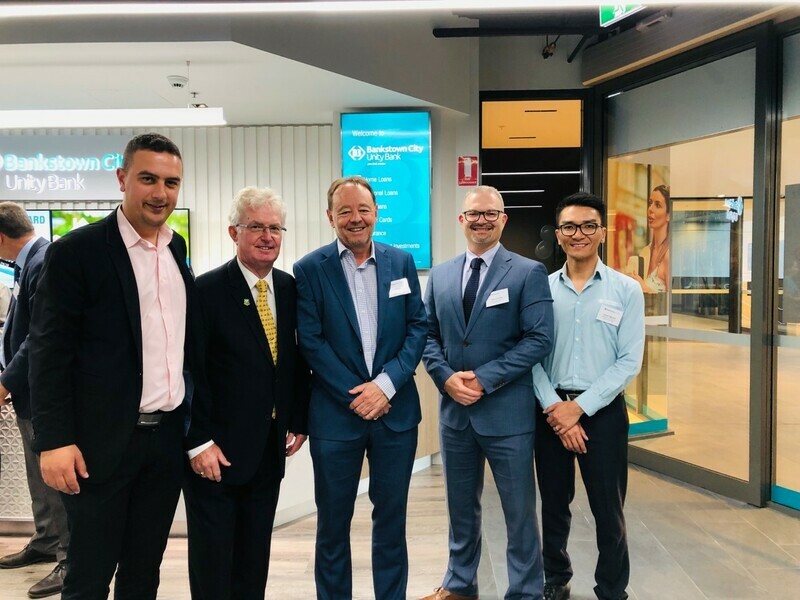 Attended by Shane Merry and Roger Pitt of CBTA, Mark Genovese (Chief Executive Officer, Unity Bank), Steve Vassallo (General Manager, Bankstown City Unity Bank), Steven Nguyen (Relationship Manager). 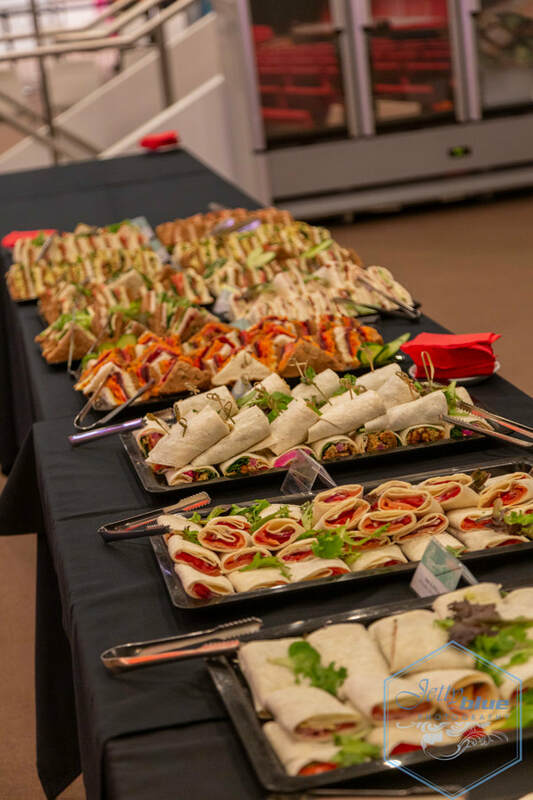 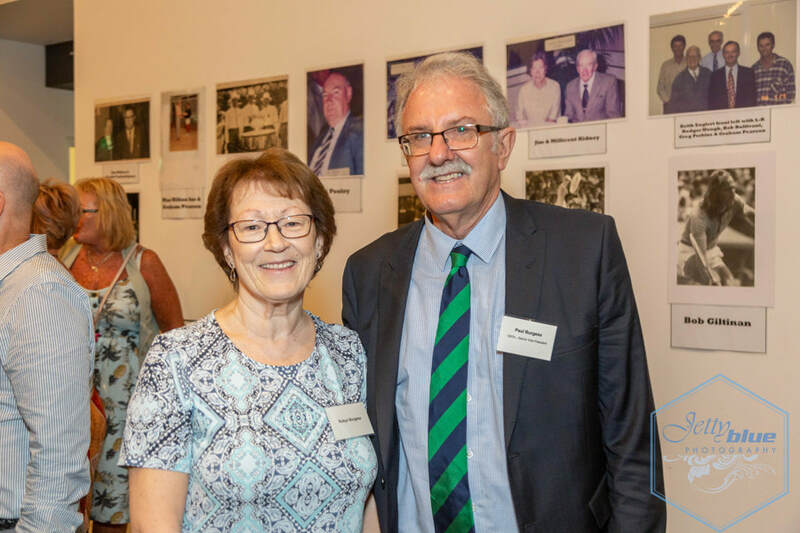 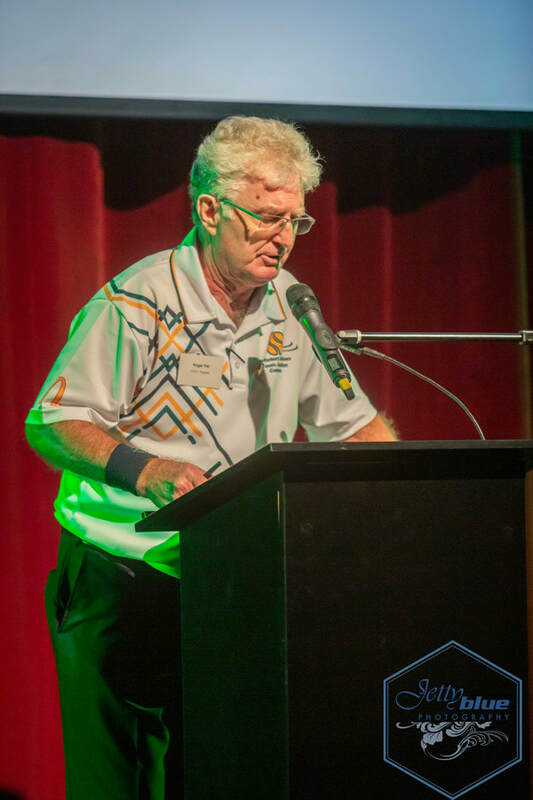 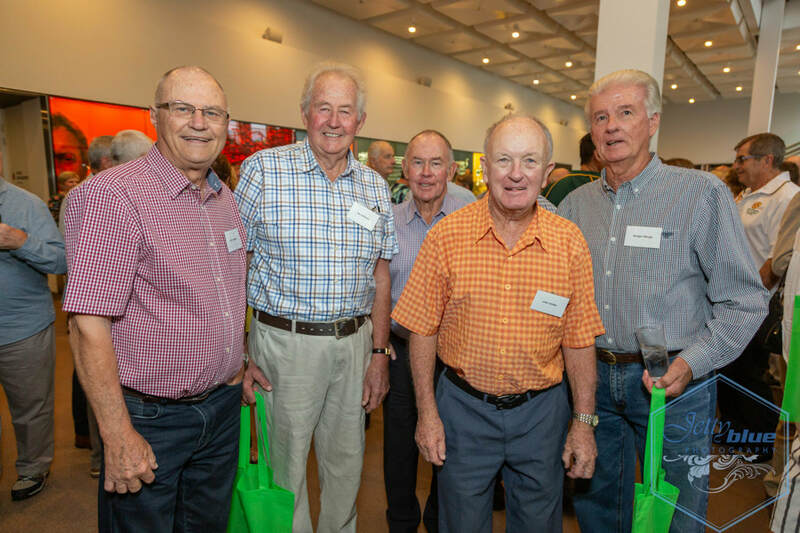 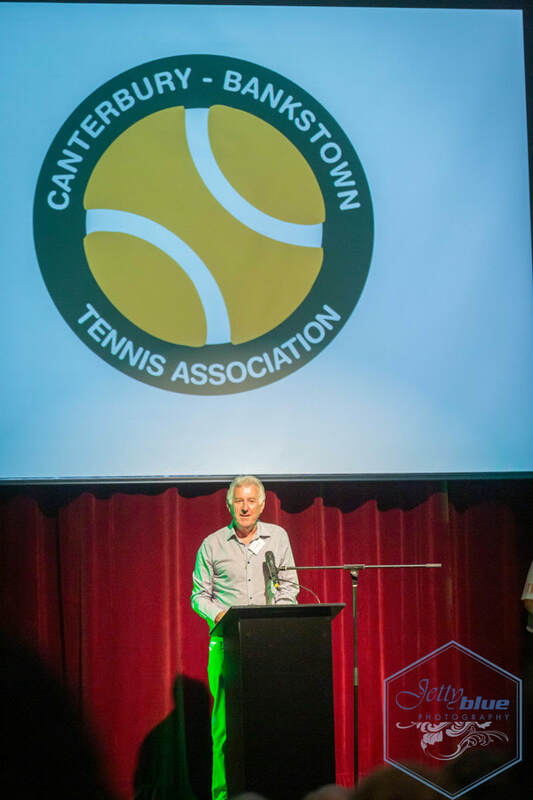 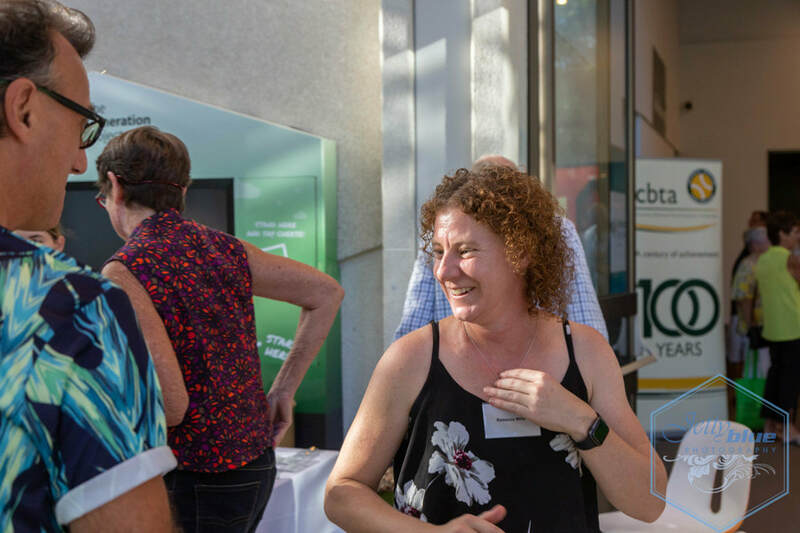 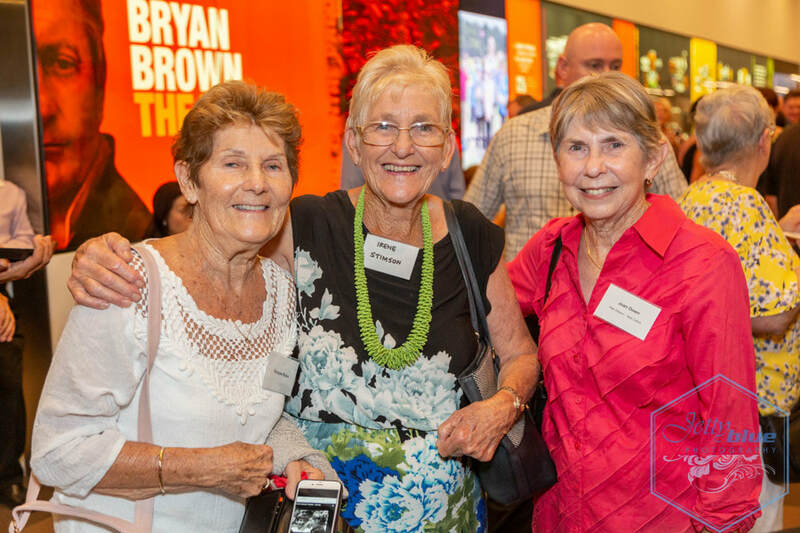 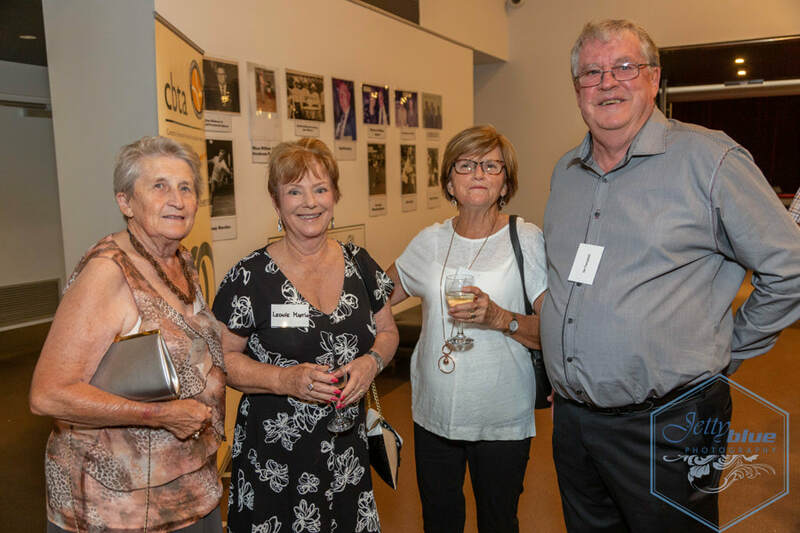 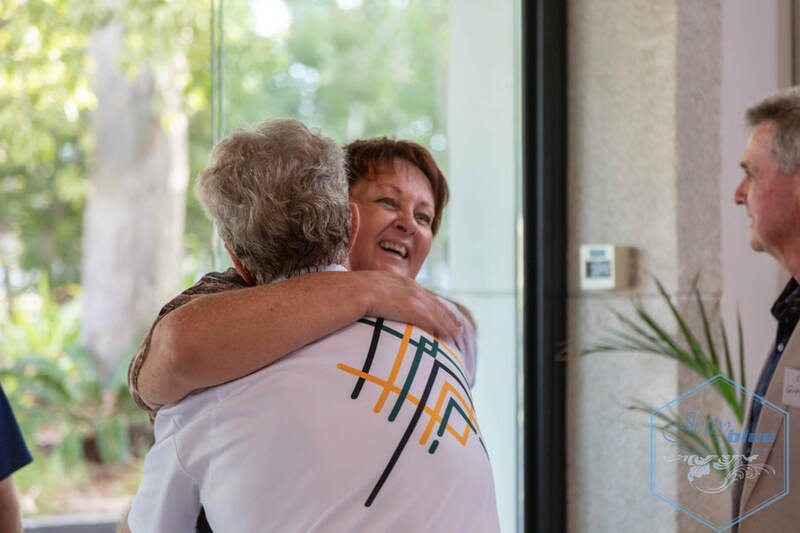 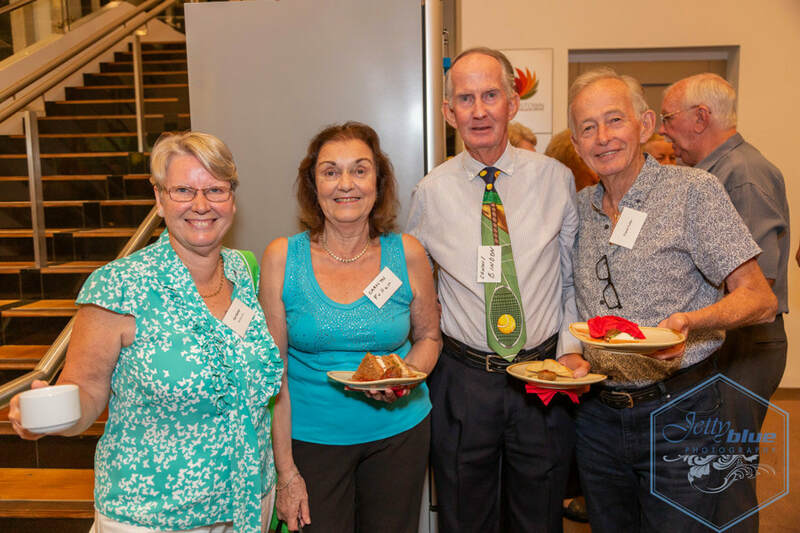 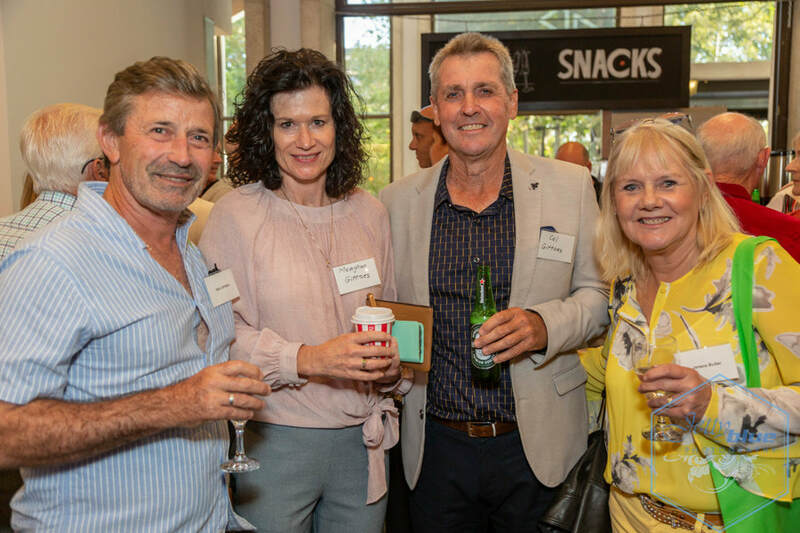 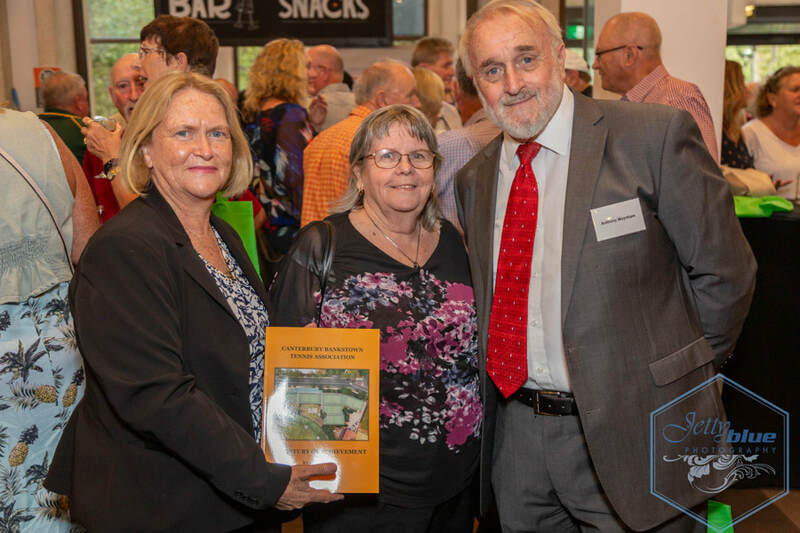 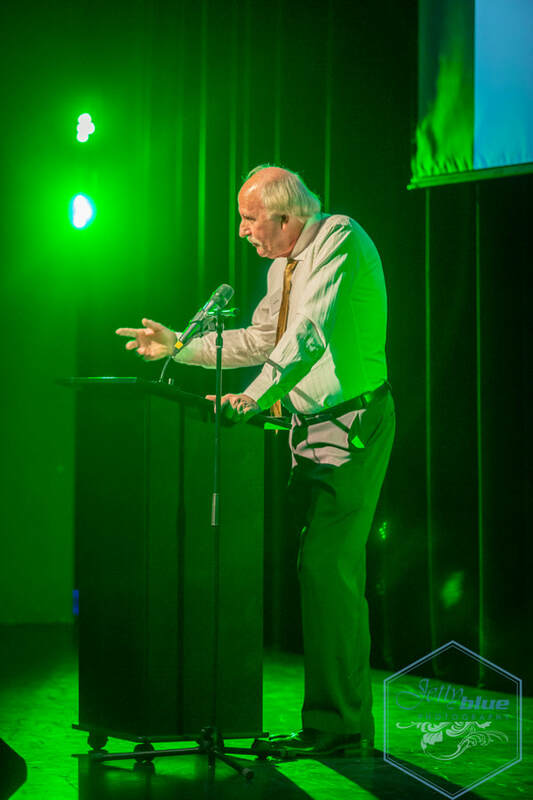 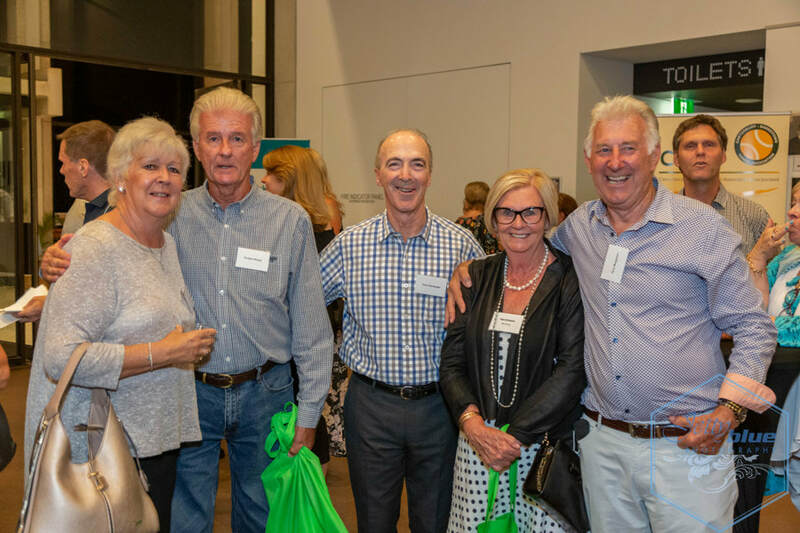 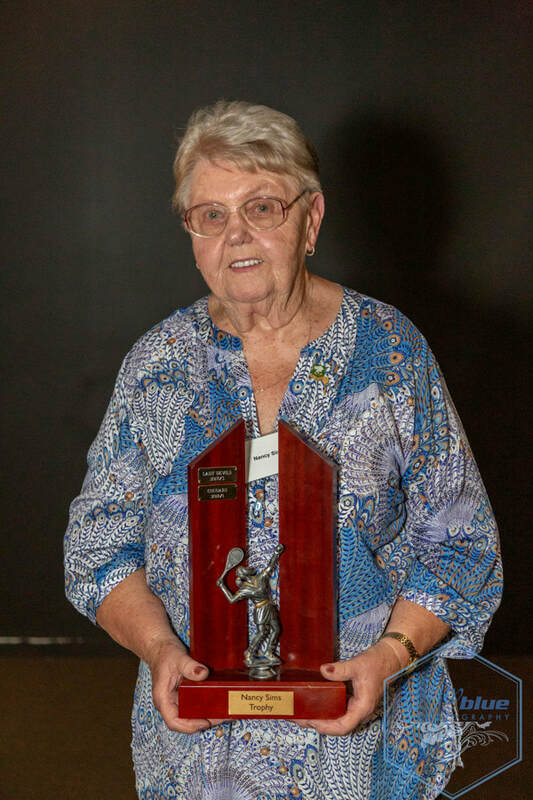 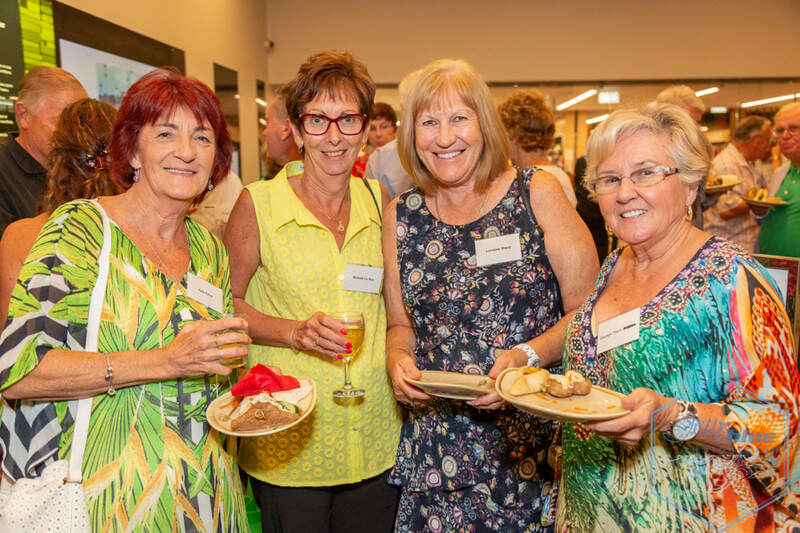 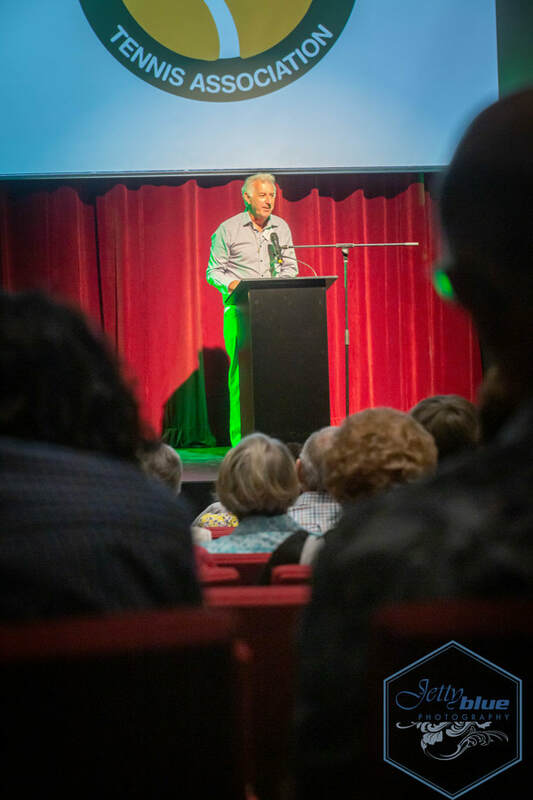 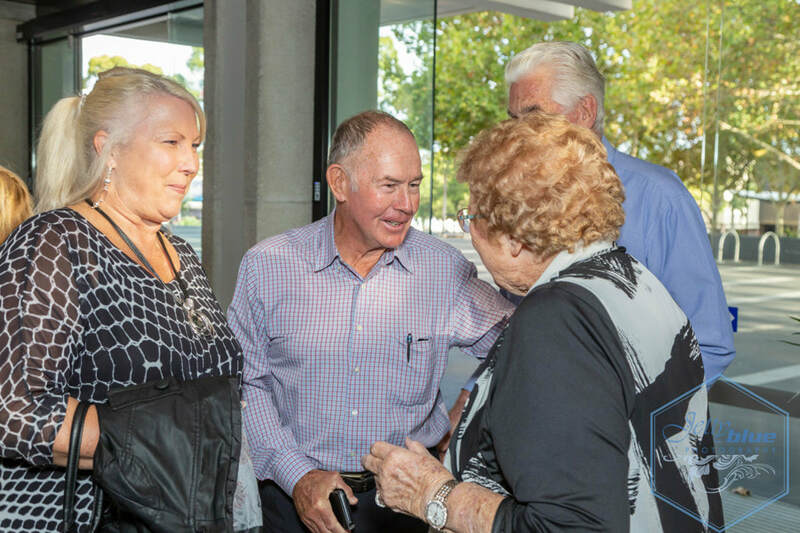 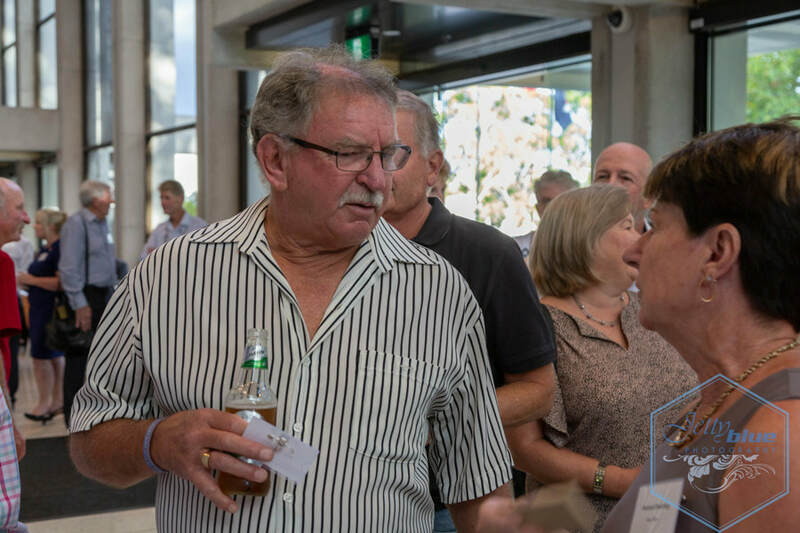 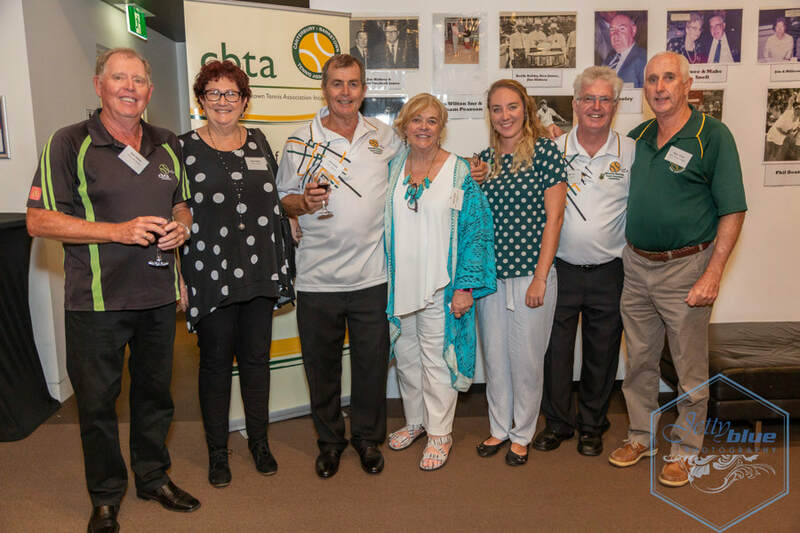 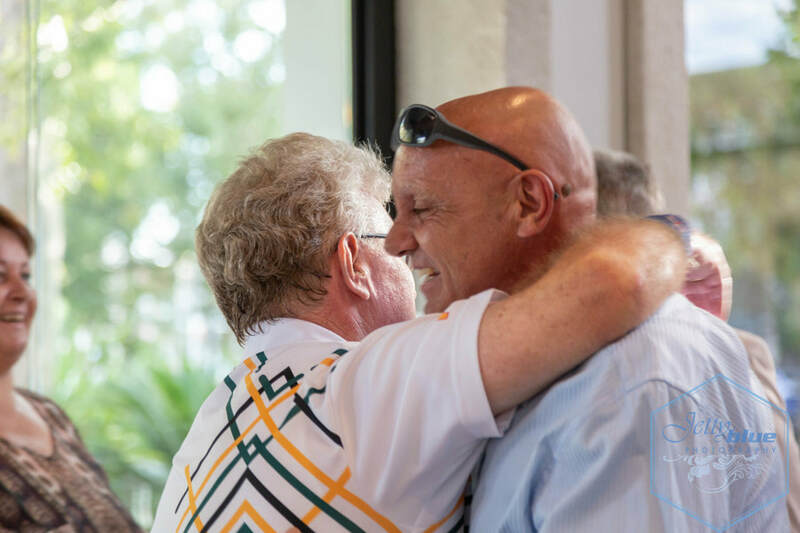 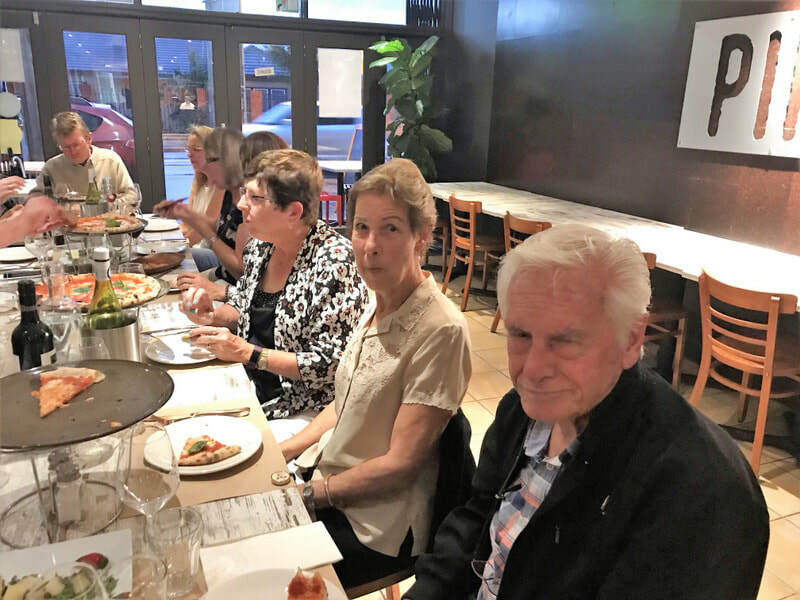 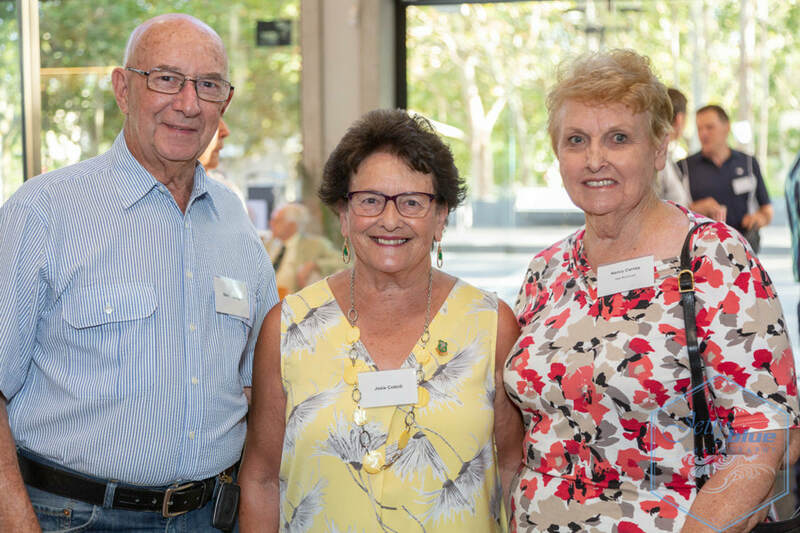 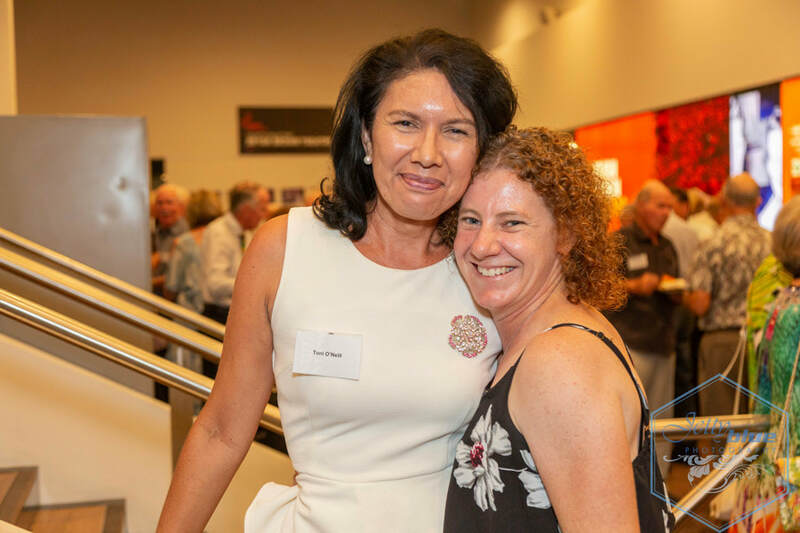 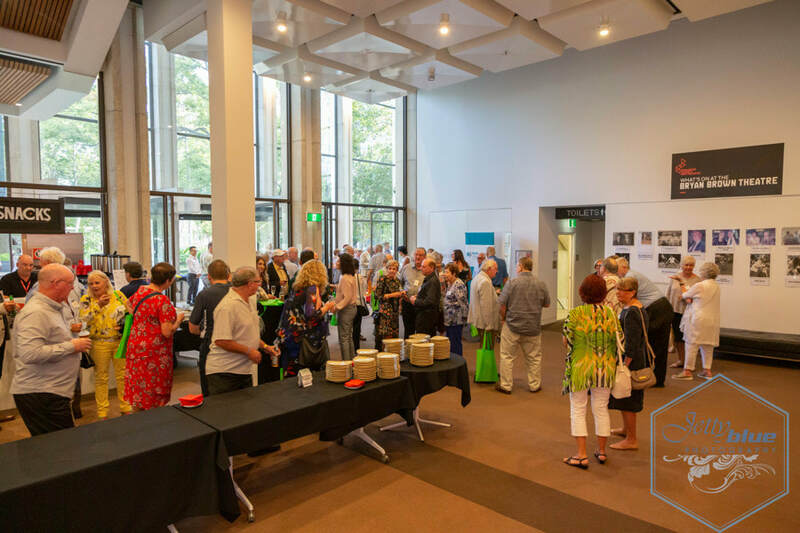 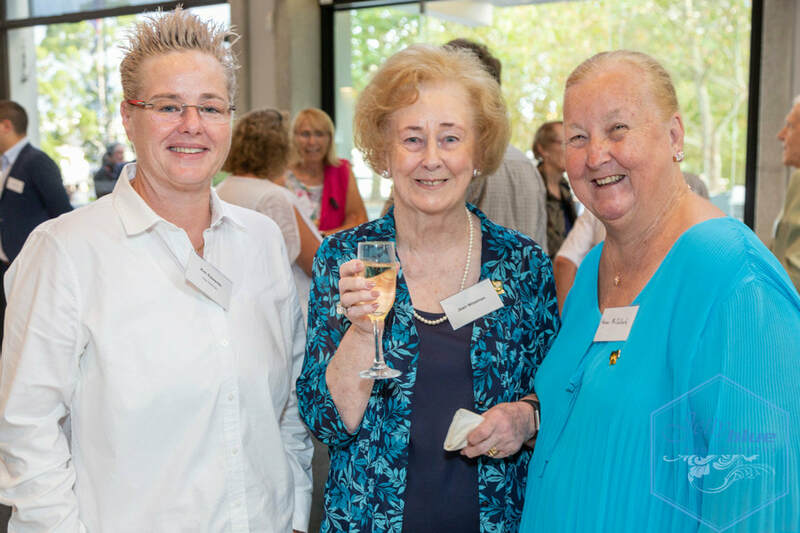 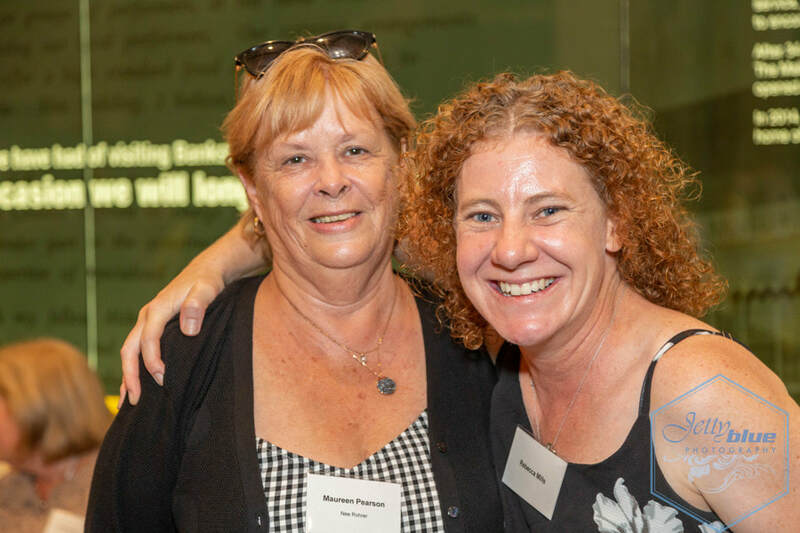 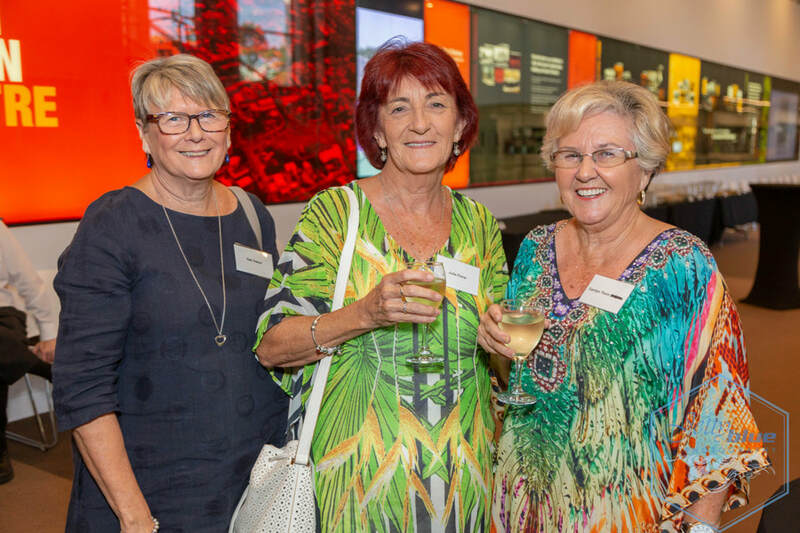 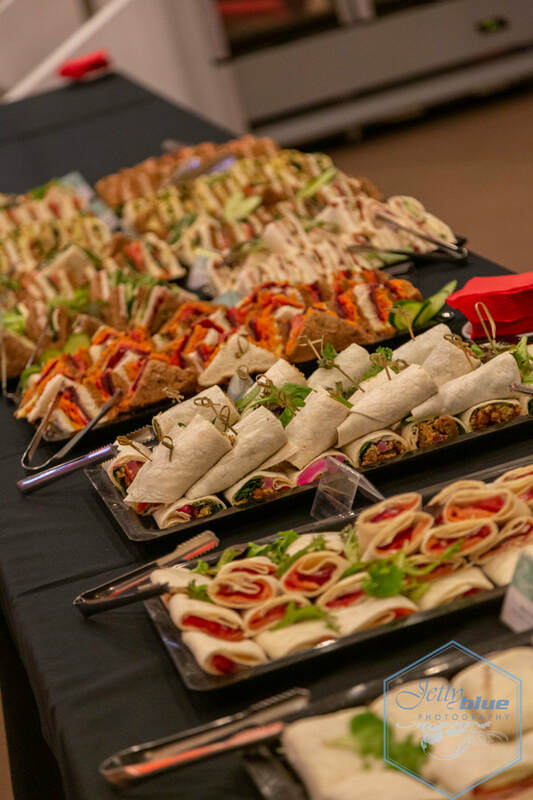 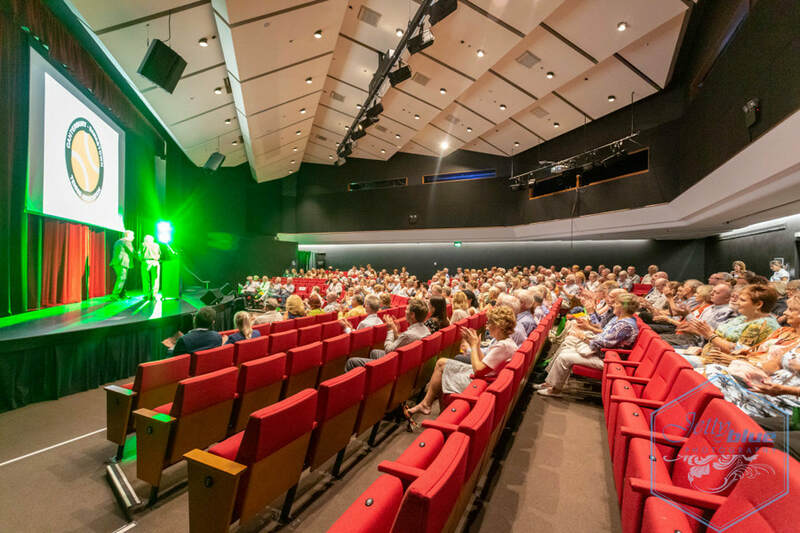 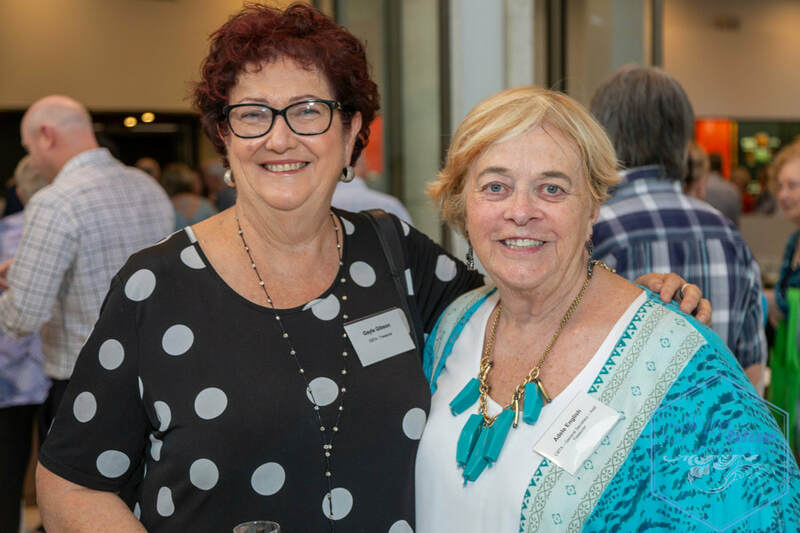 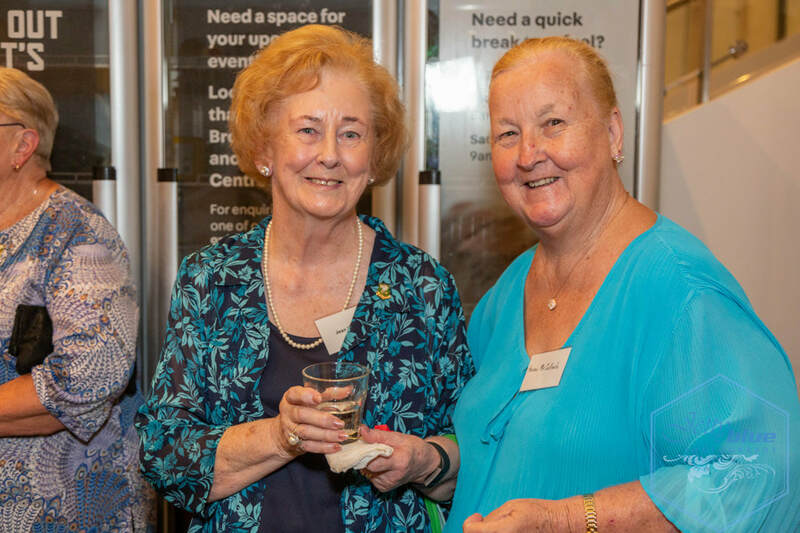 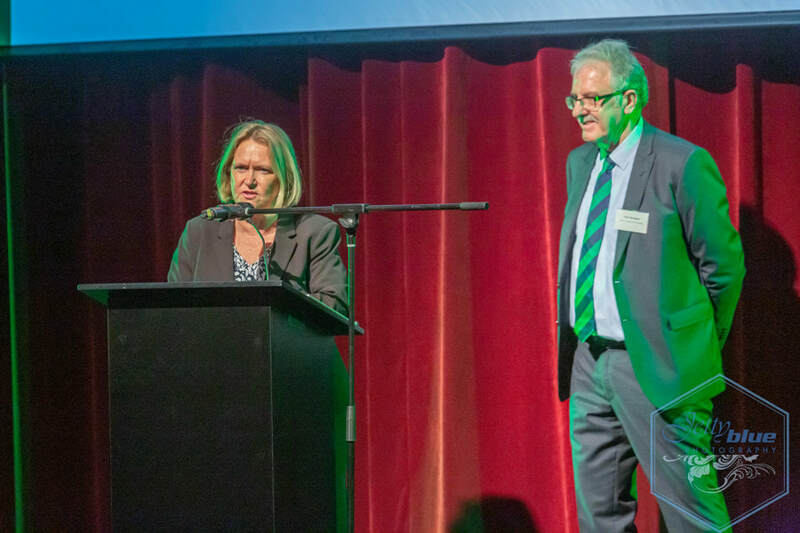 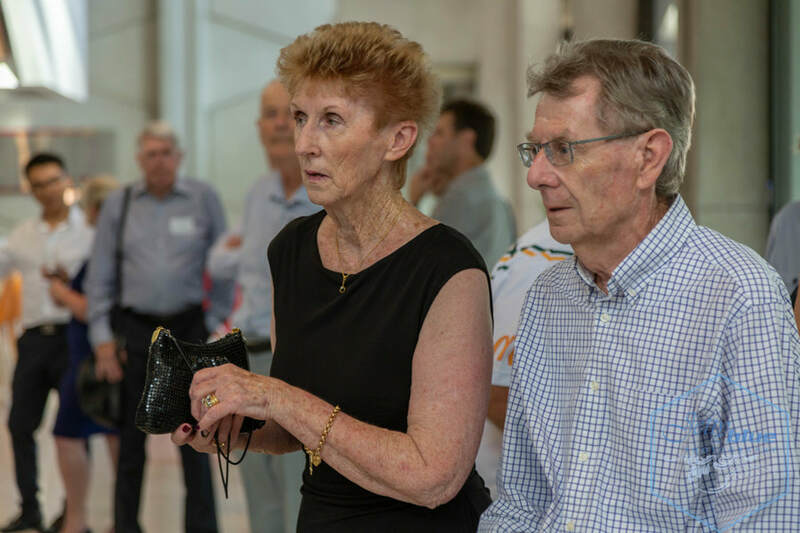 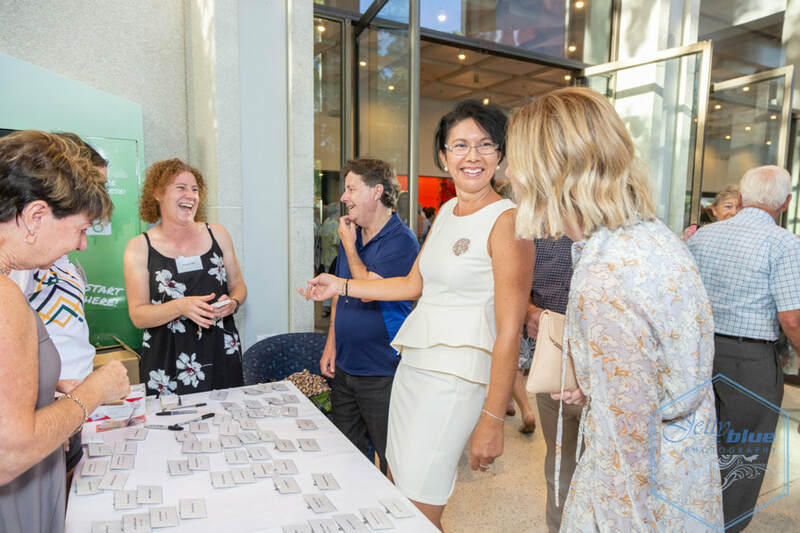 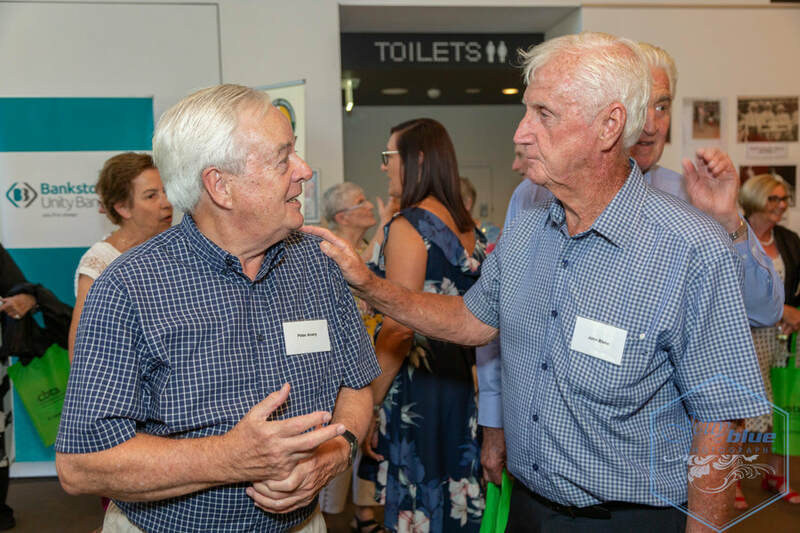 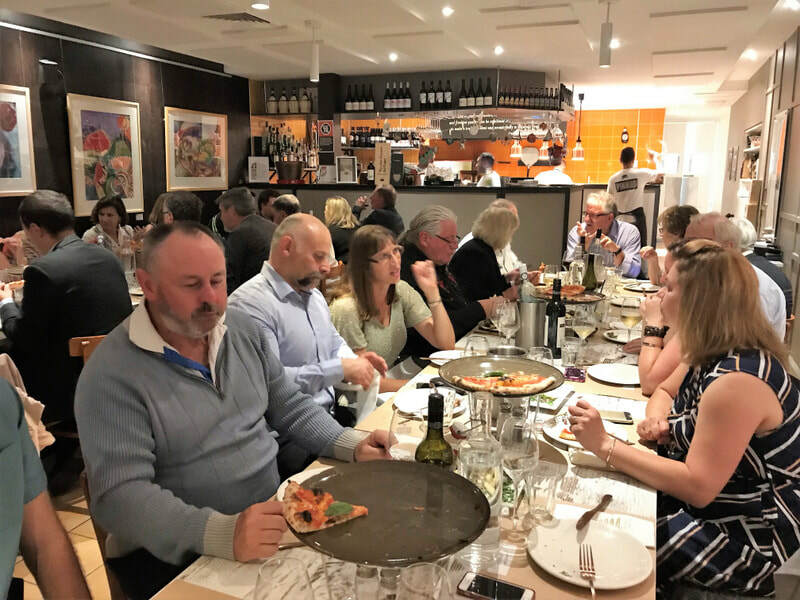 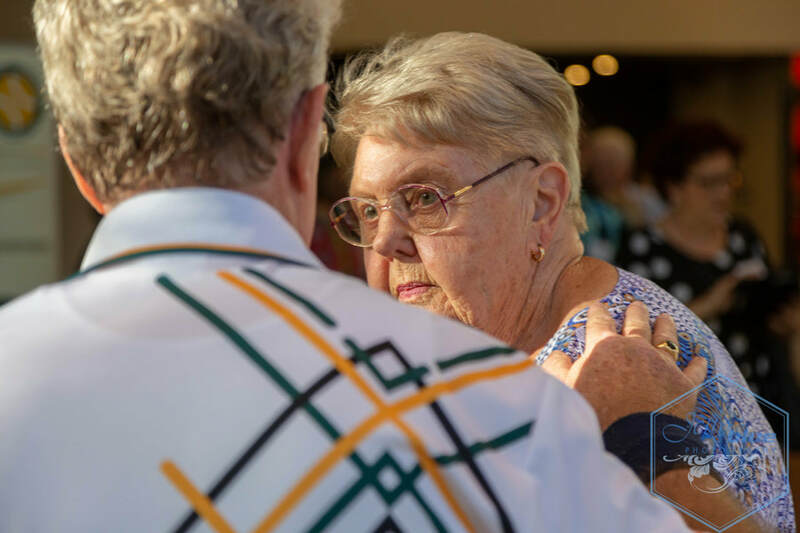 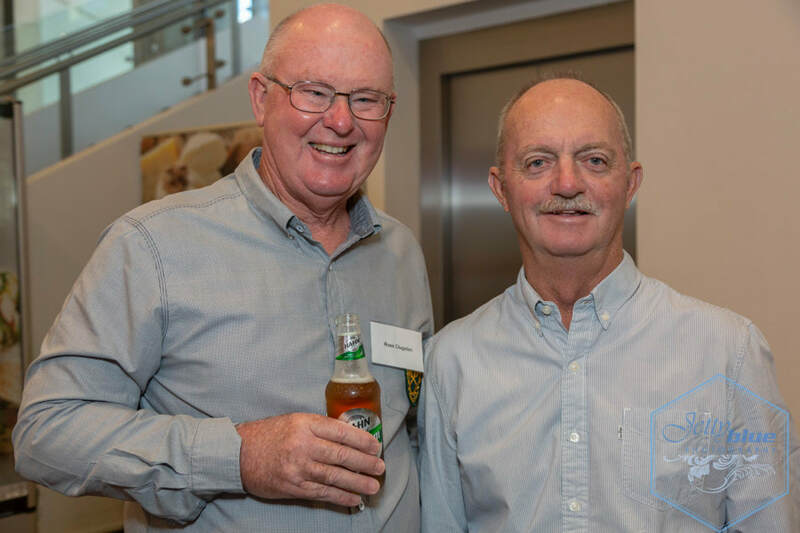 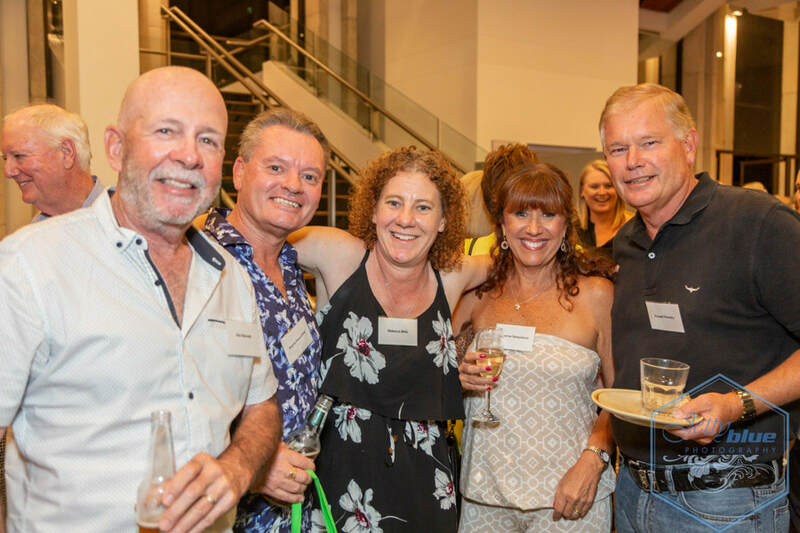 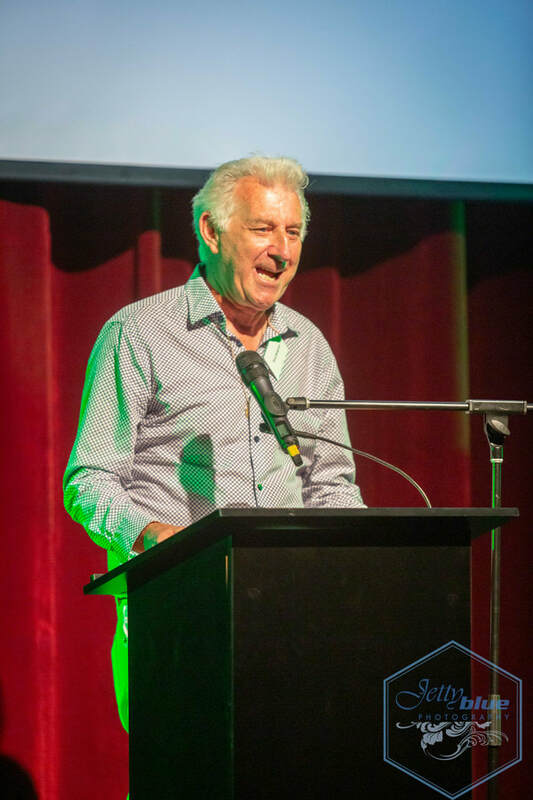 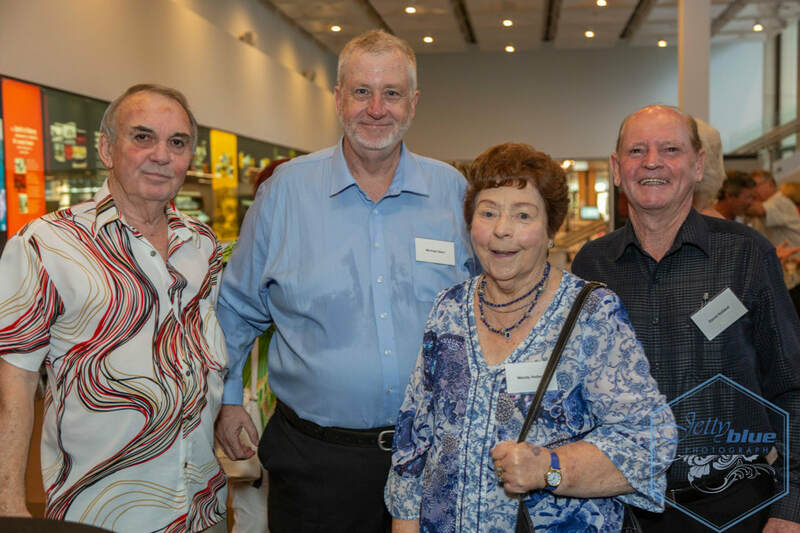 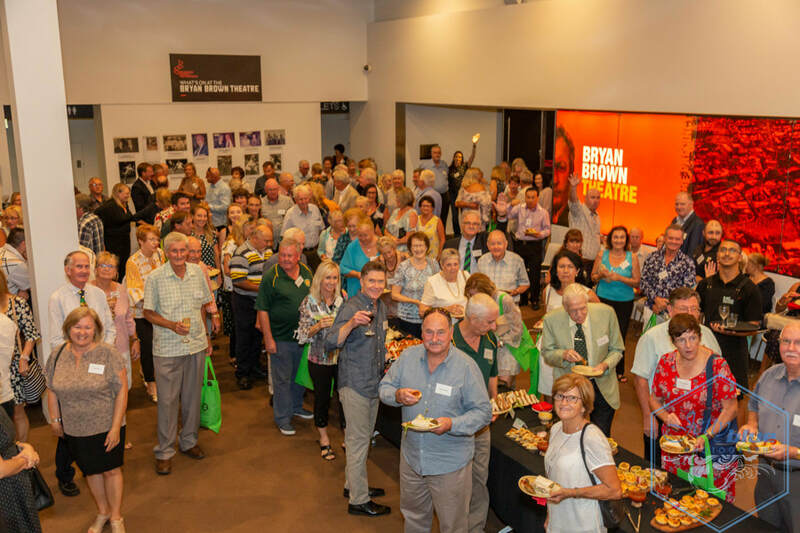 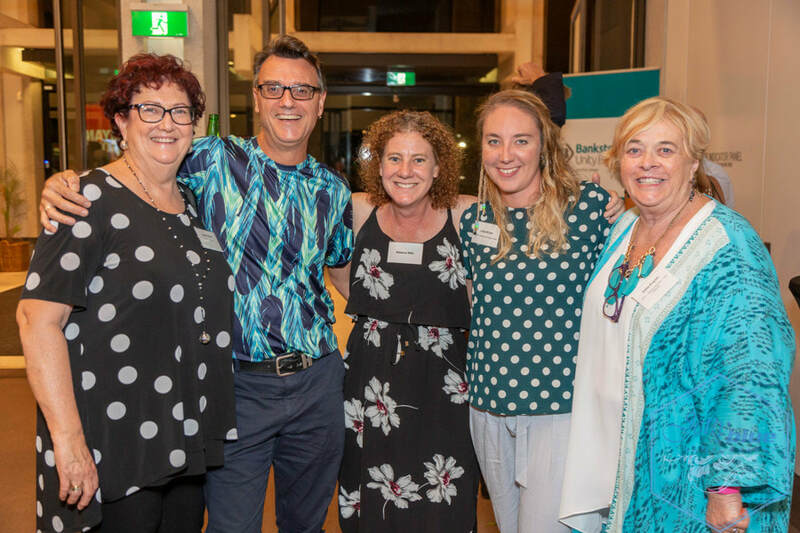 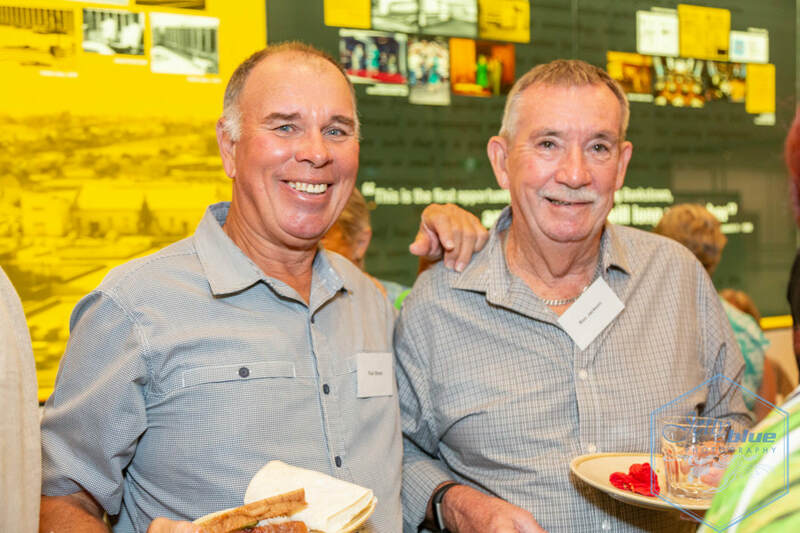 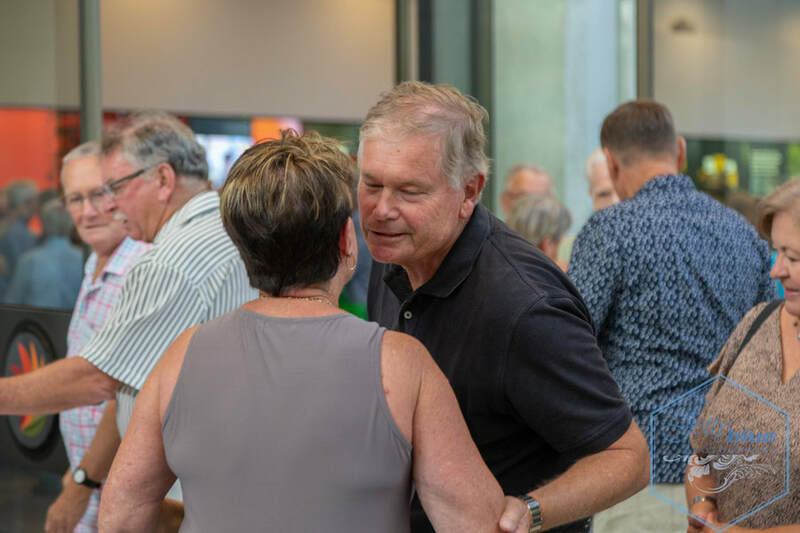 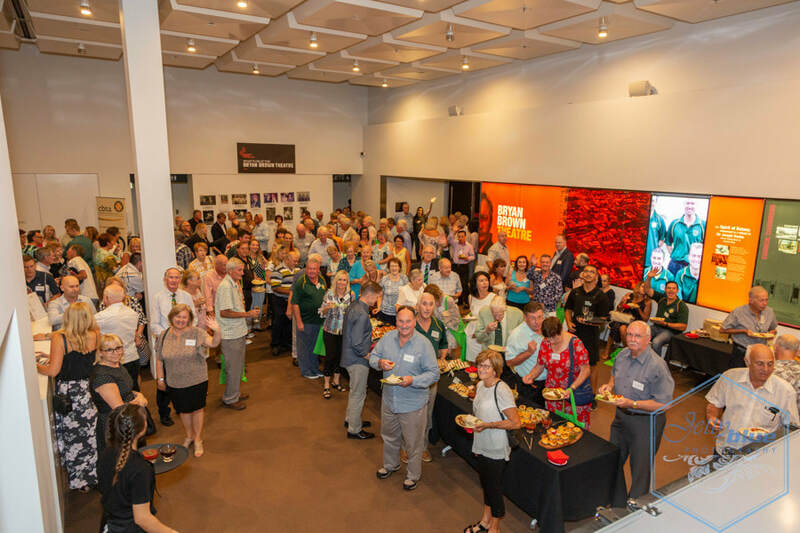 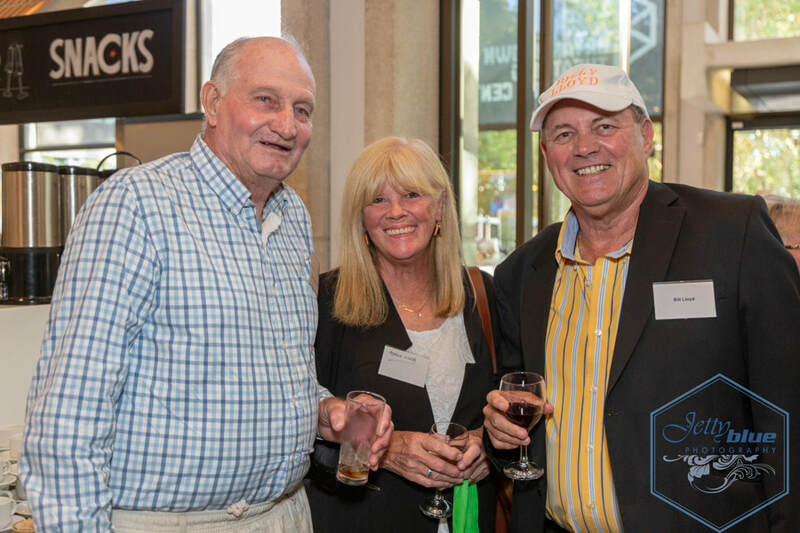 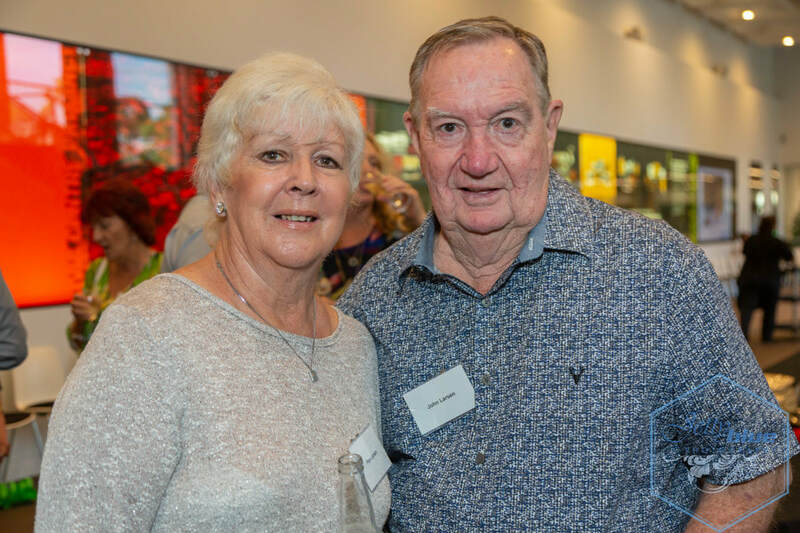 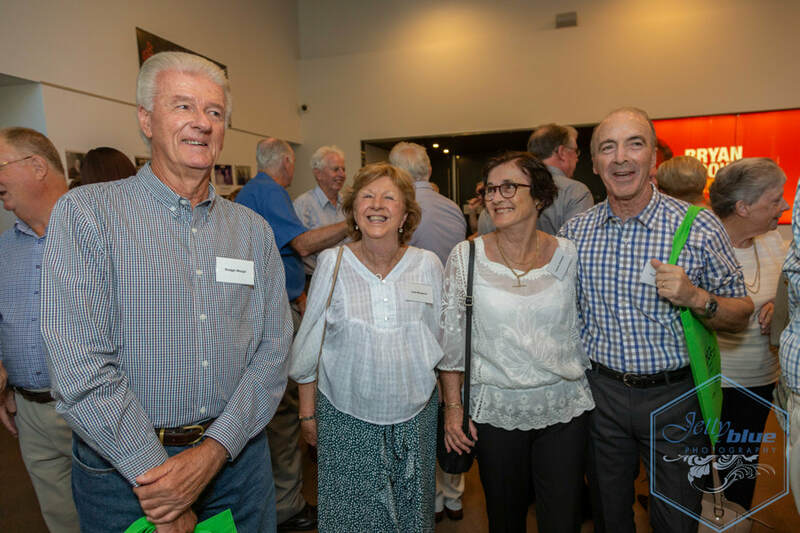 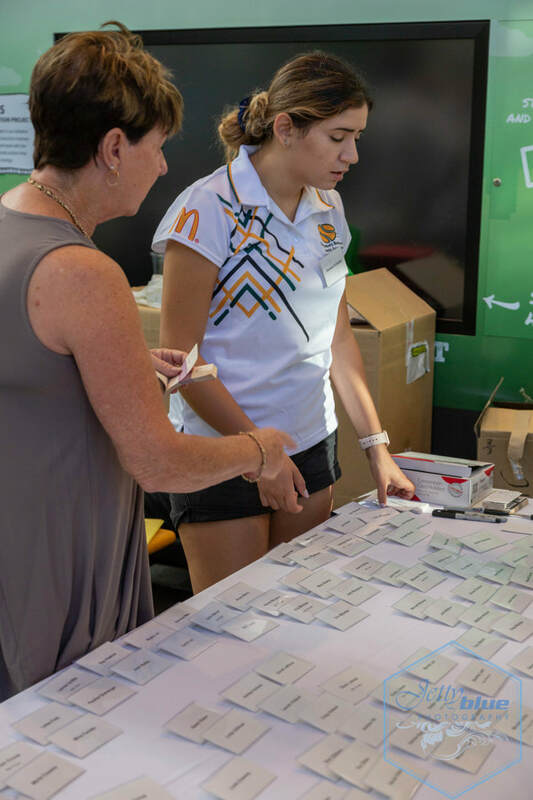 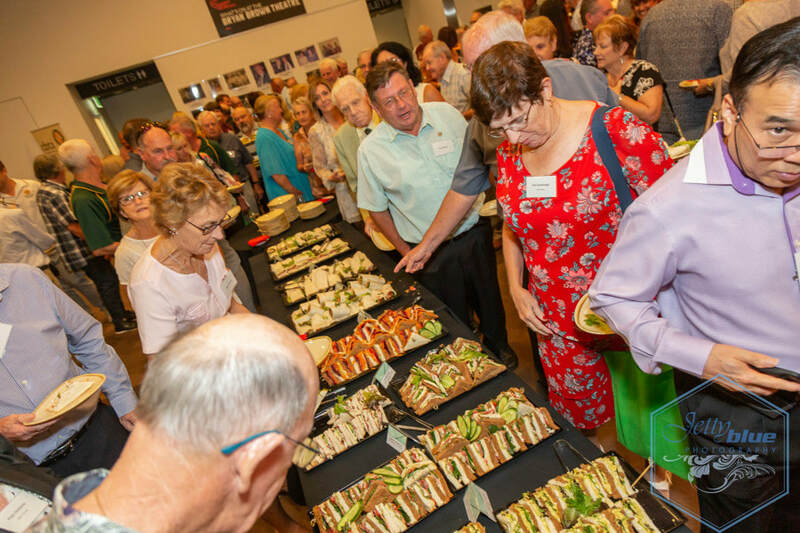 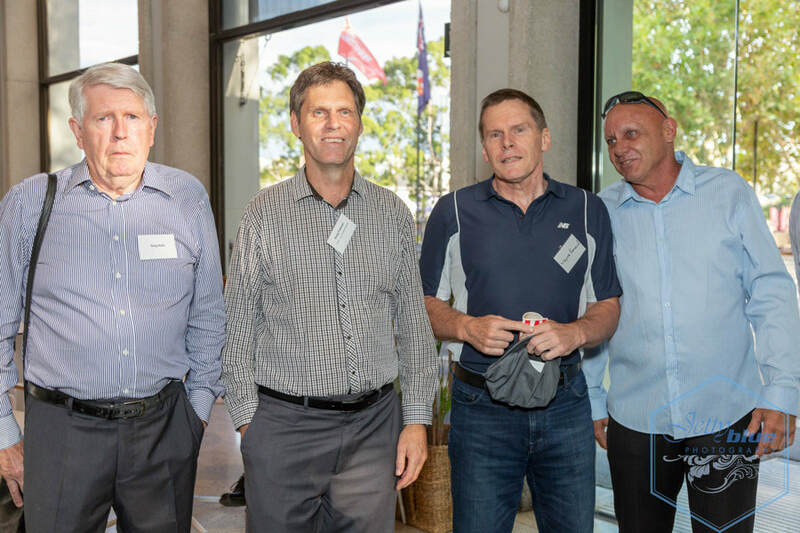 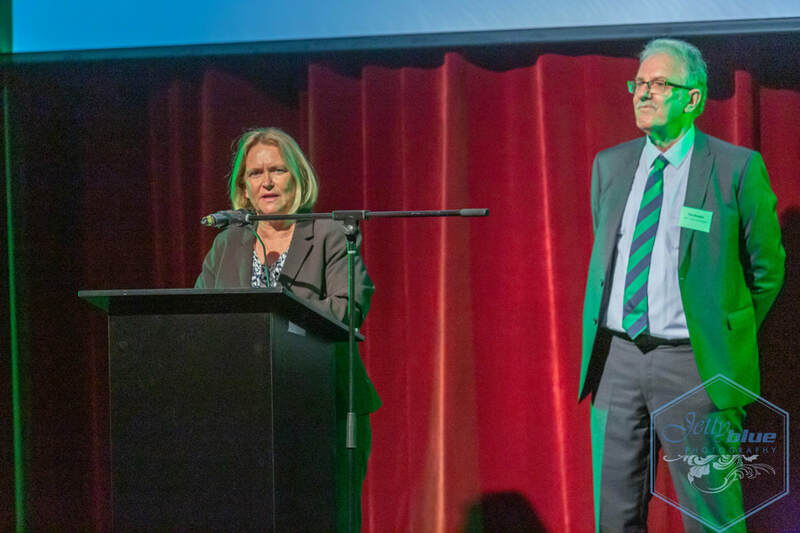 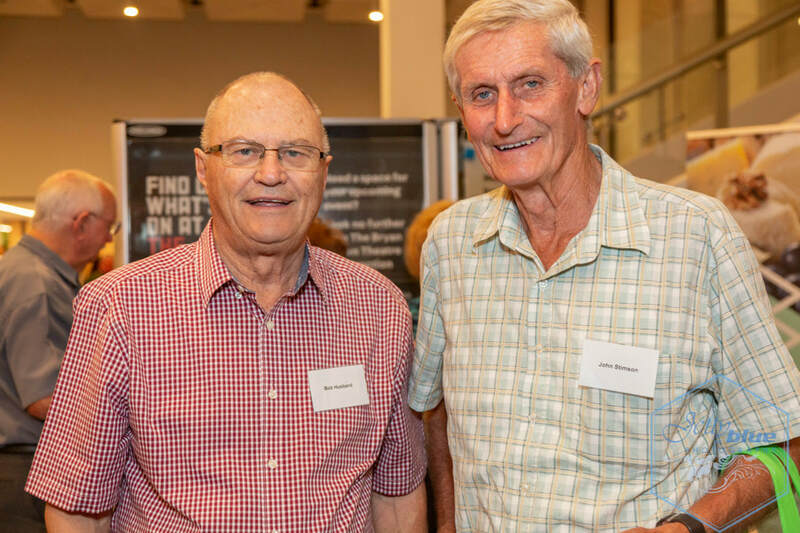 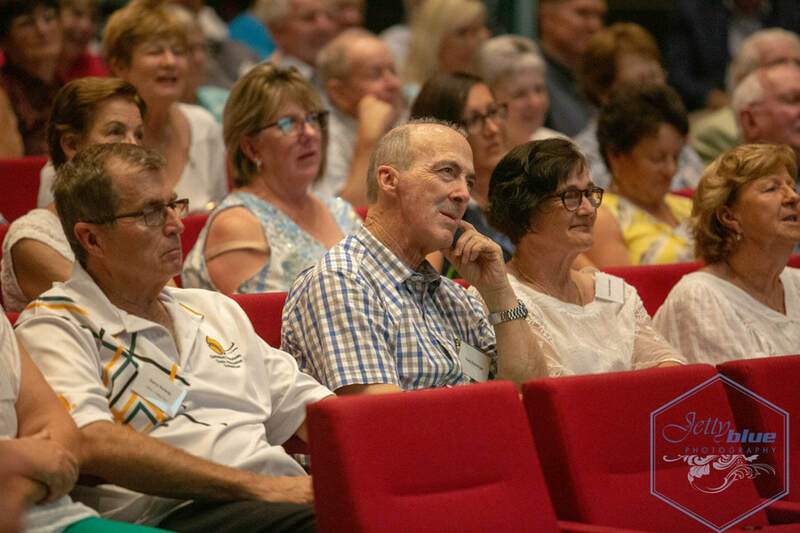 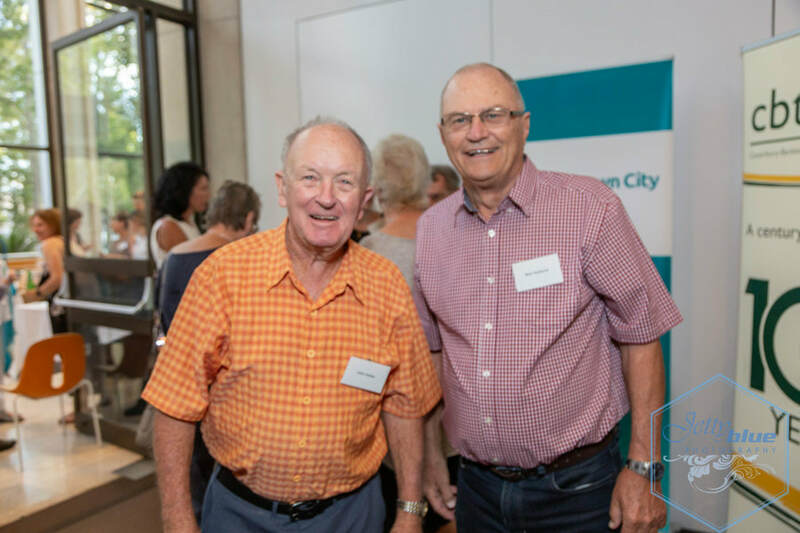 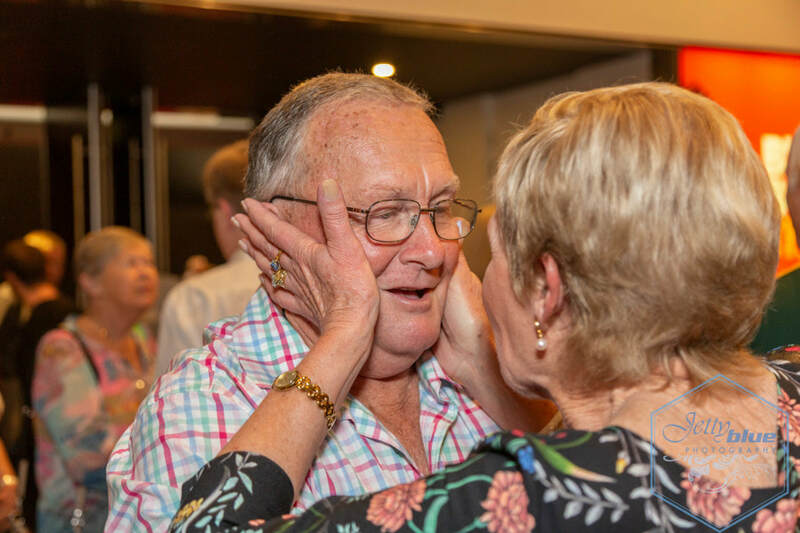 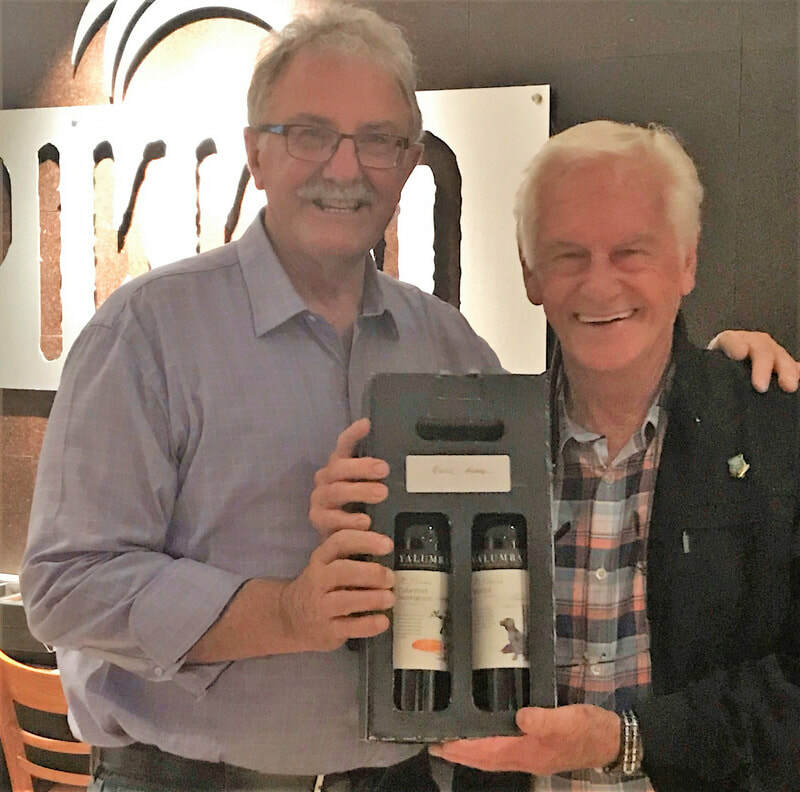 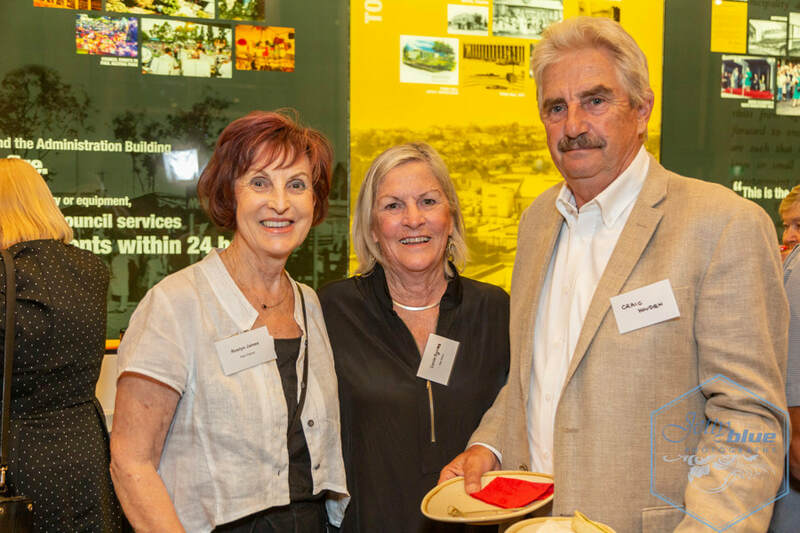 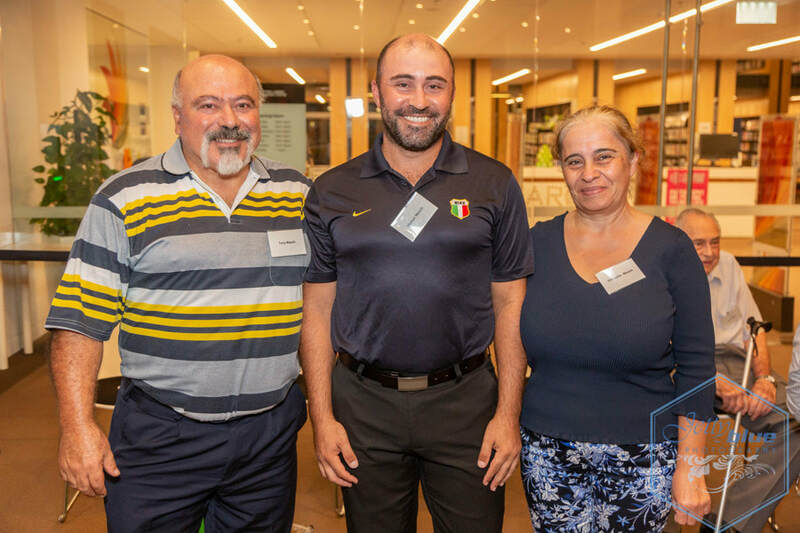 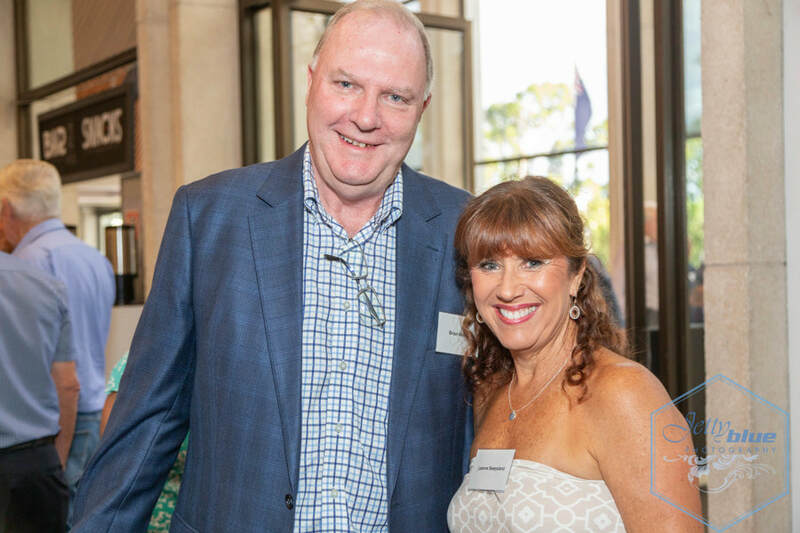 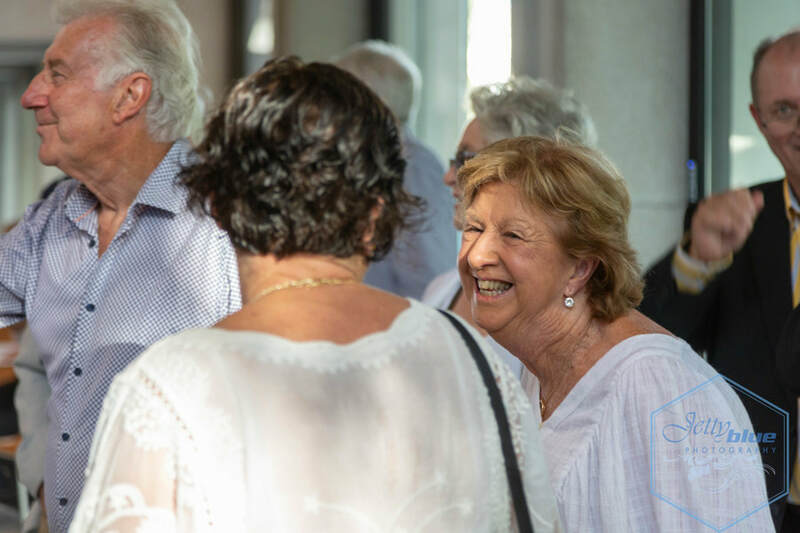 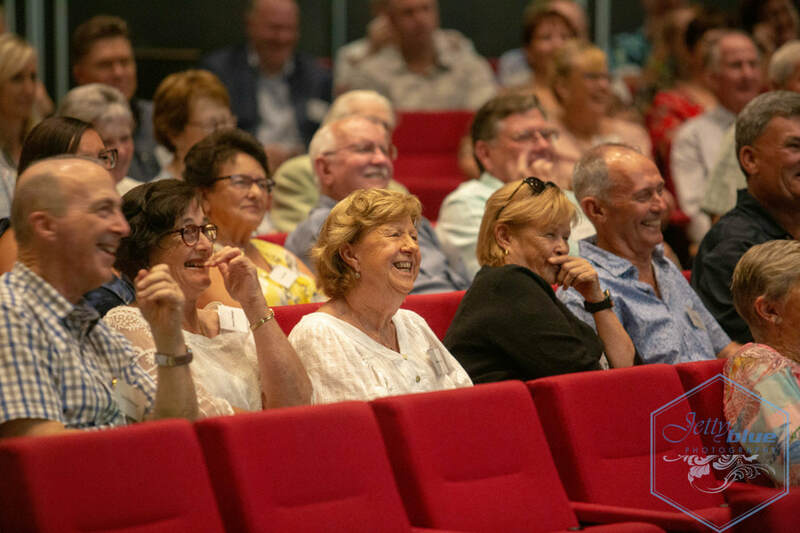 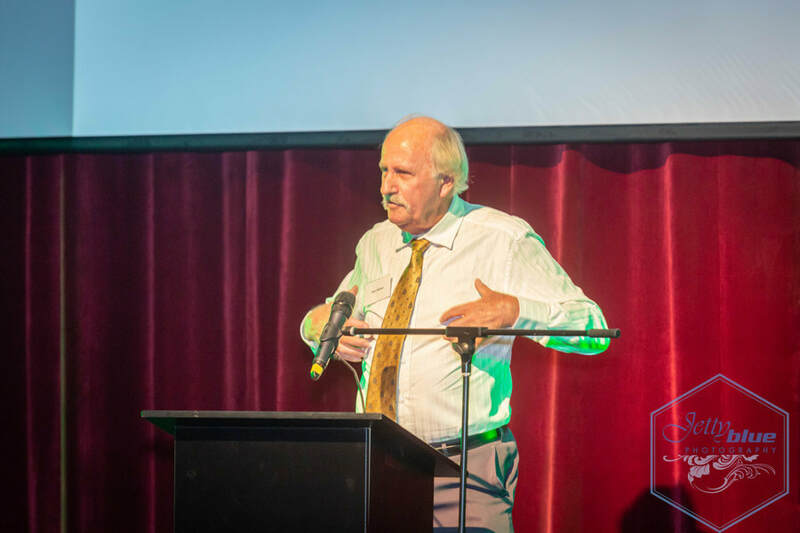 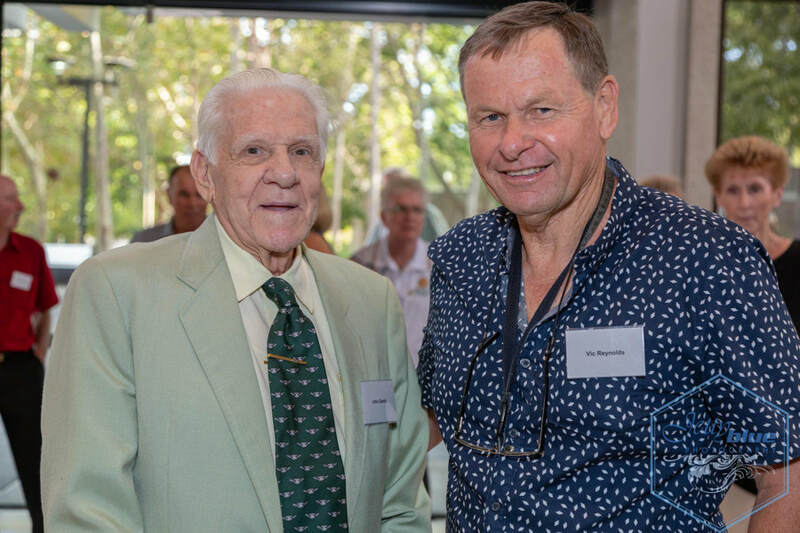 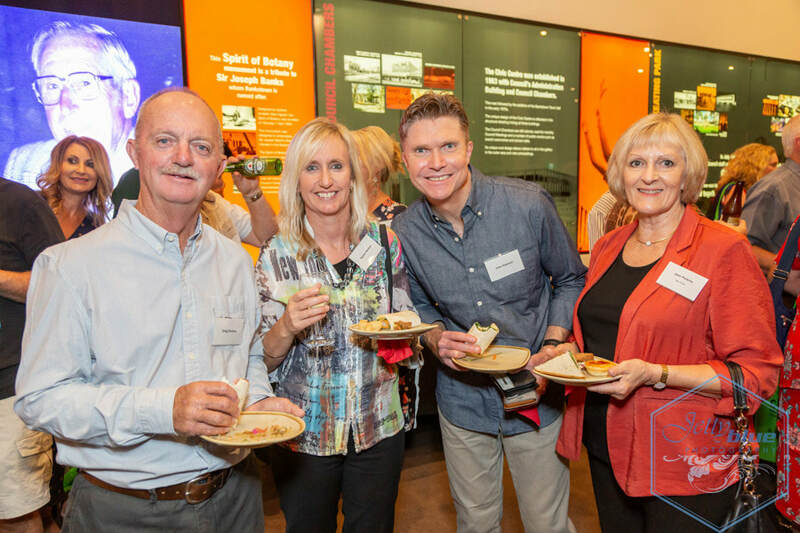 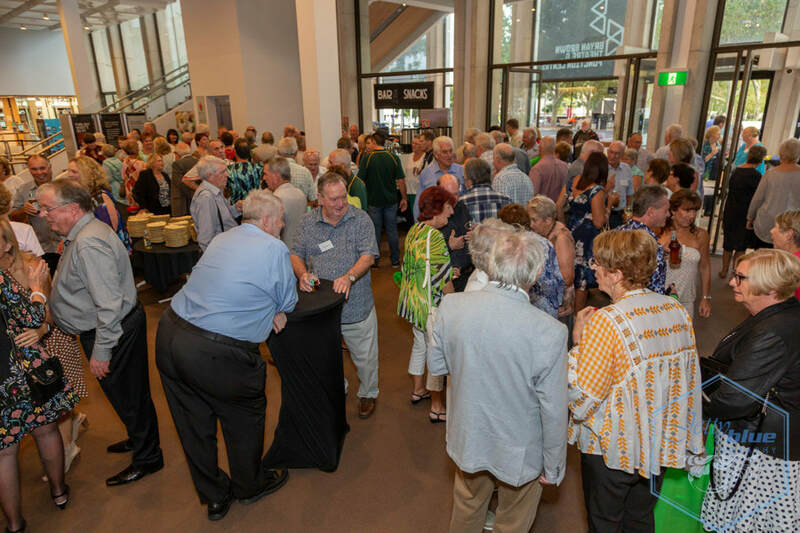 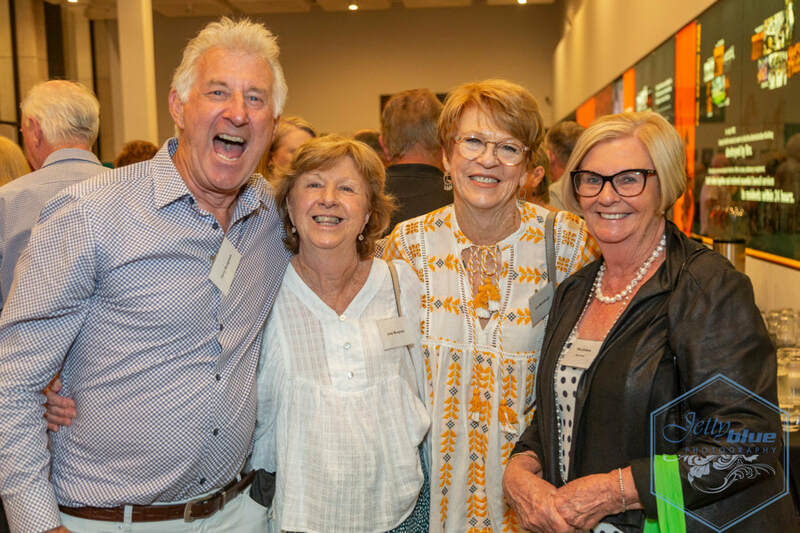 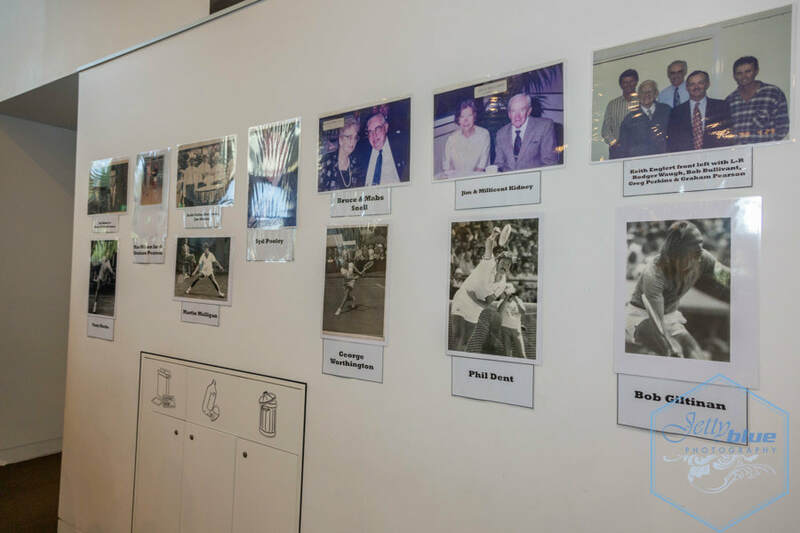 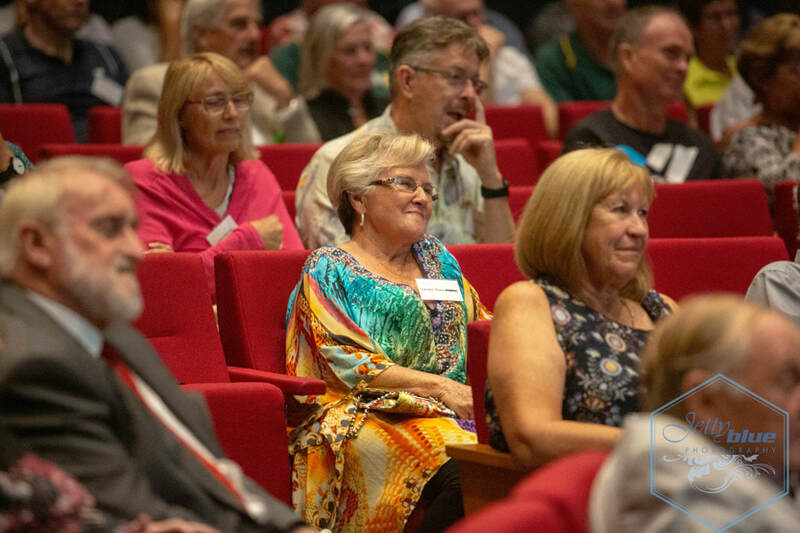 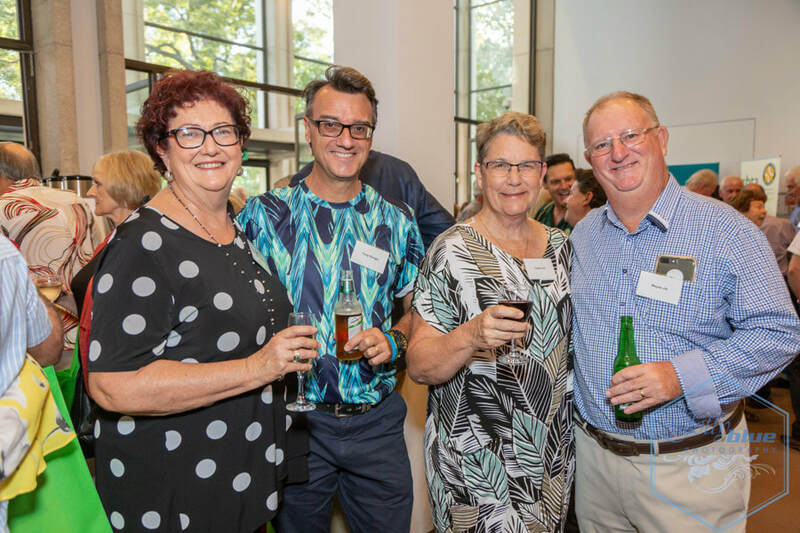 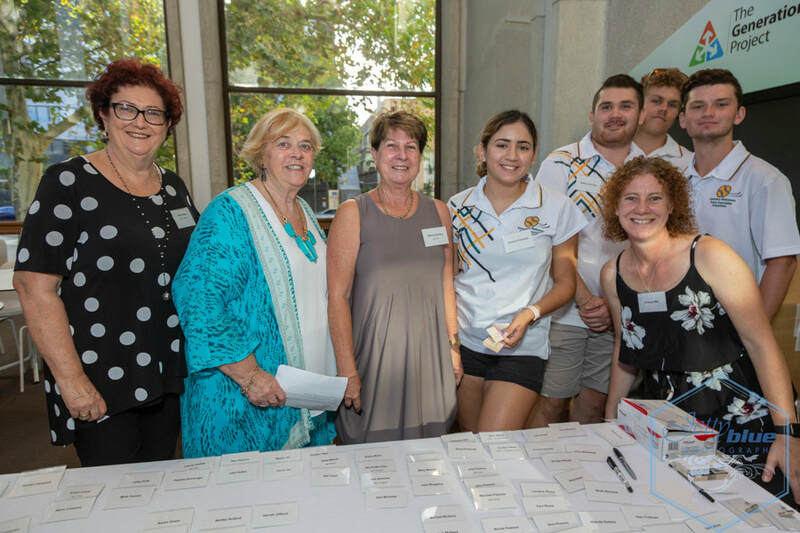 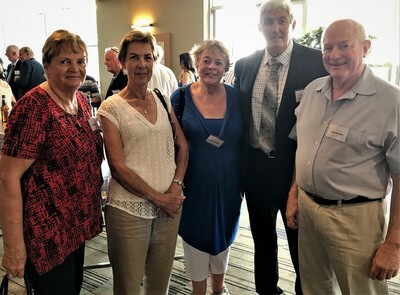 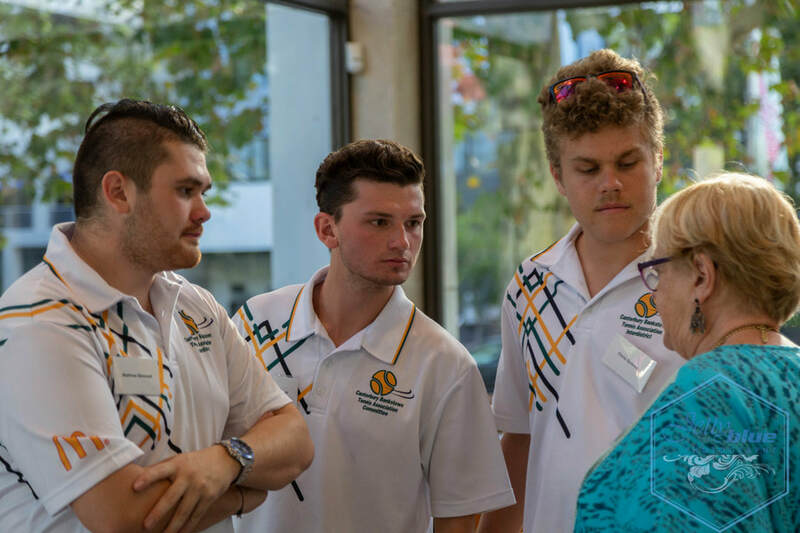 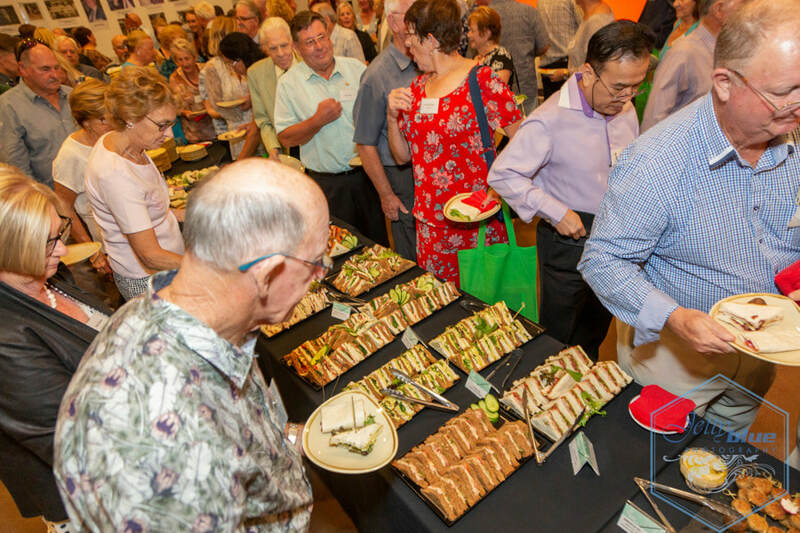 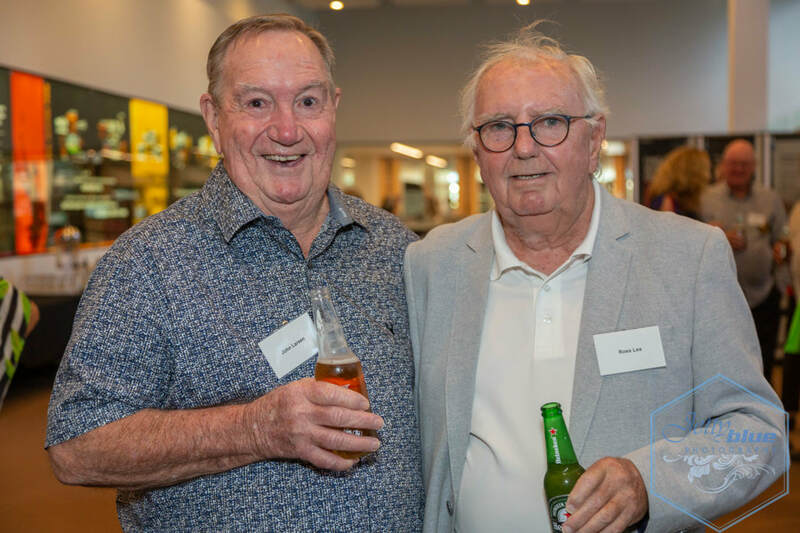 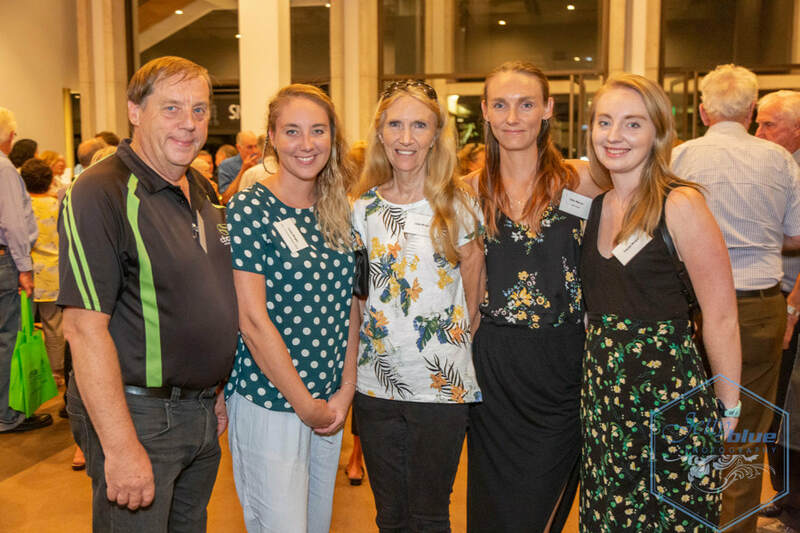 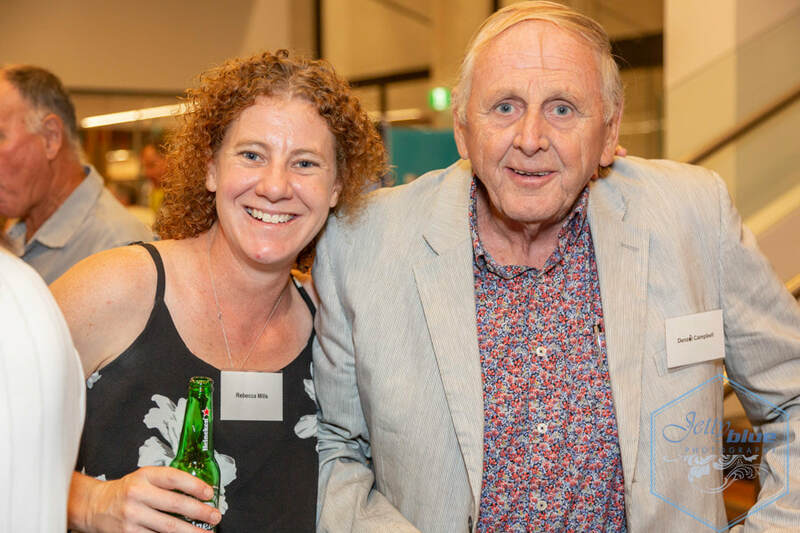 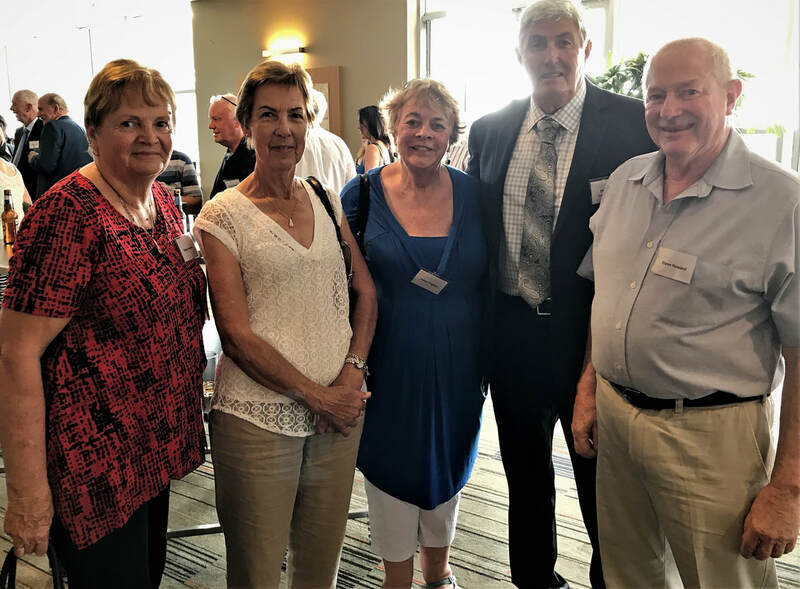 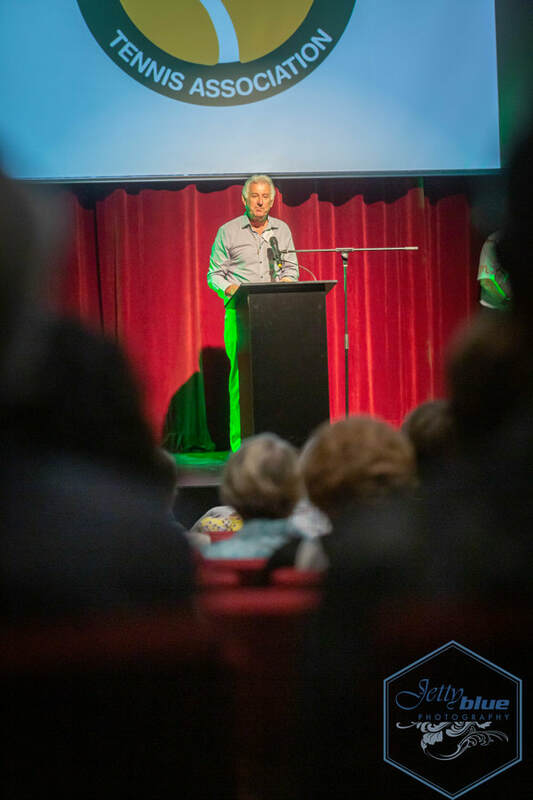 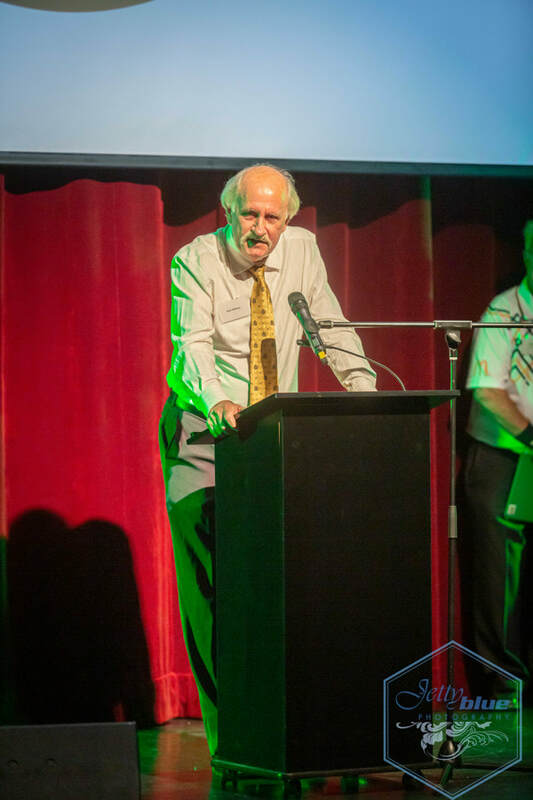 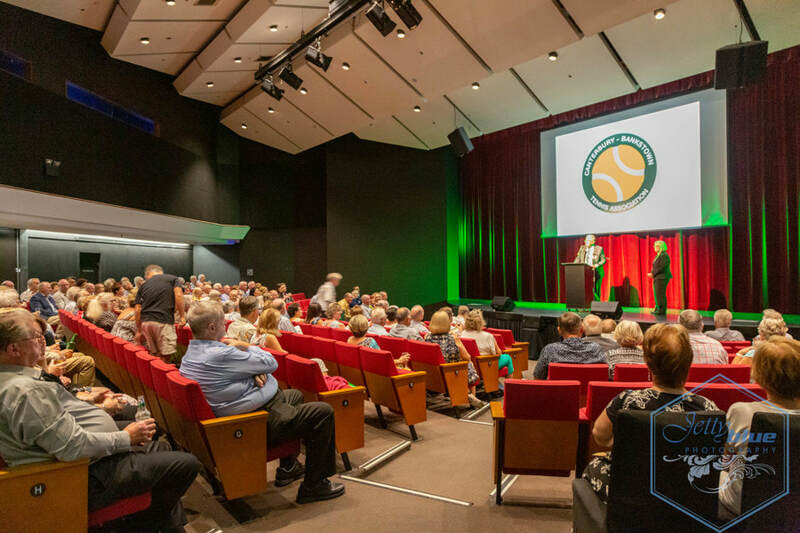 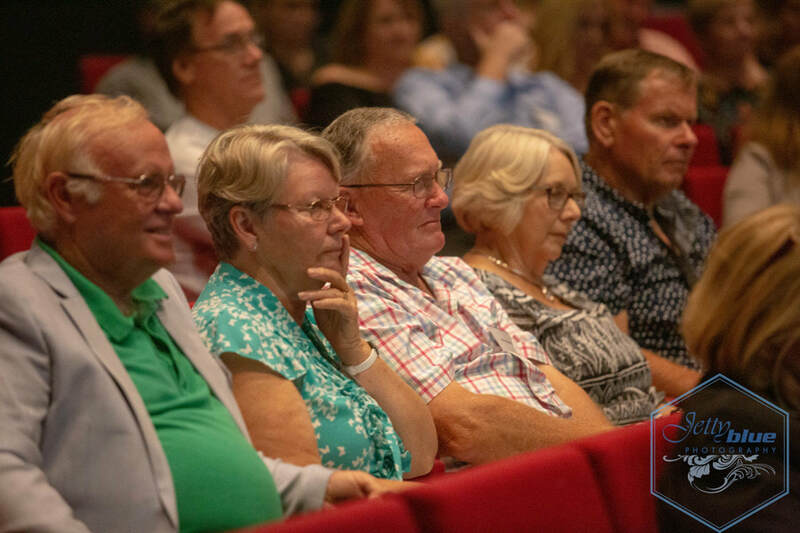 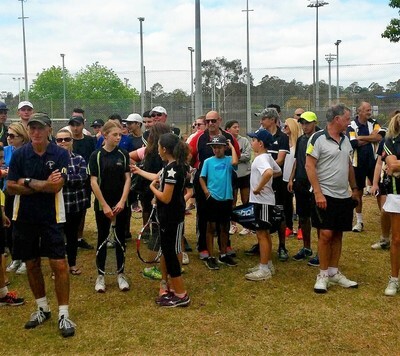 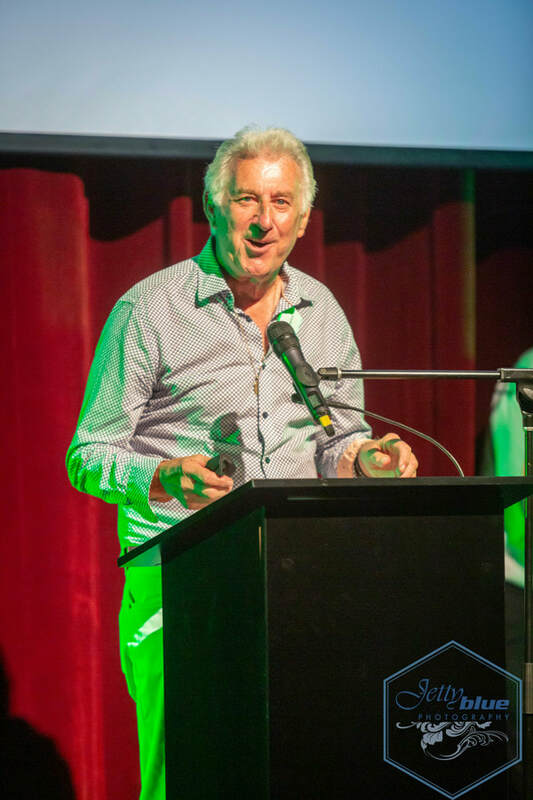 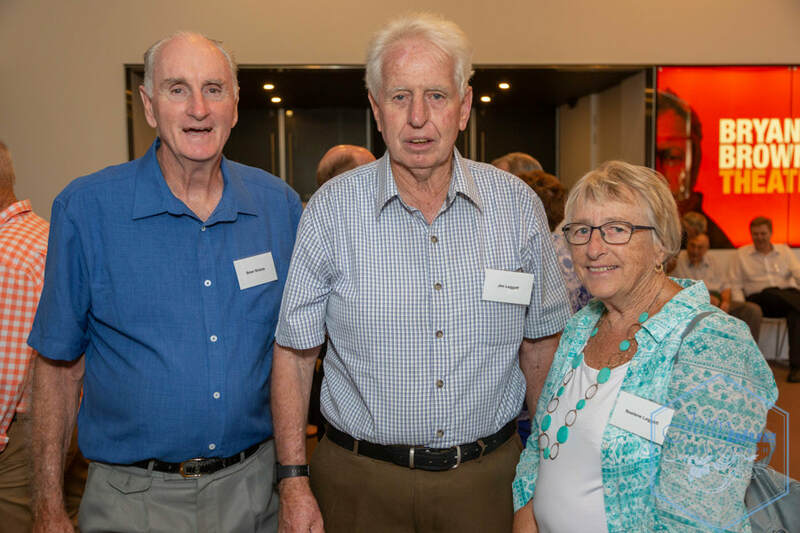 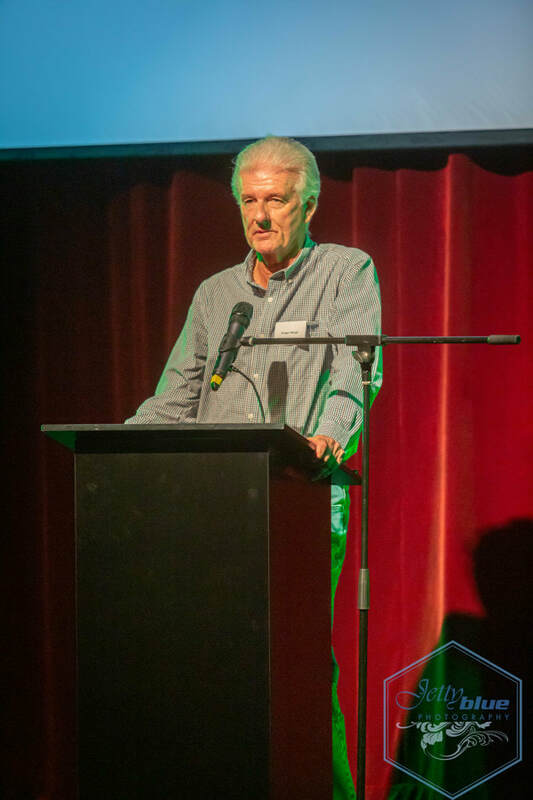 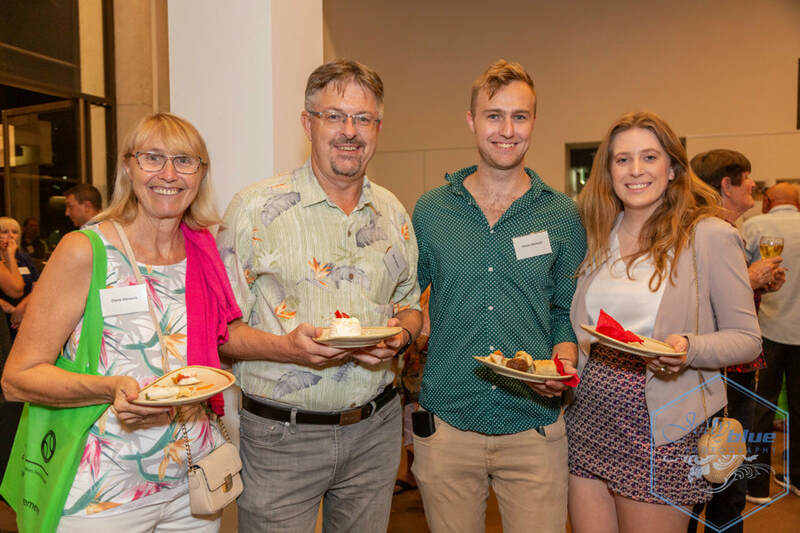 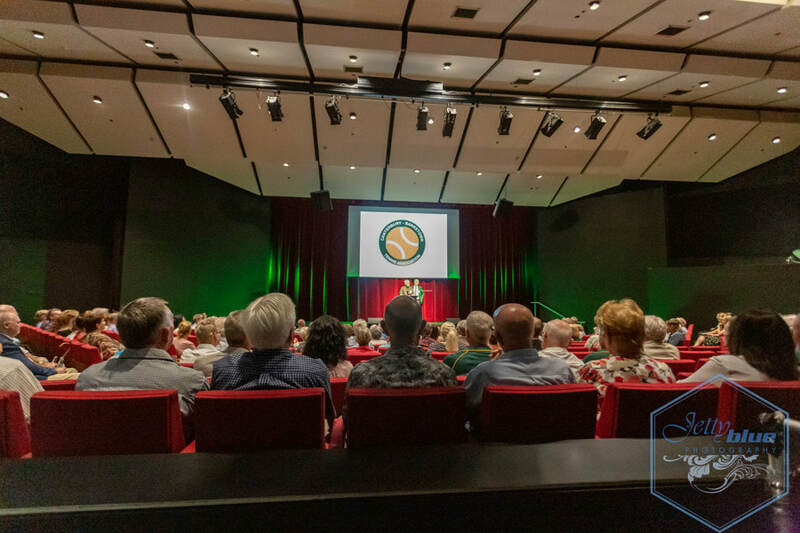 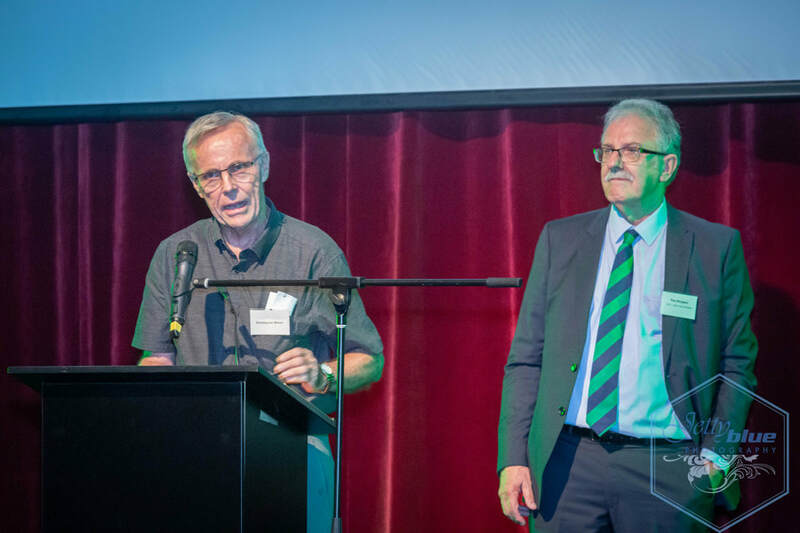 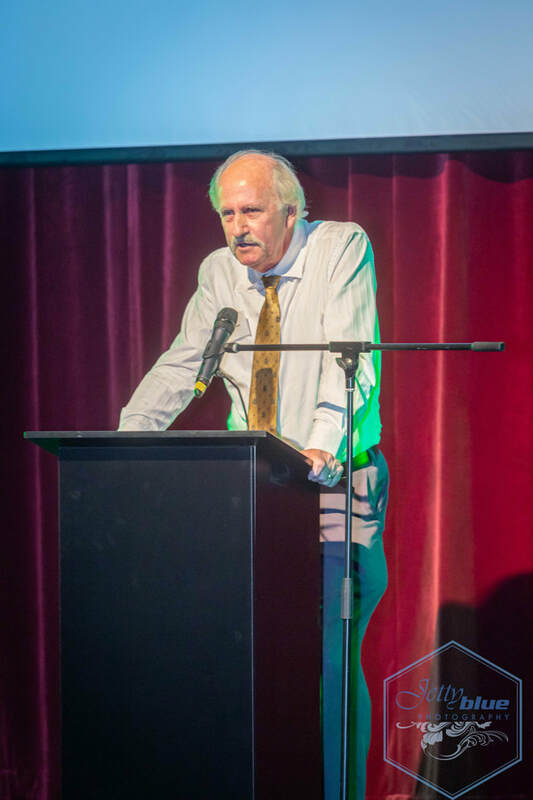 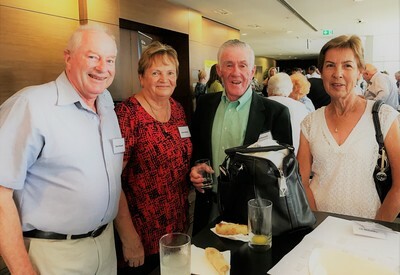 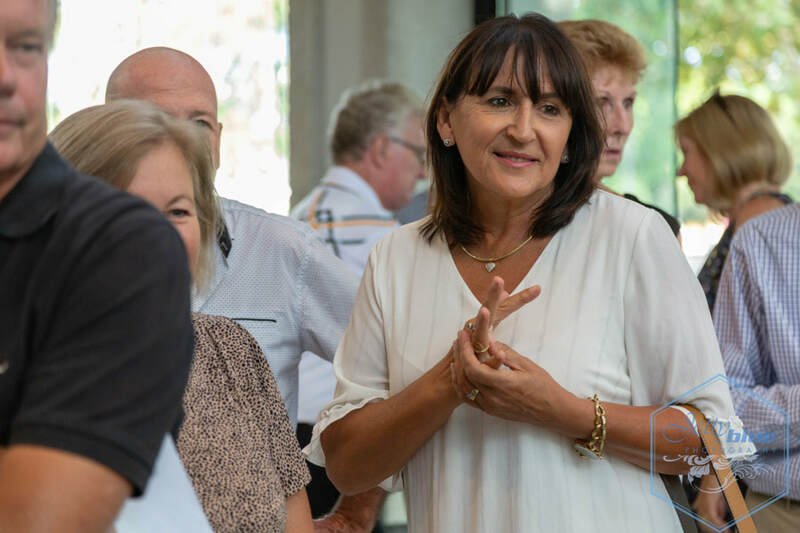 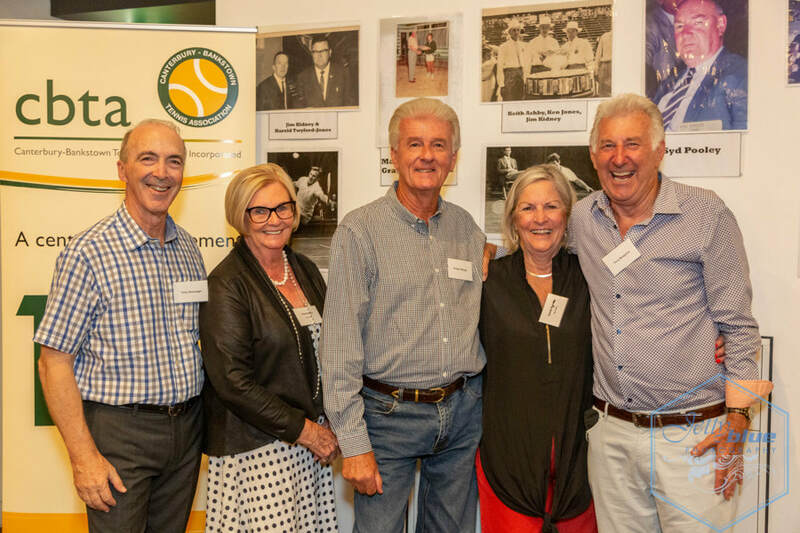 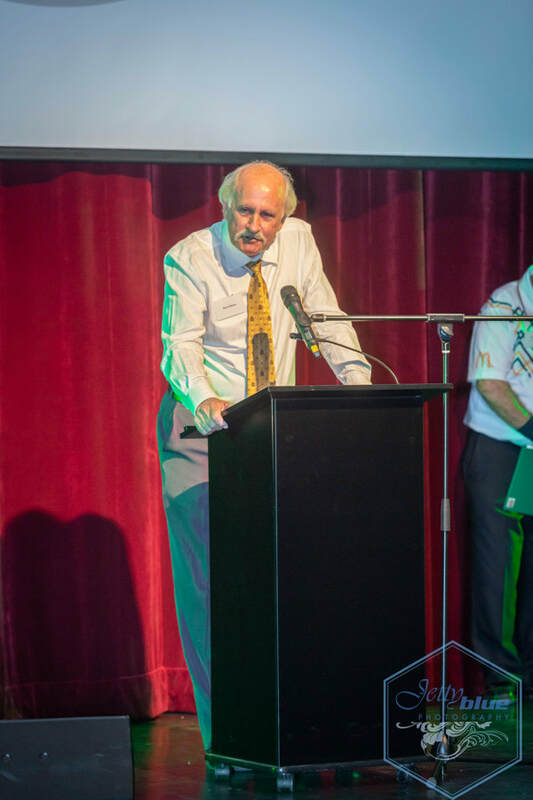 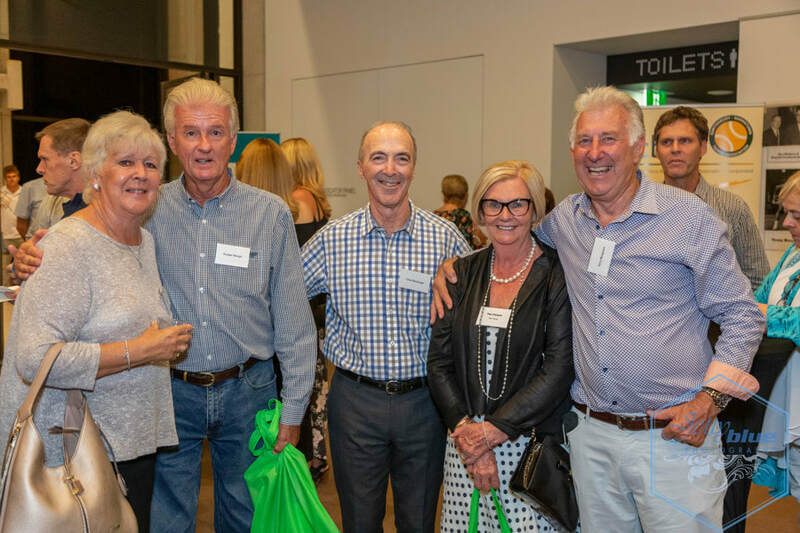 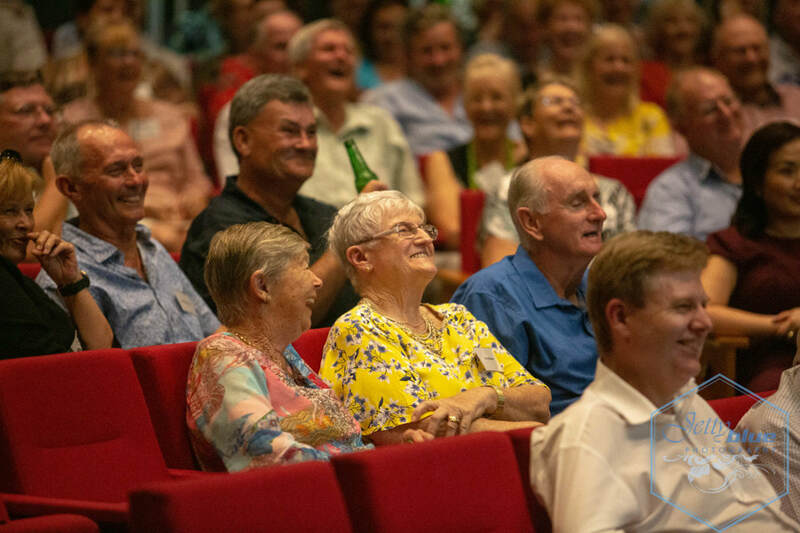 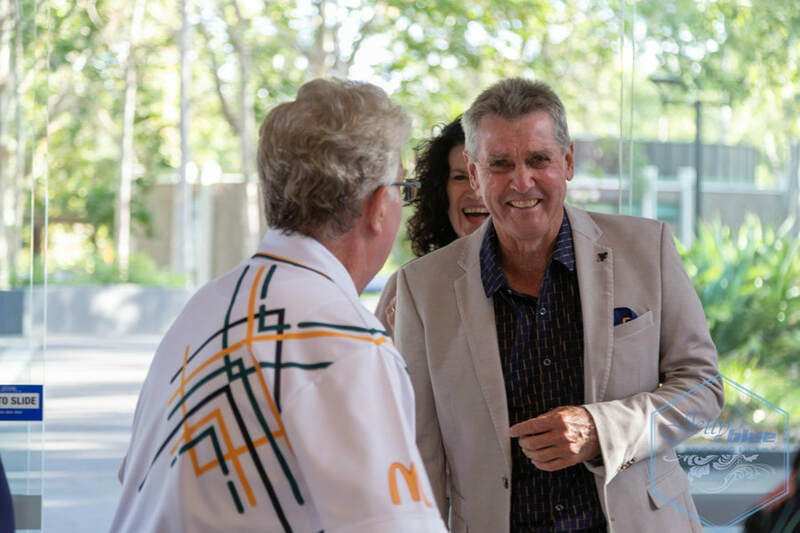 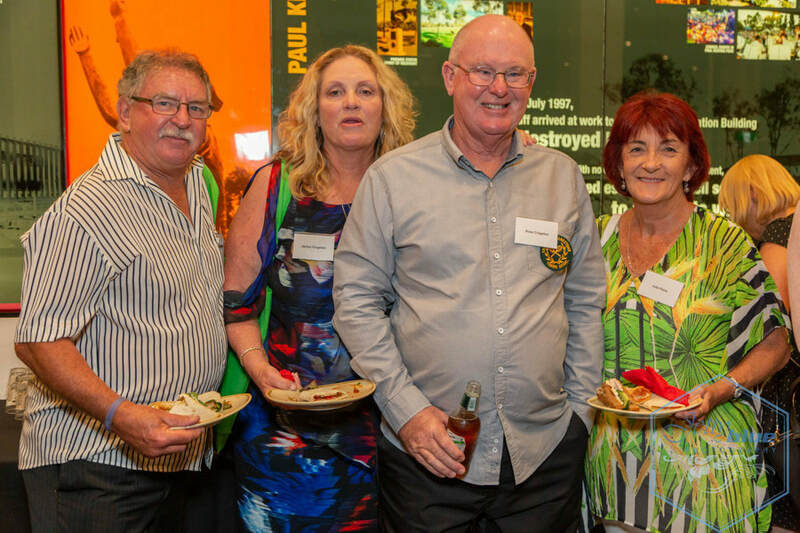 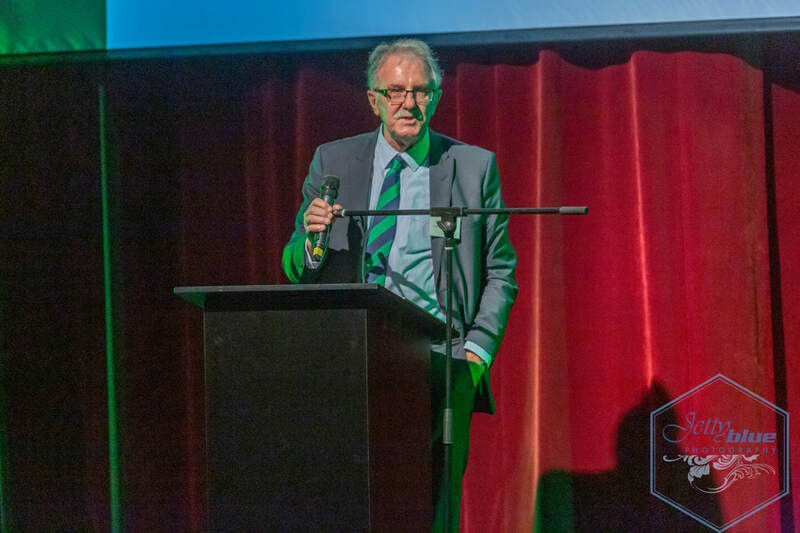 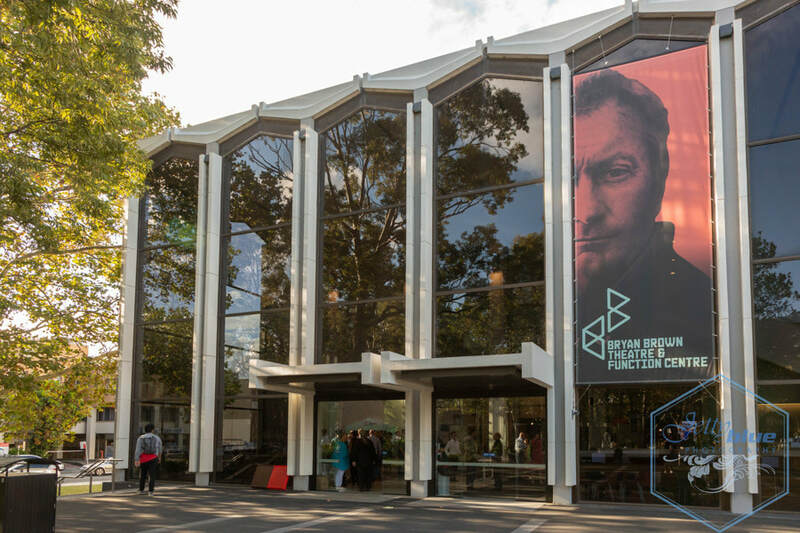 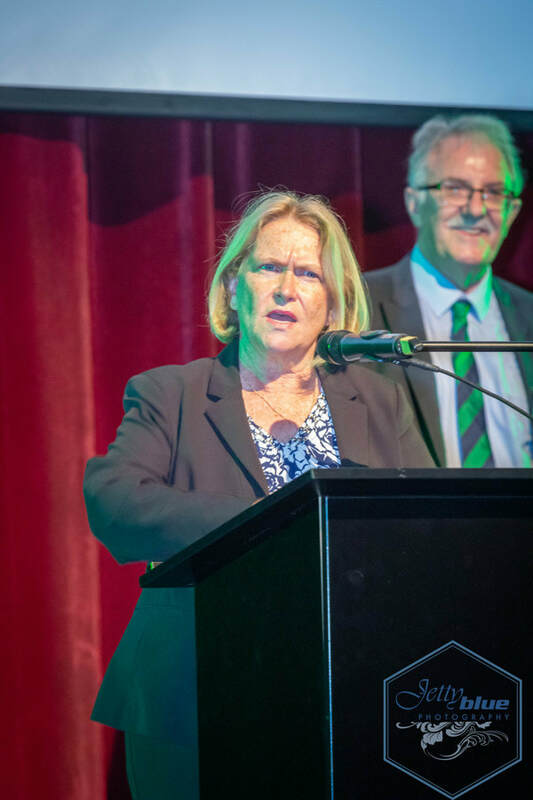 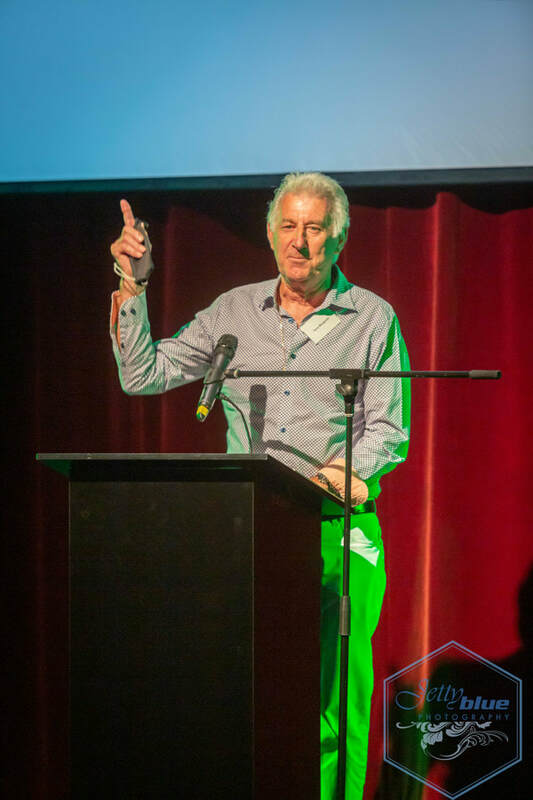 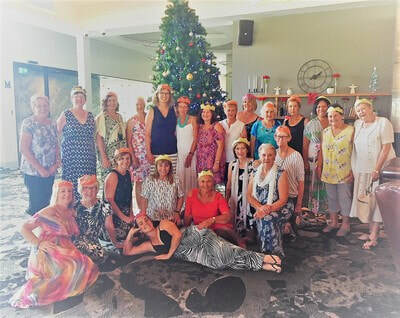 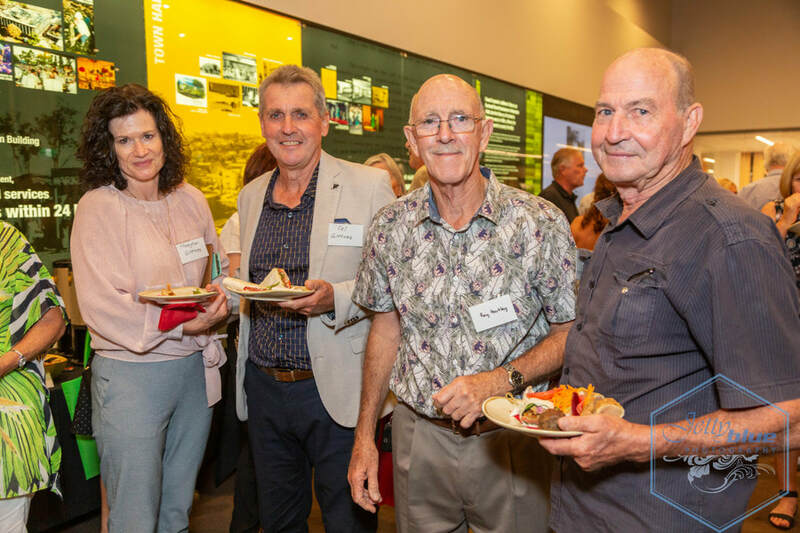 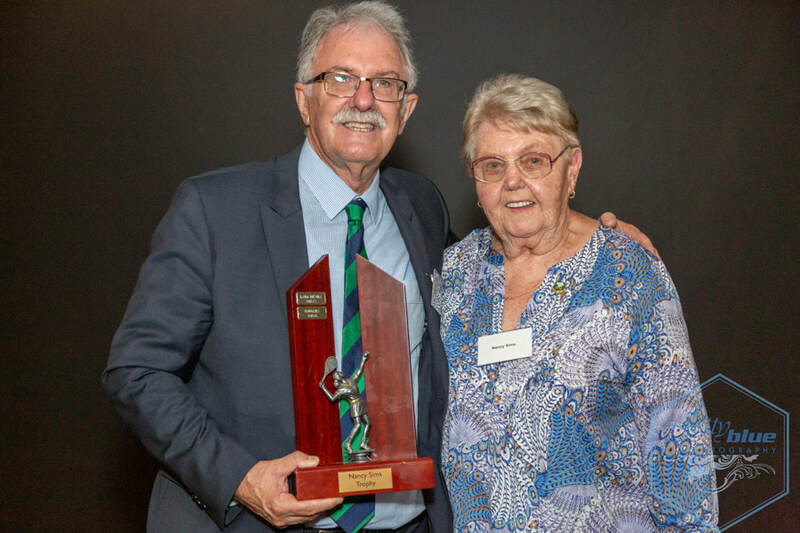 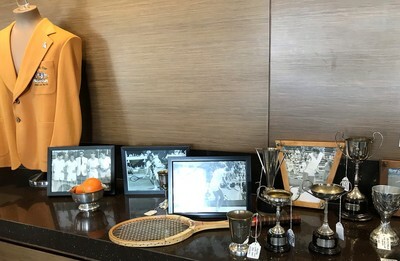 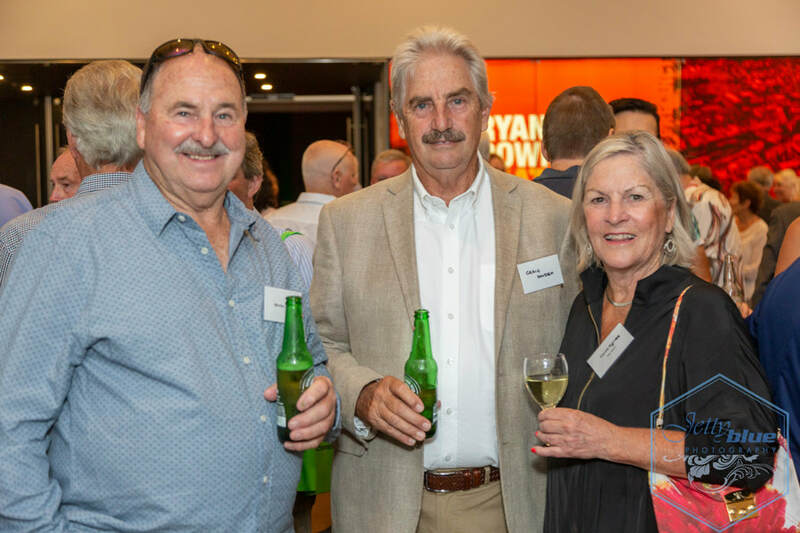 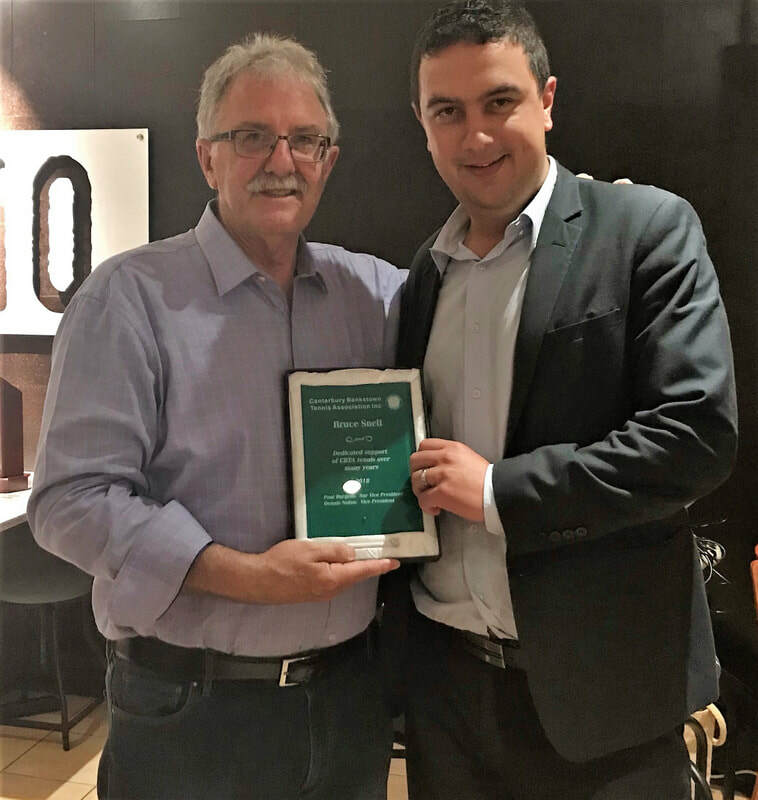 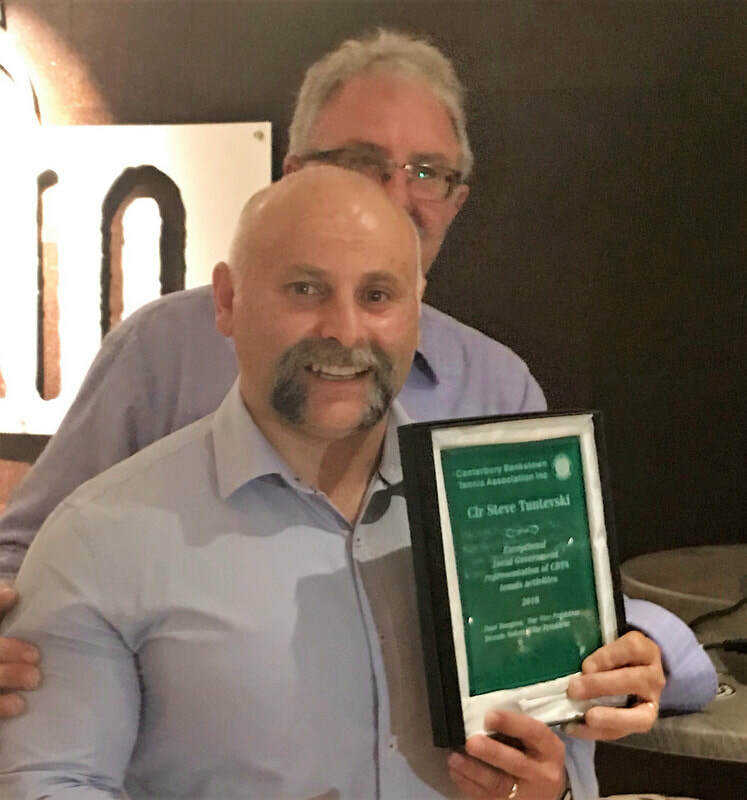 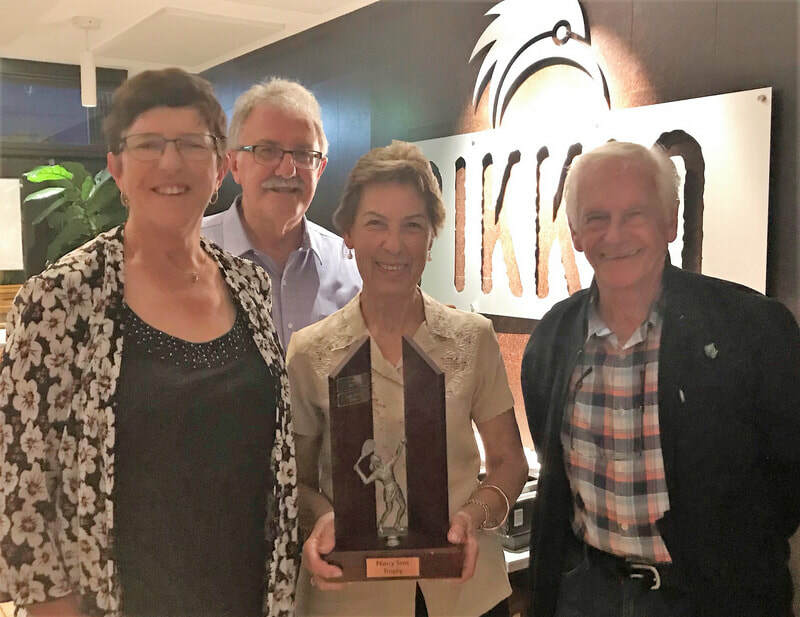 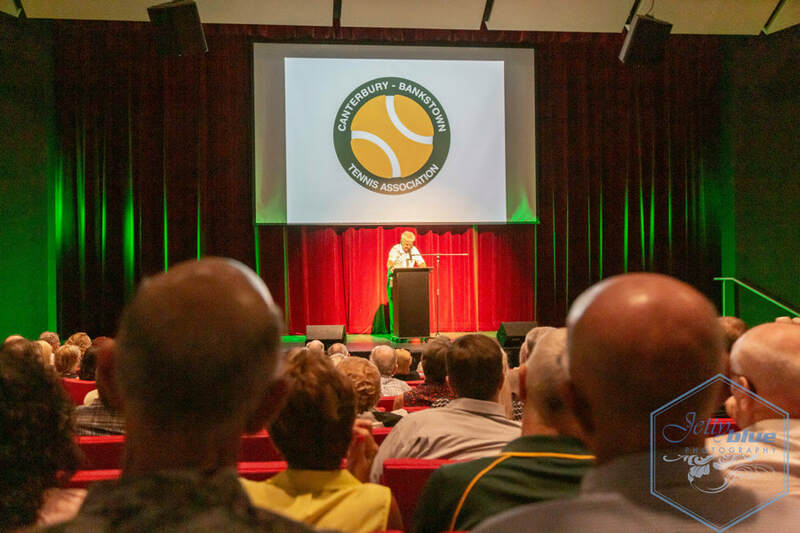 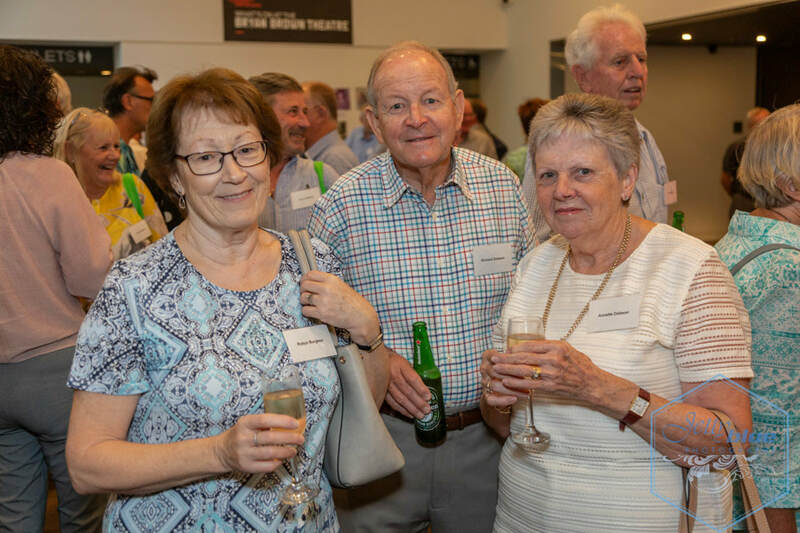 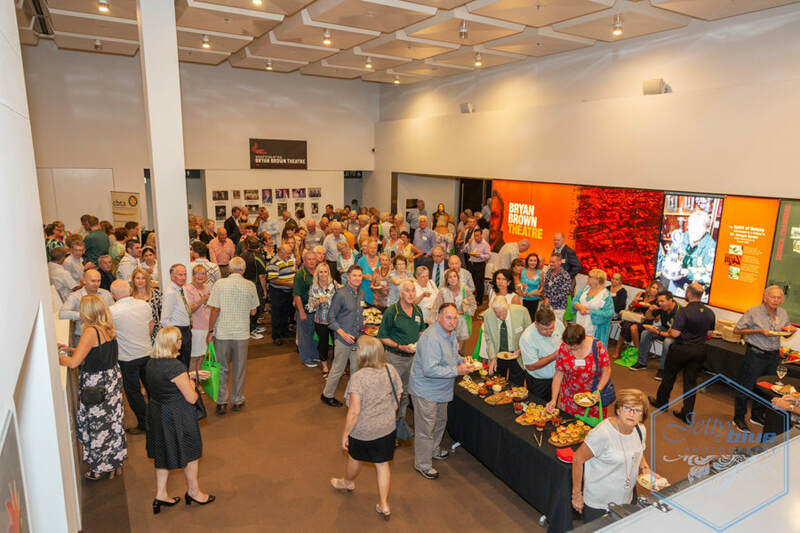 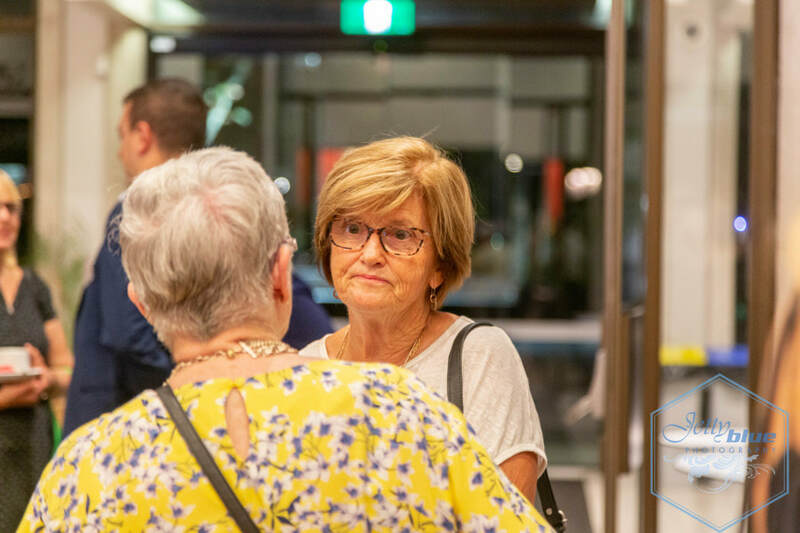 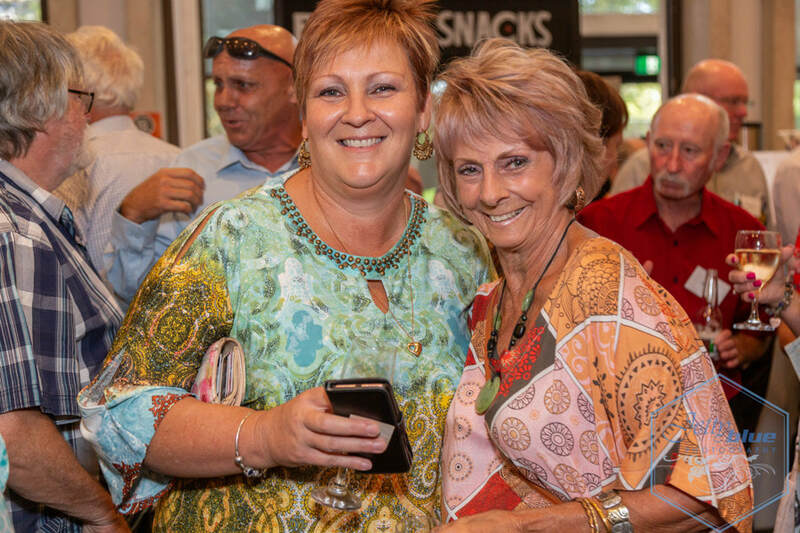 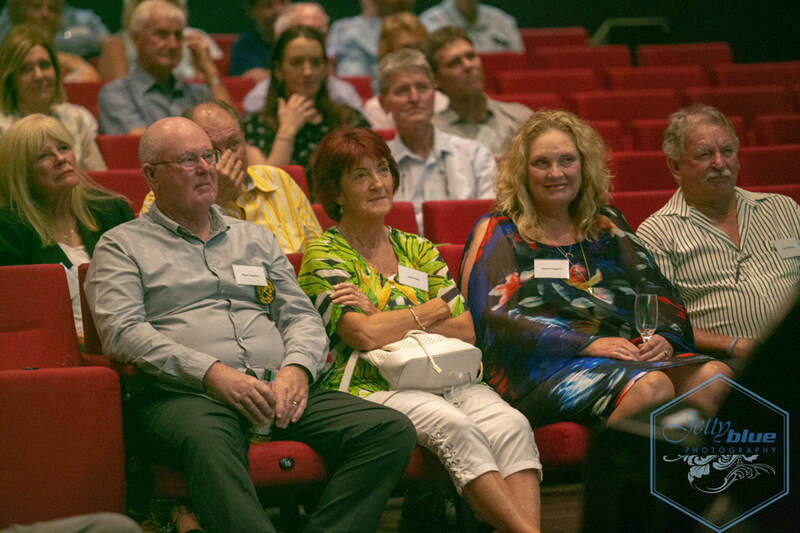 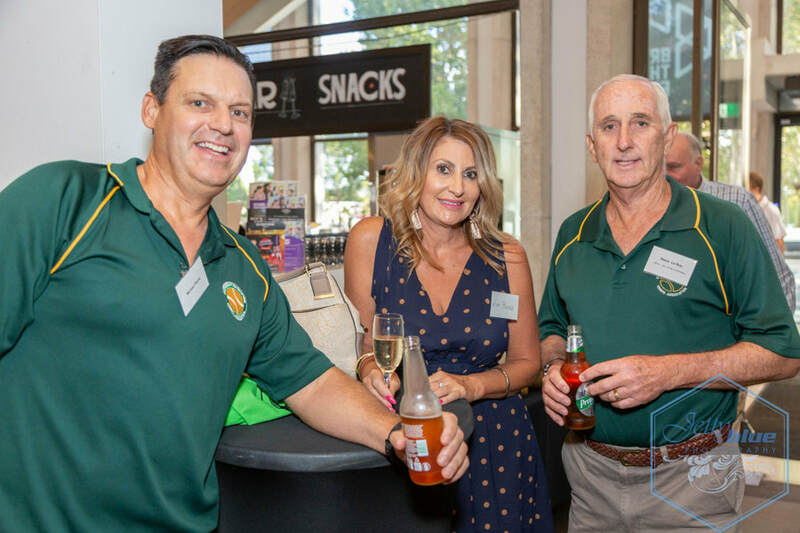 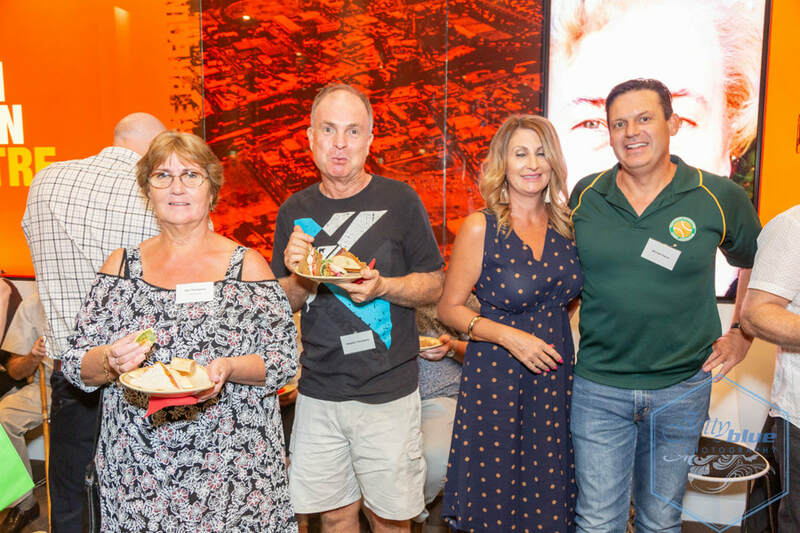 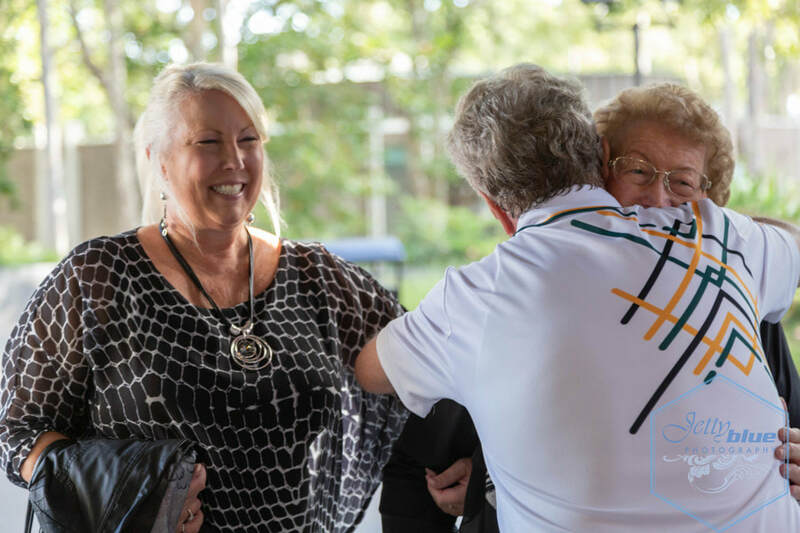 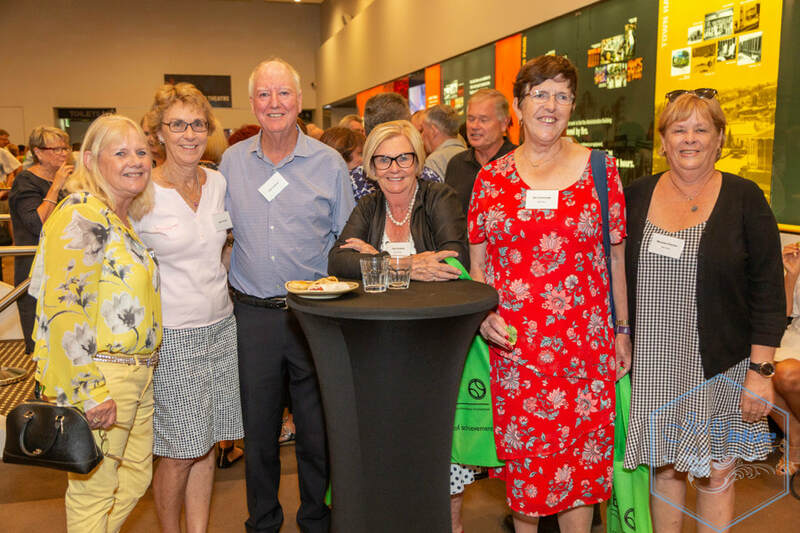 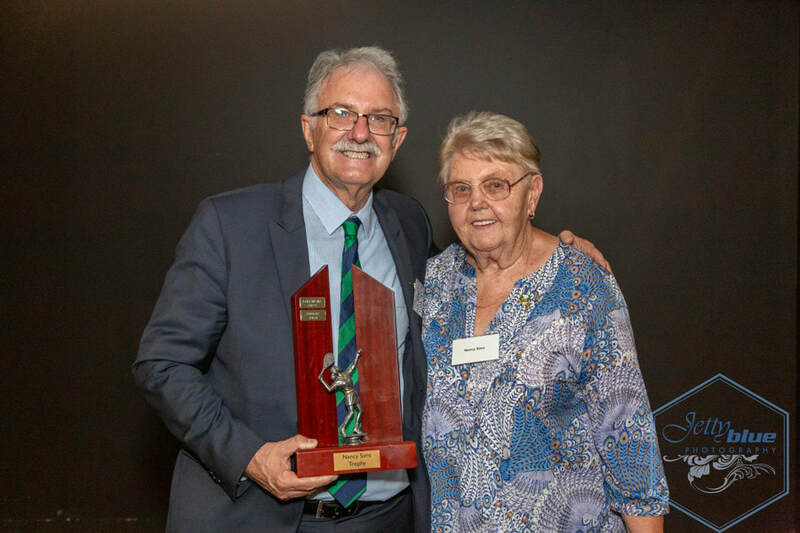 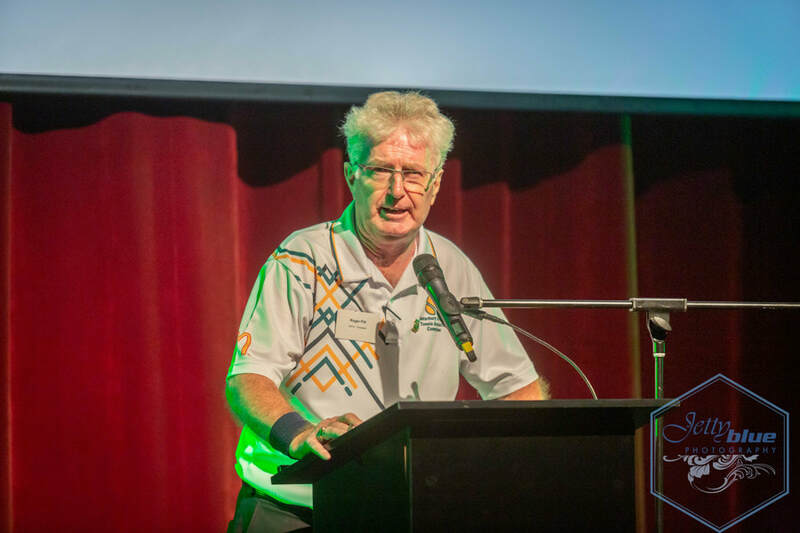 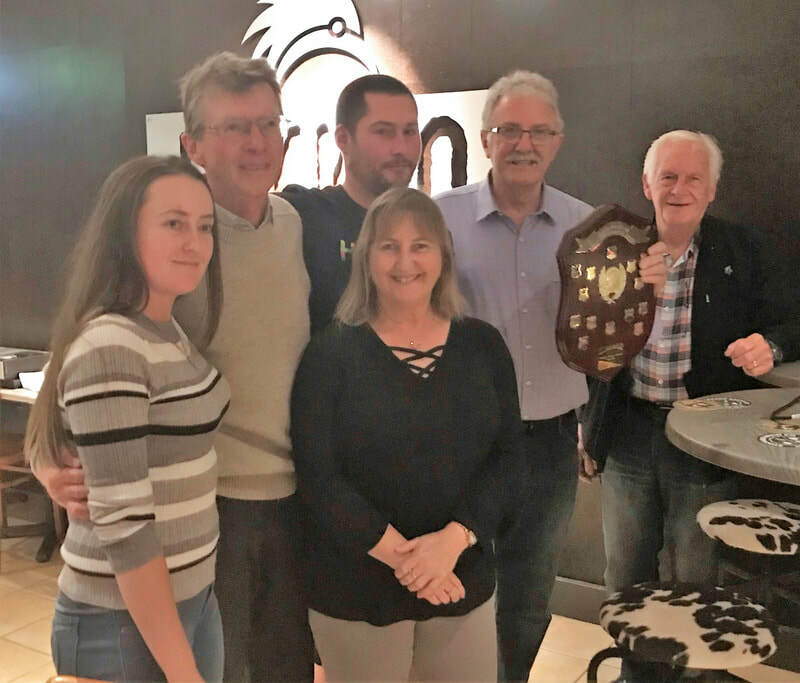 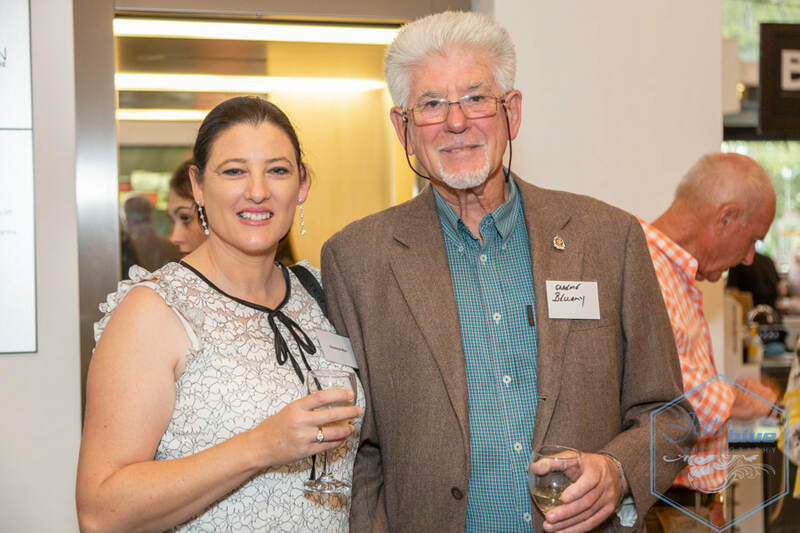 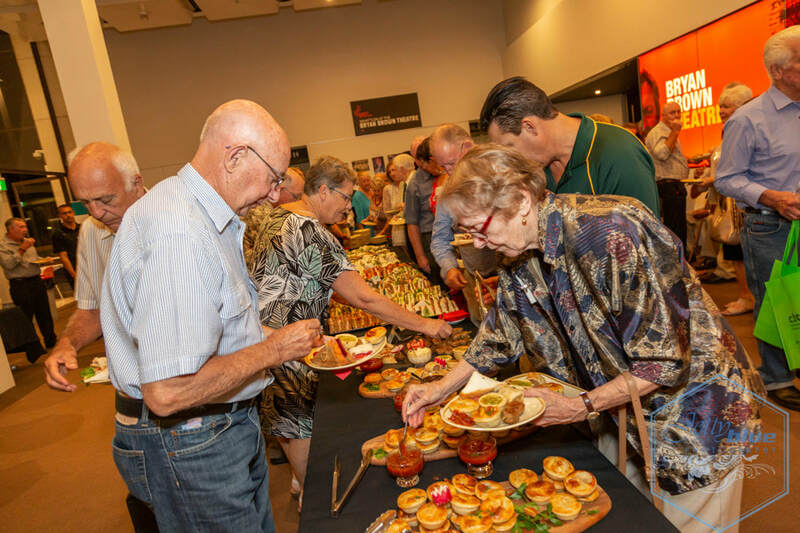 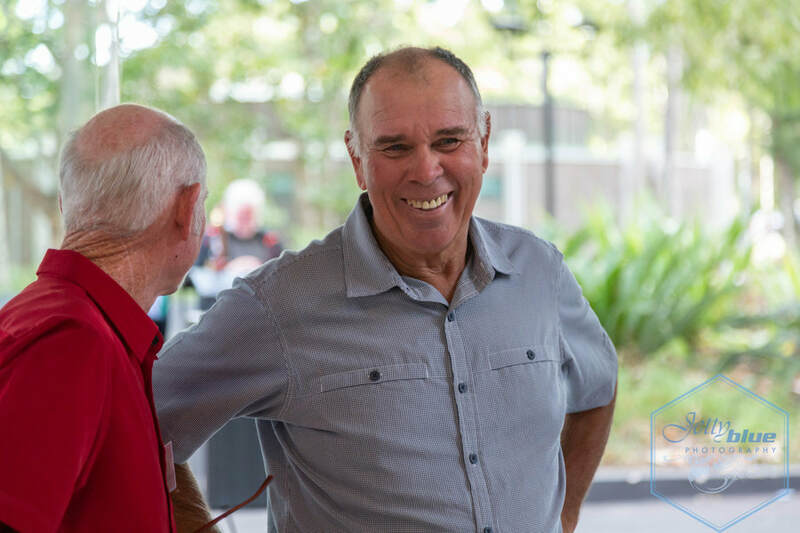 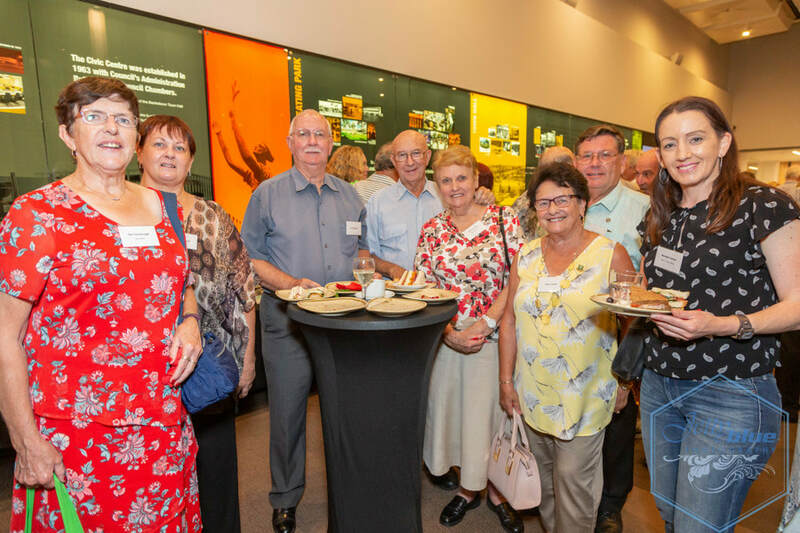 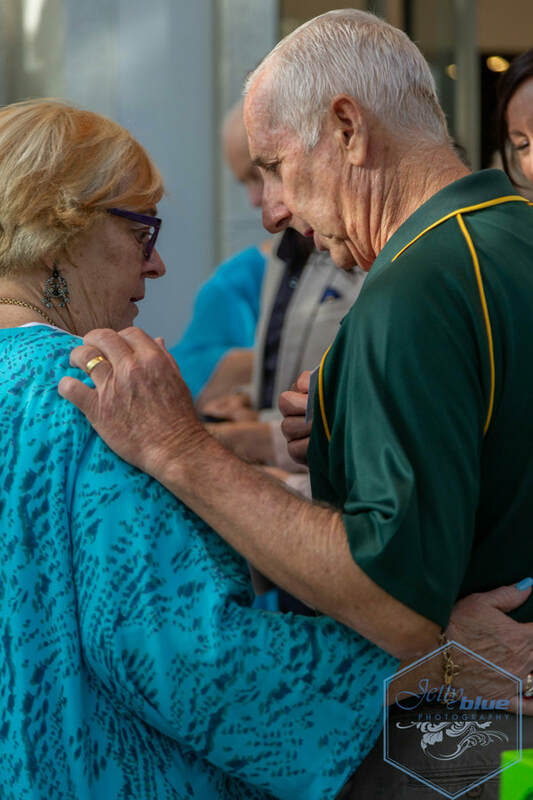 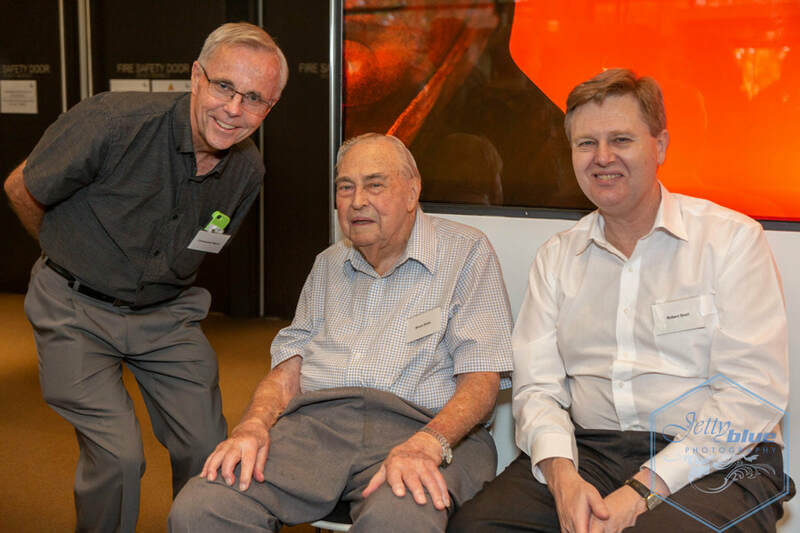 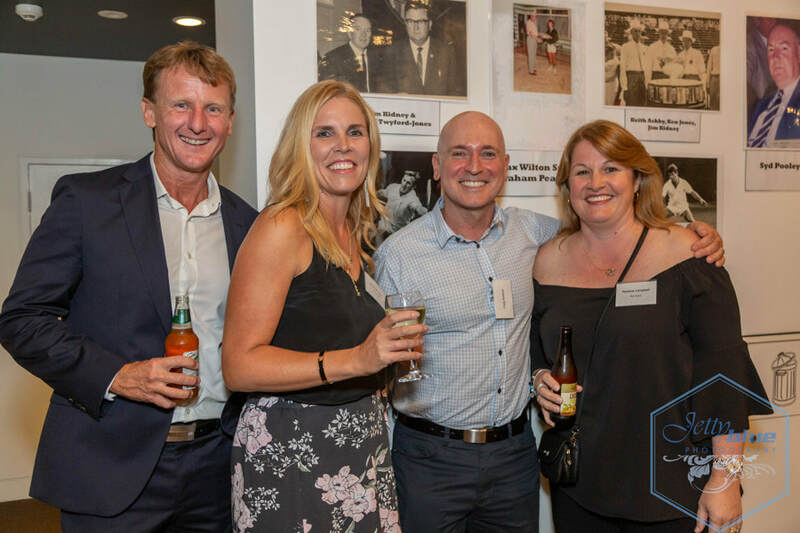 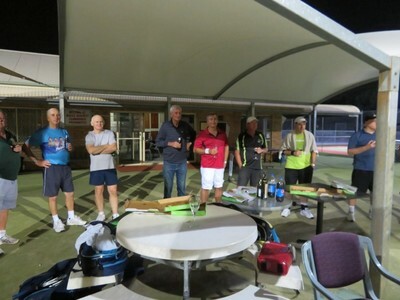 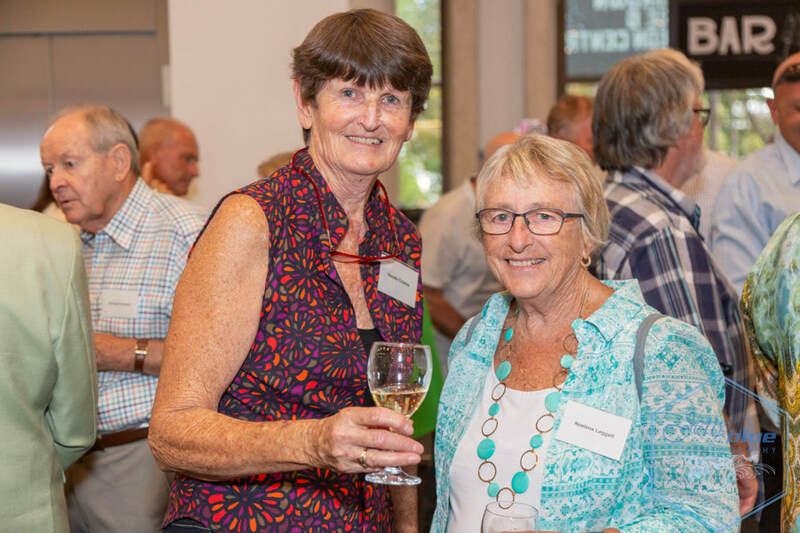 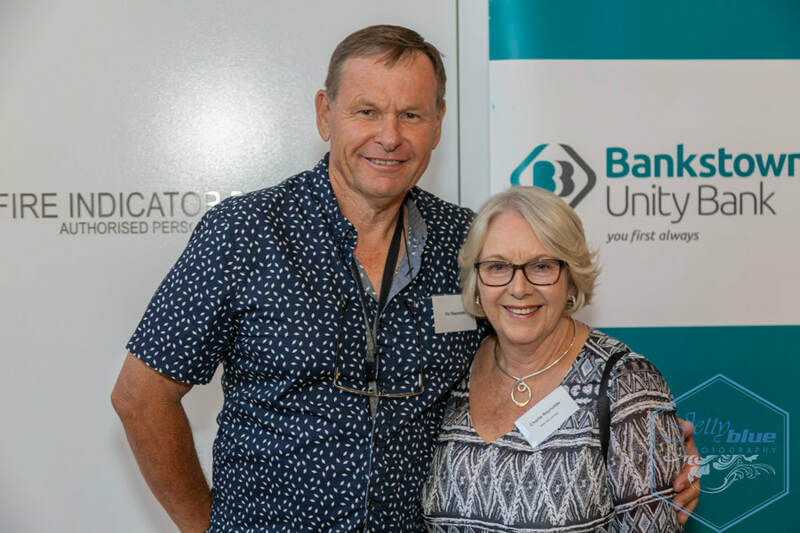 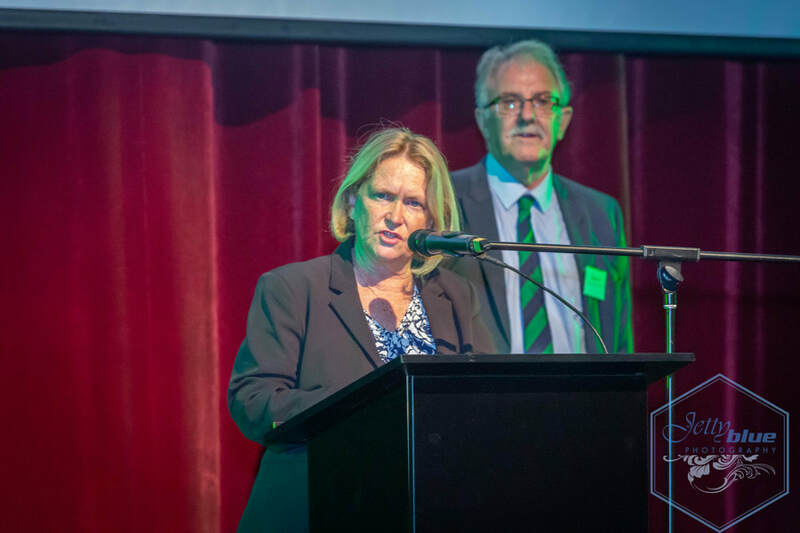 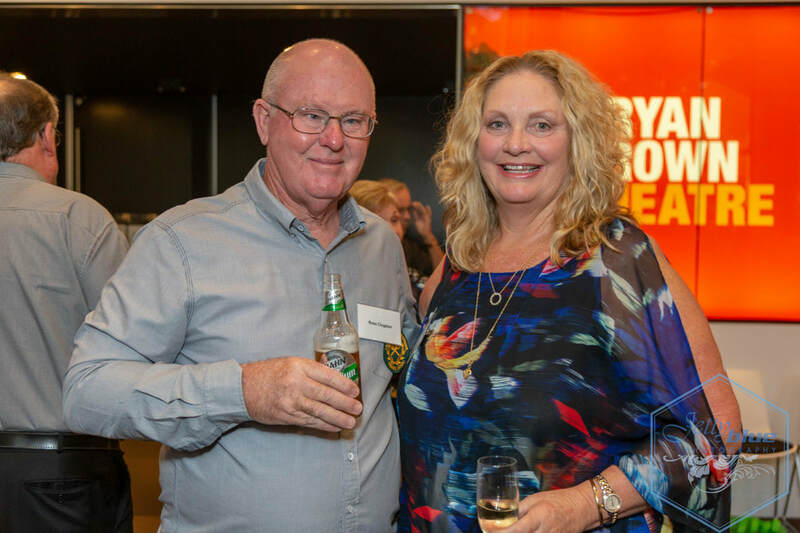 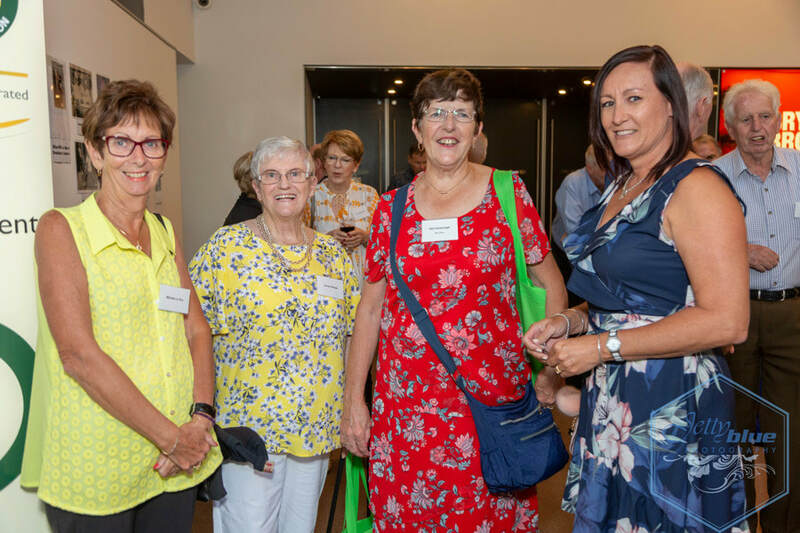 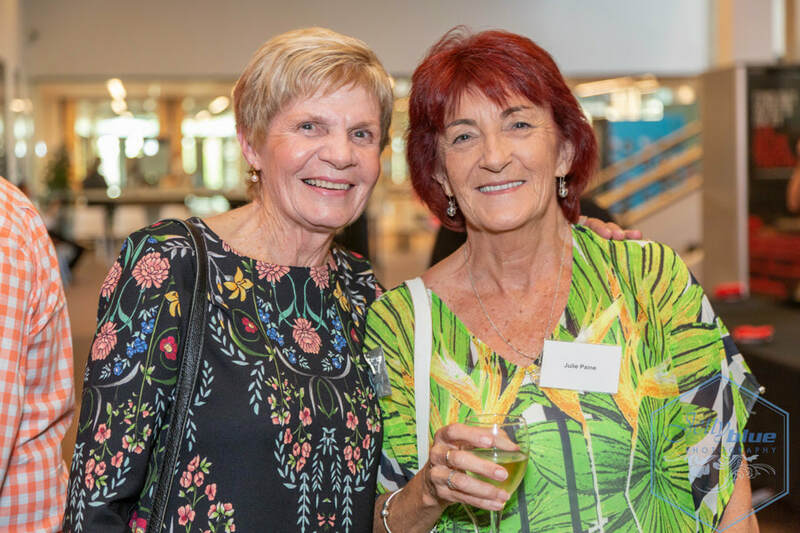 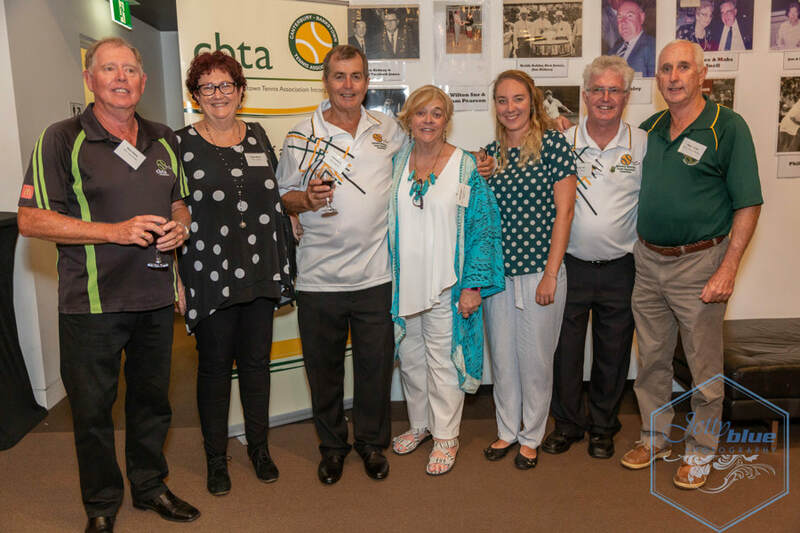 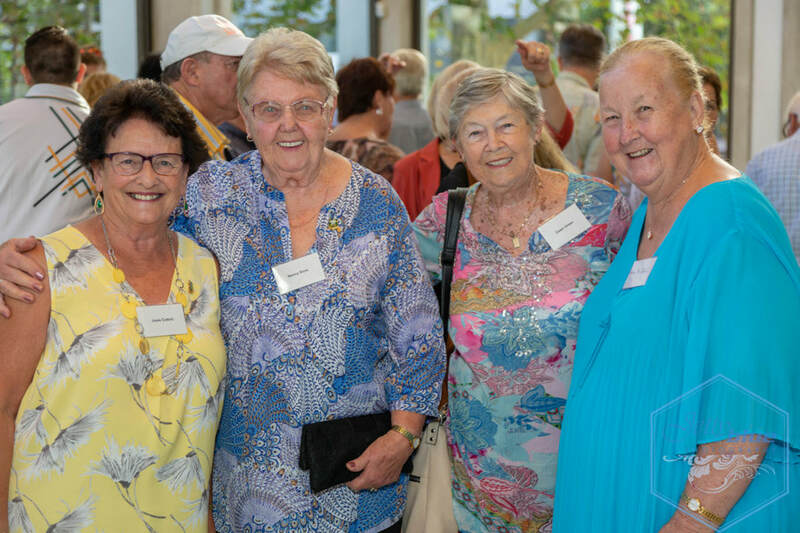 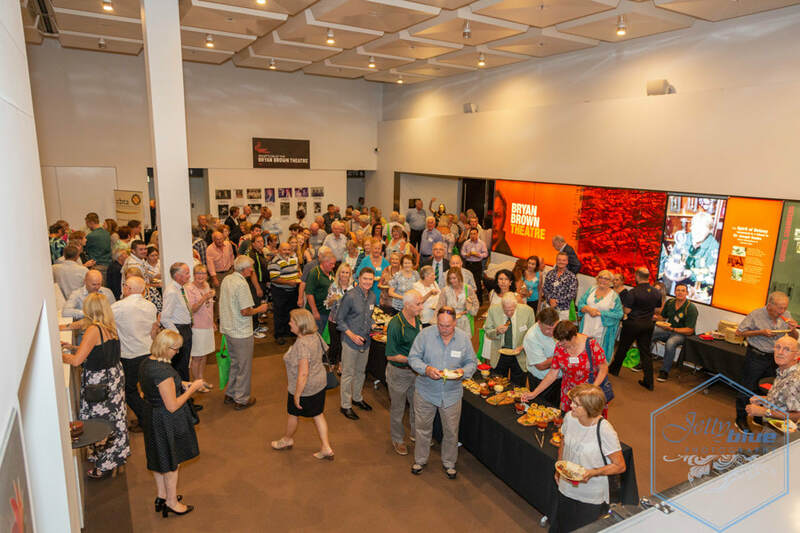 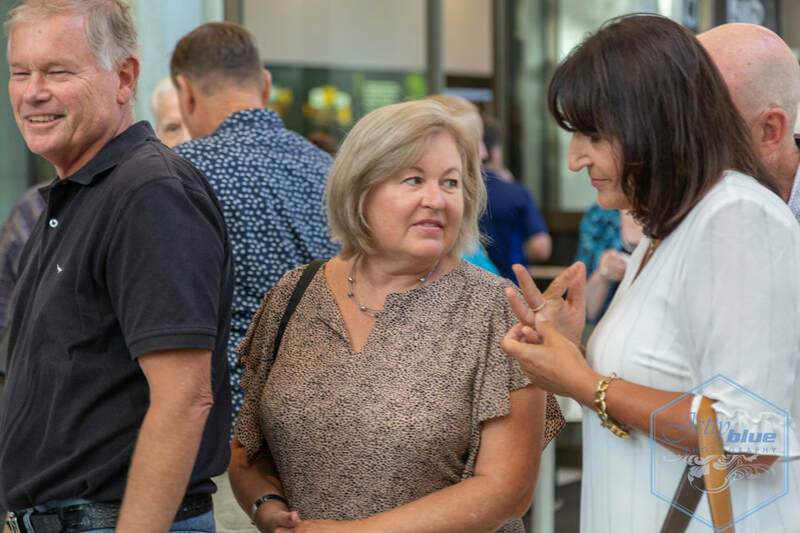 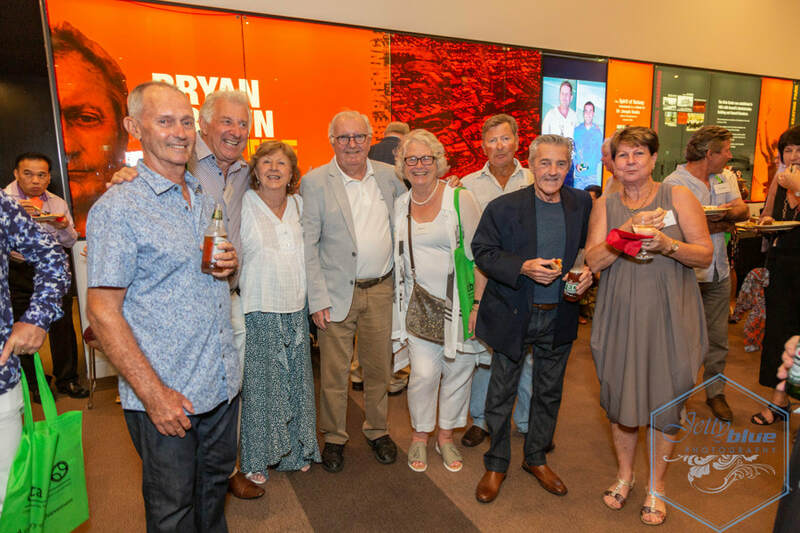 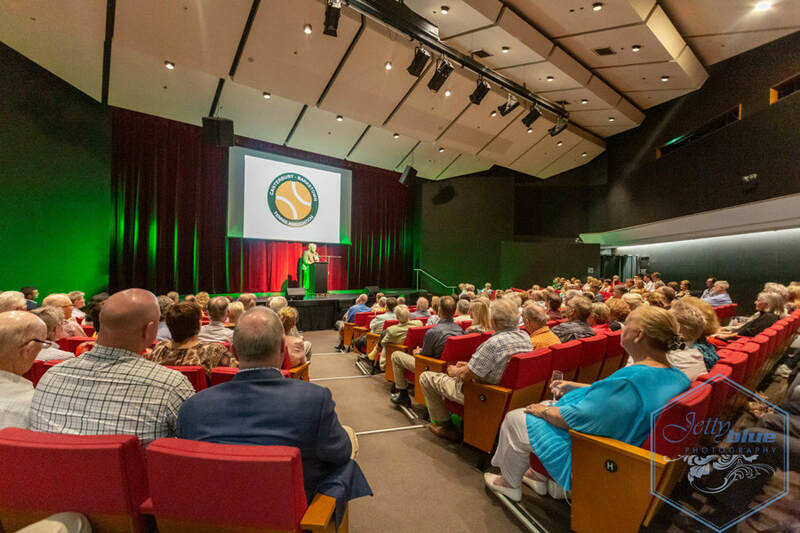 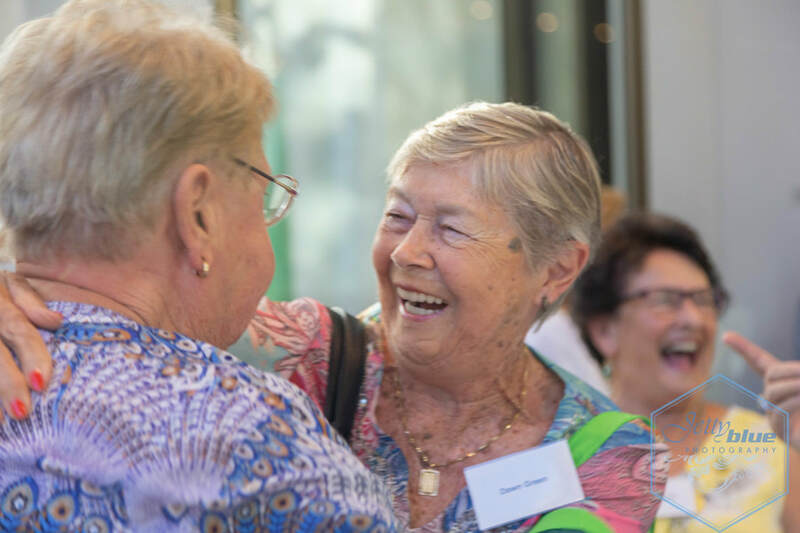 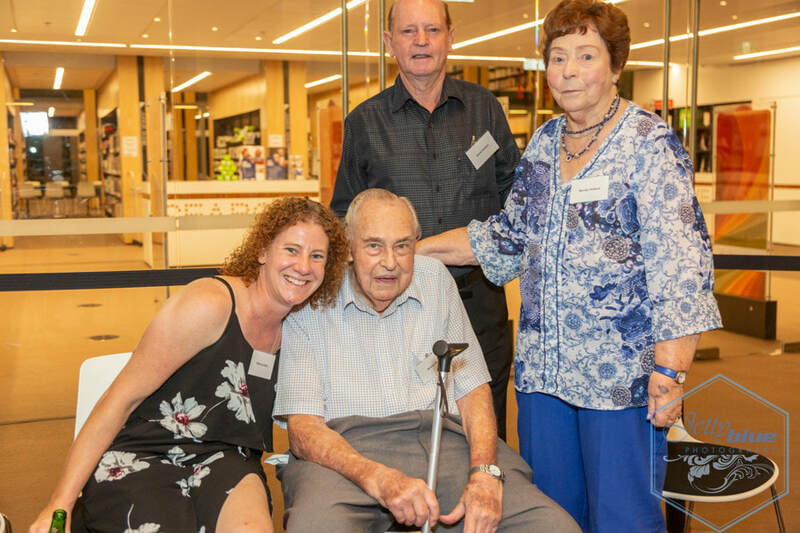 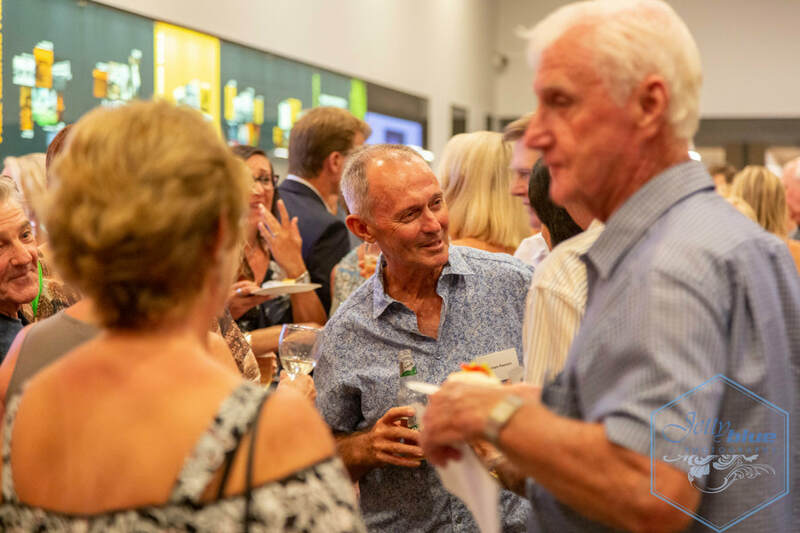 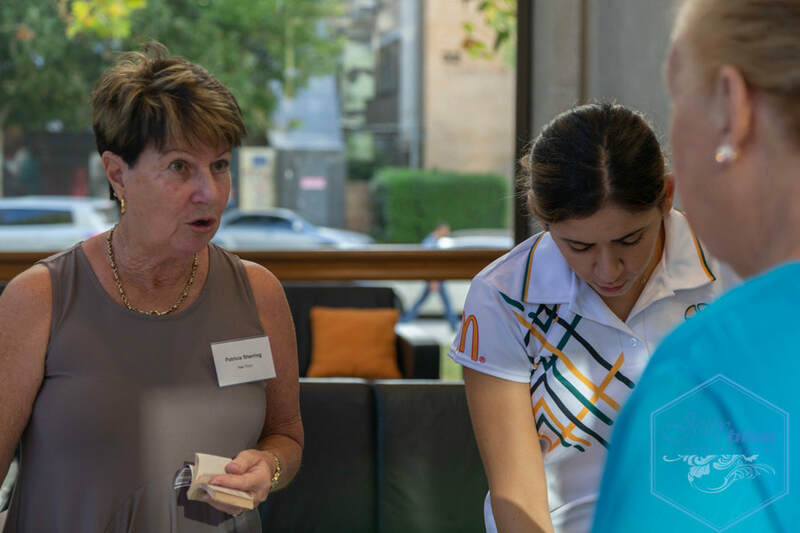 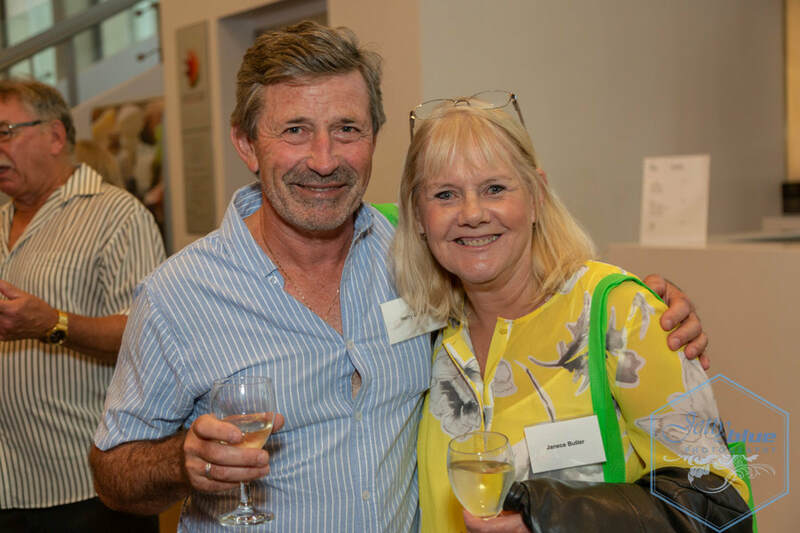 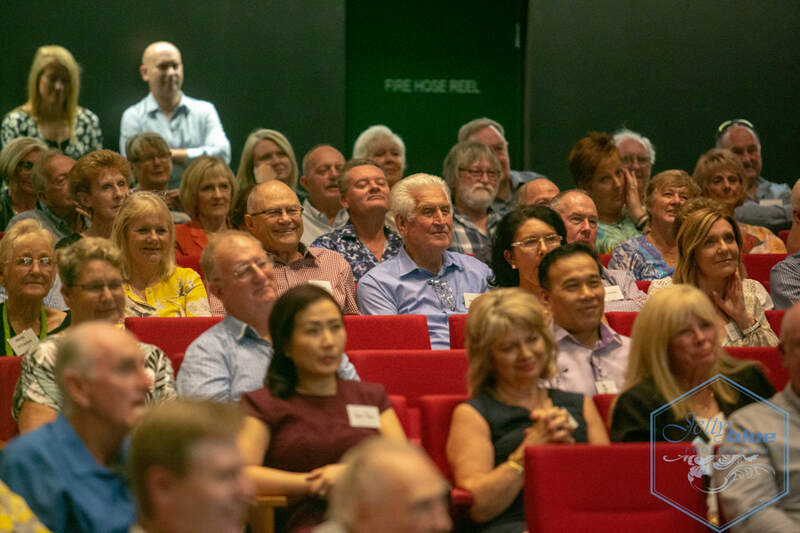 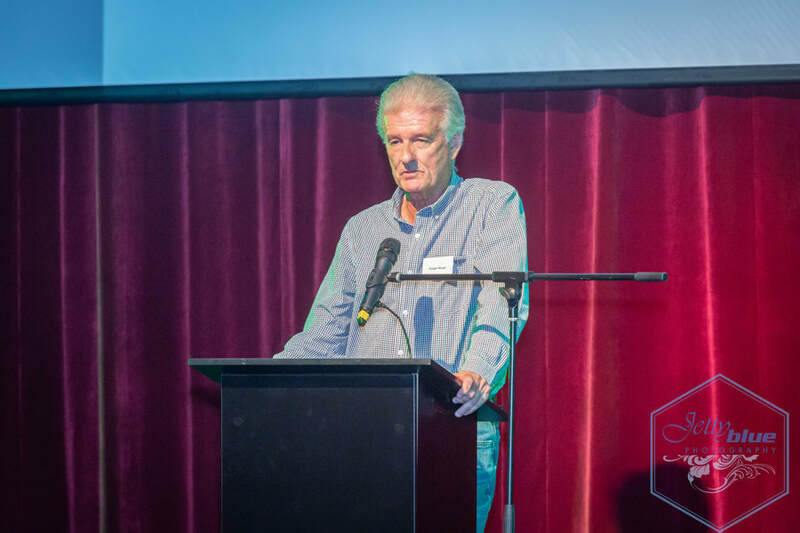 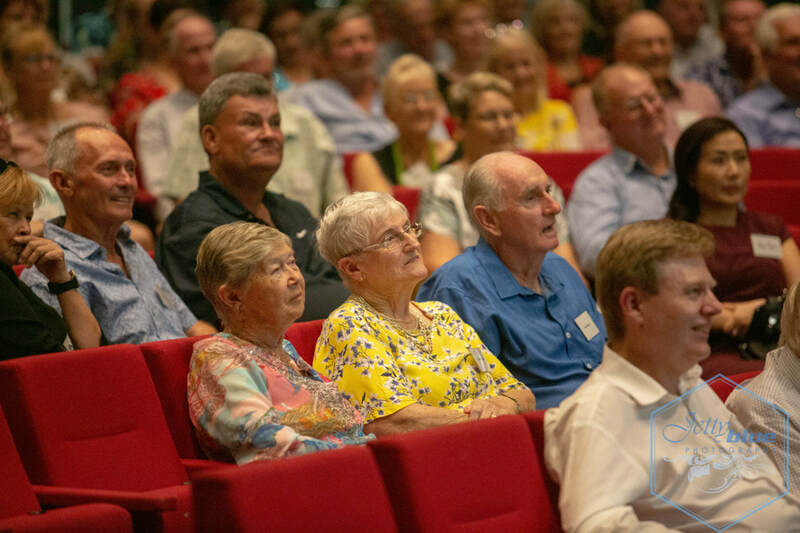 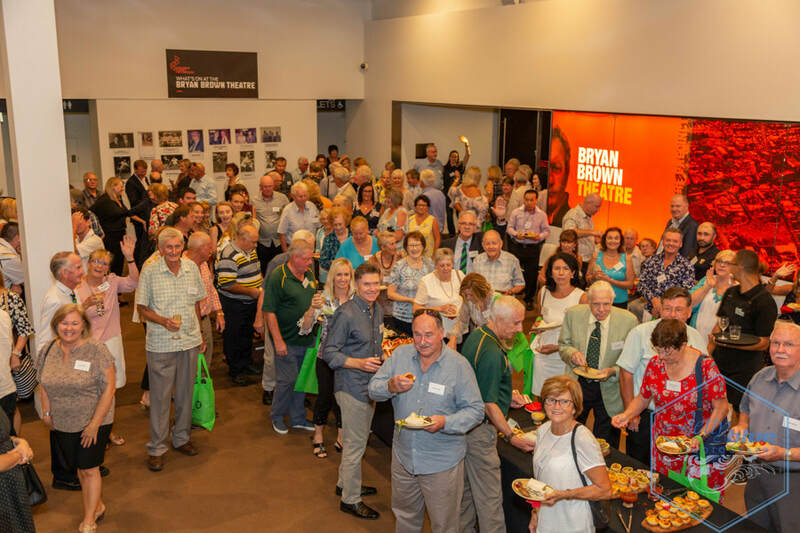 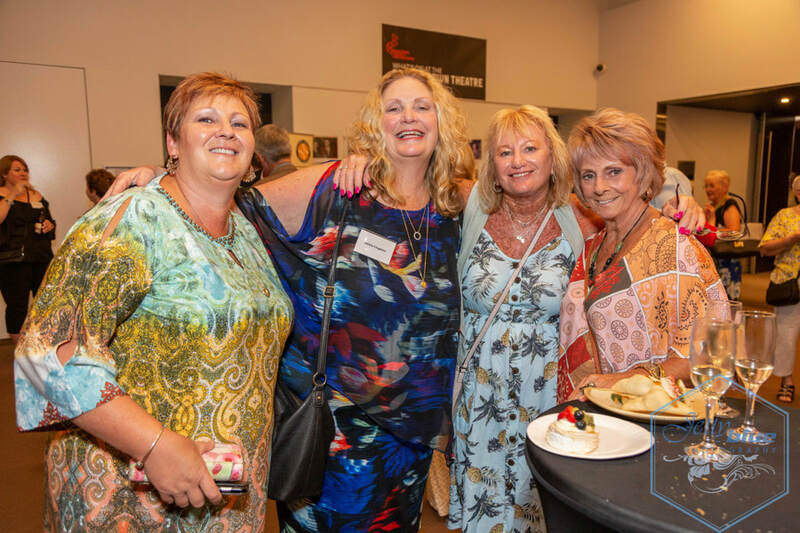 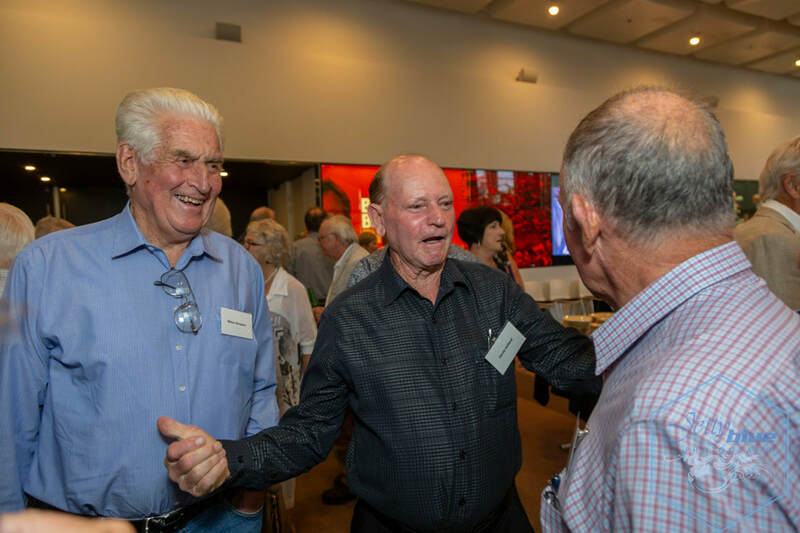 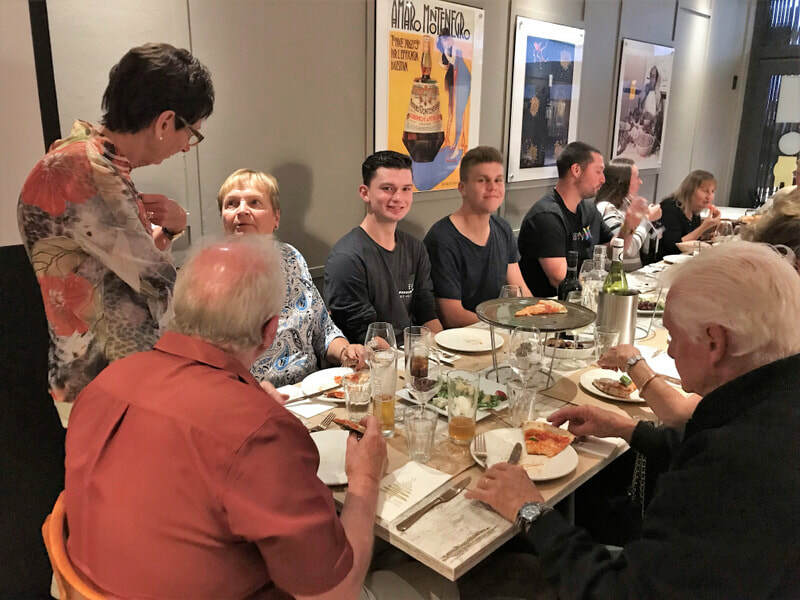 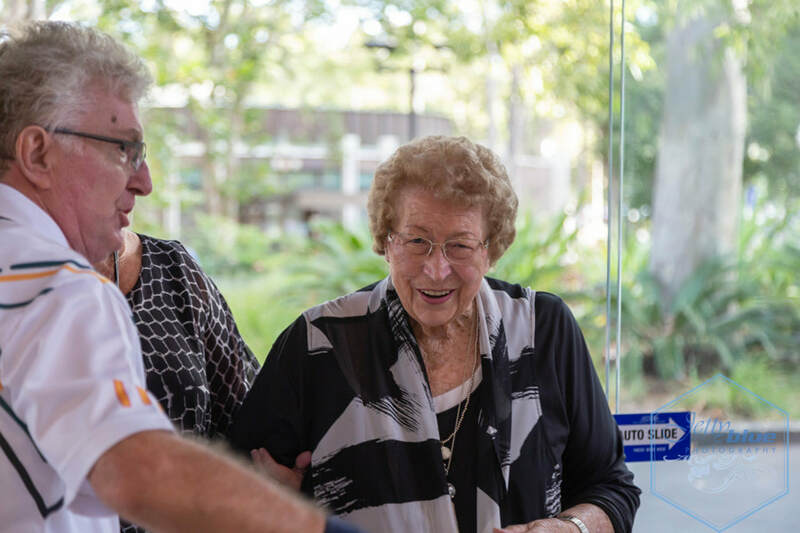 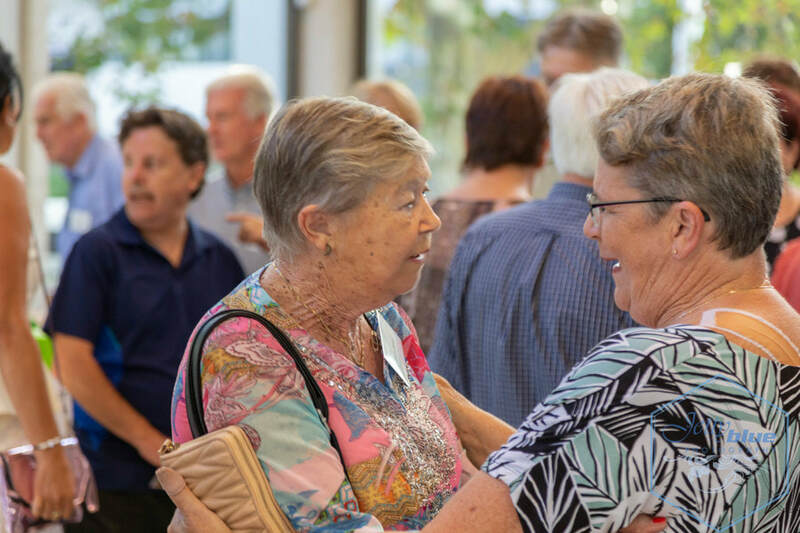 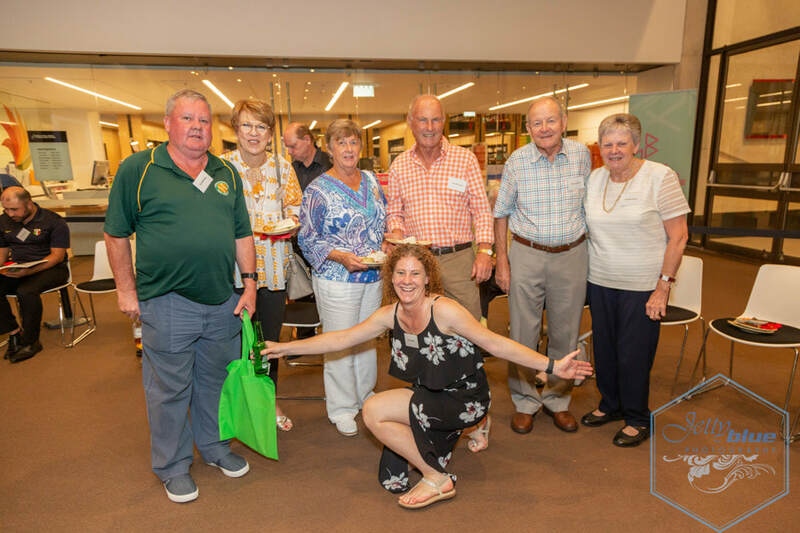 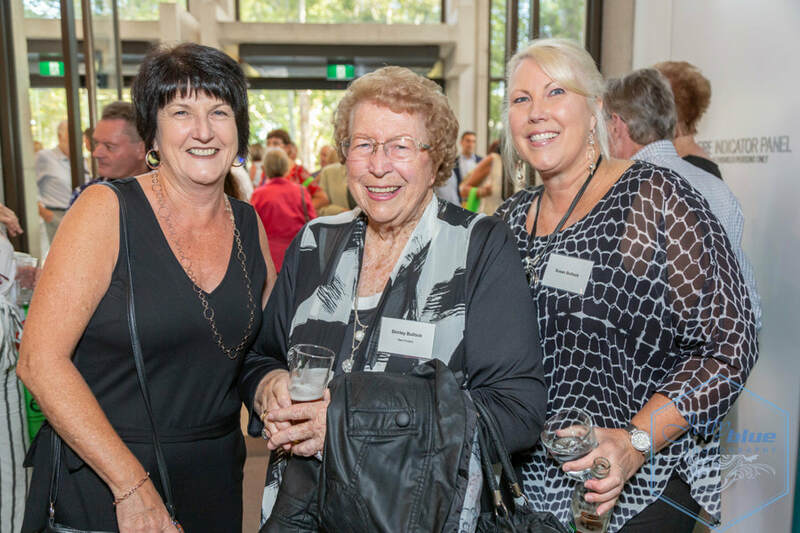 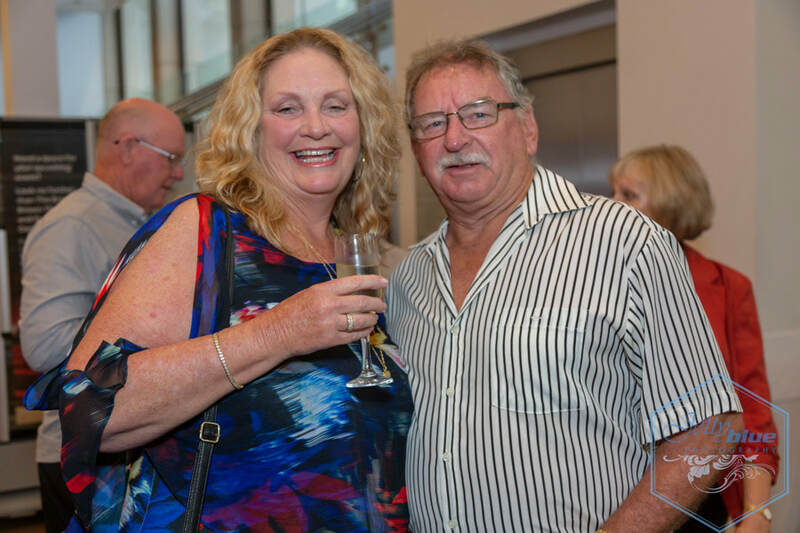 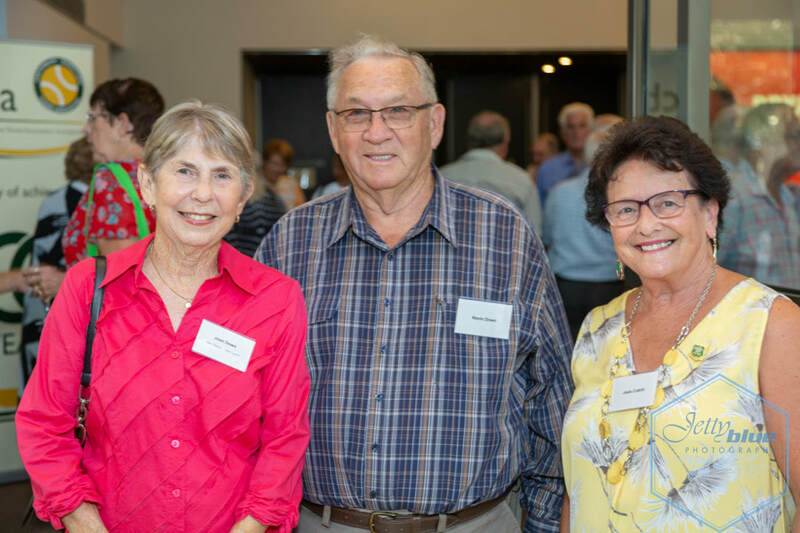 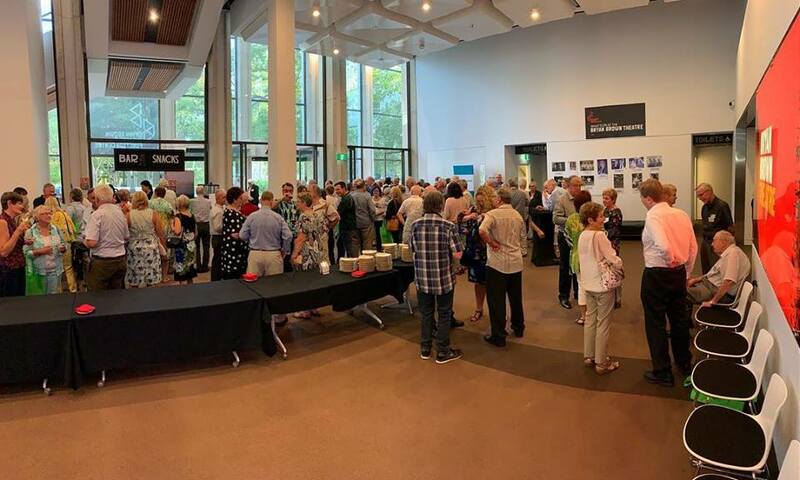 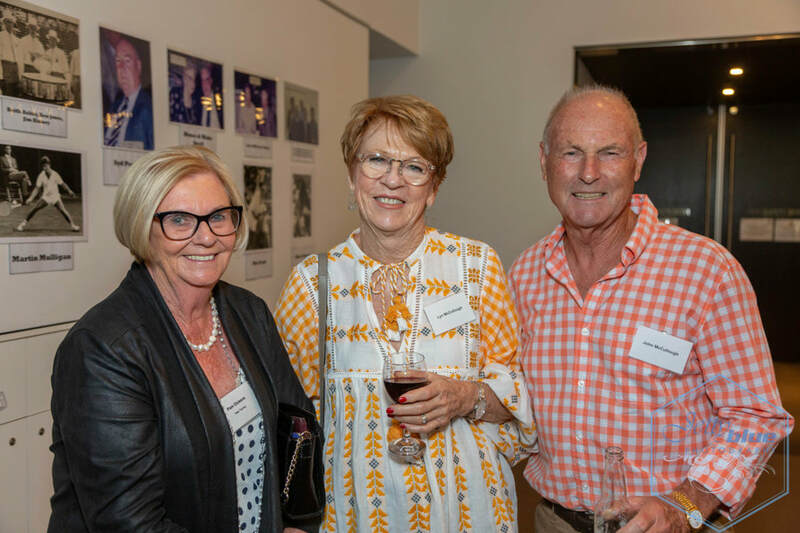 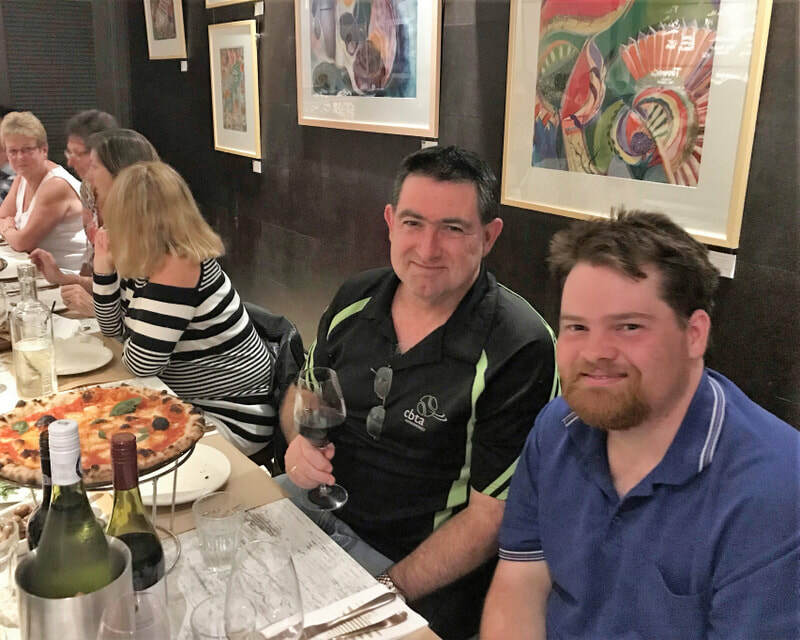 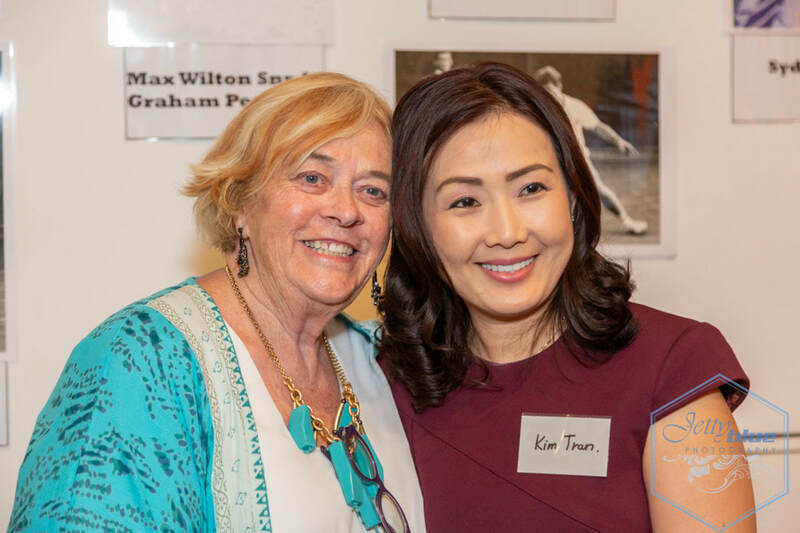 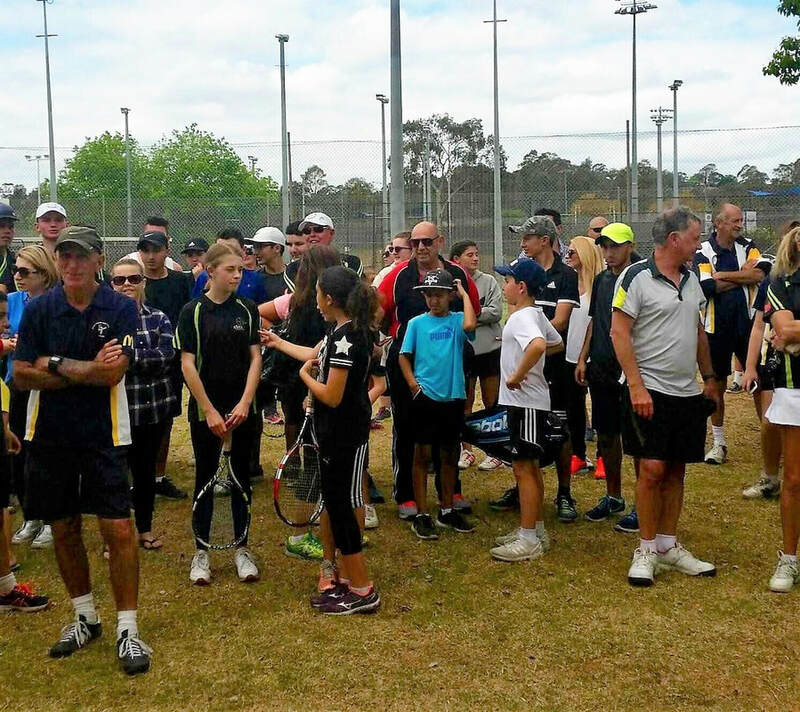 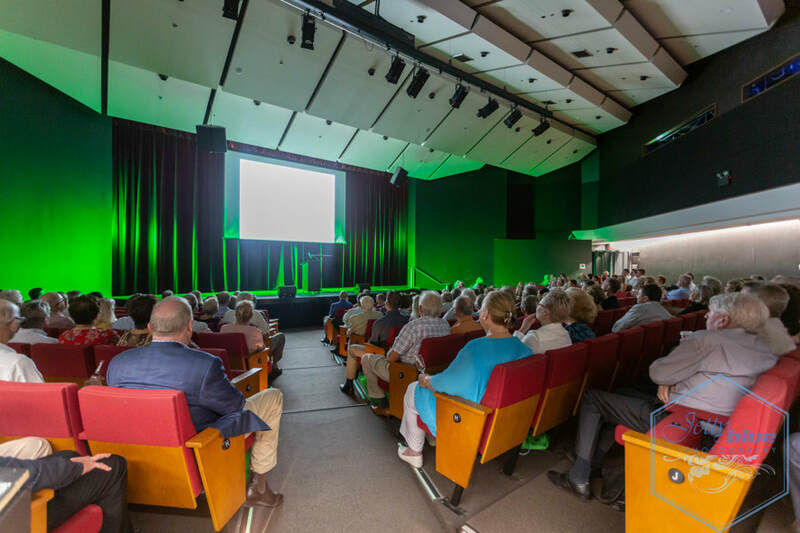 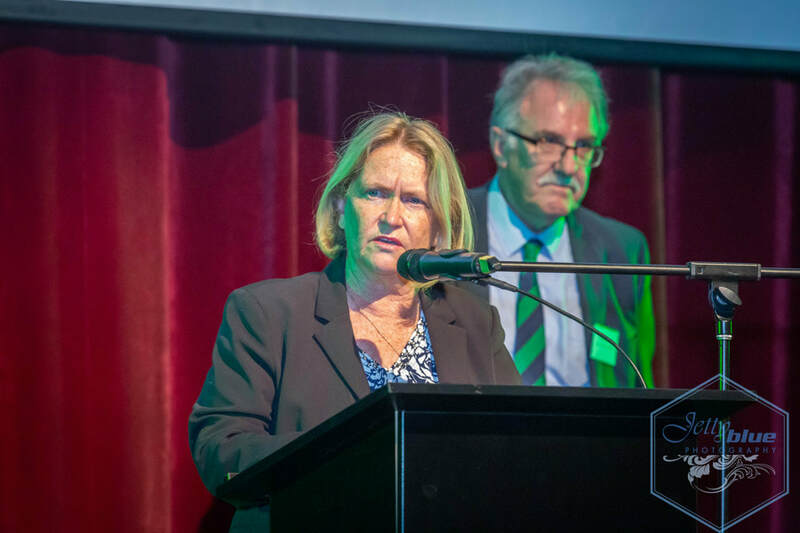 The first official Canterbury Bankstown Tennis Association reunion event since 1995, put together for the special release of the book produced by Chris Maron covering 100 years of achievement of the Canterbury Bankstown Tennis Association. 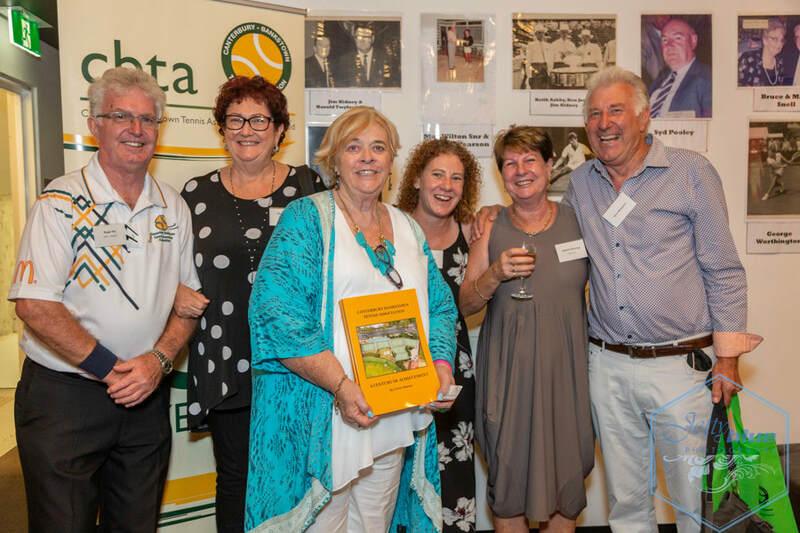 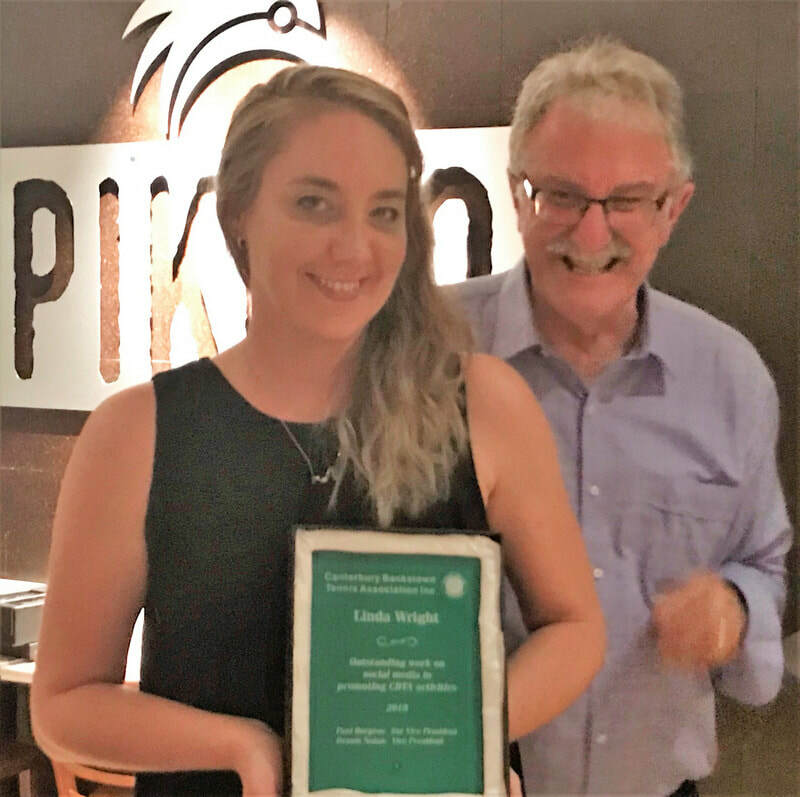 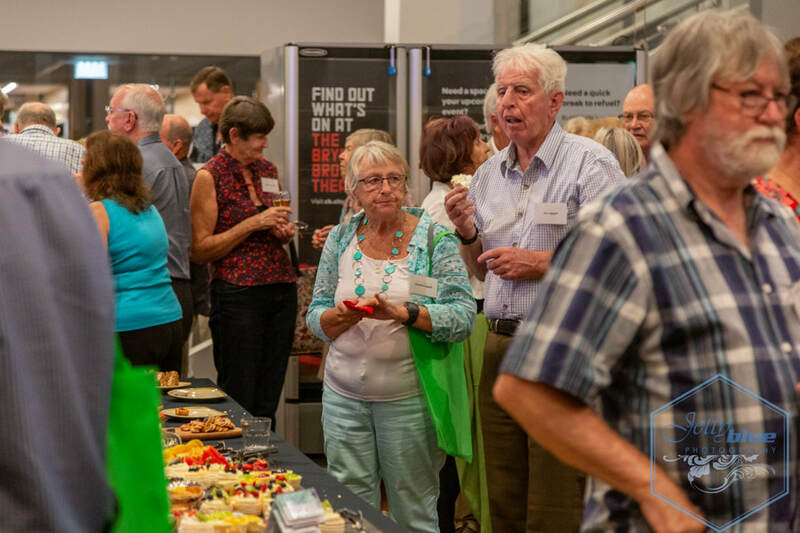 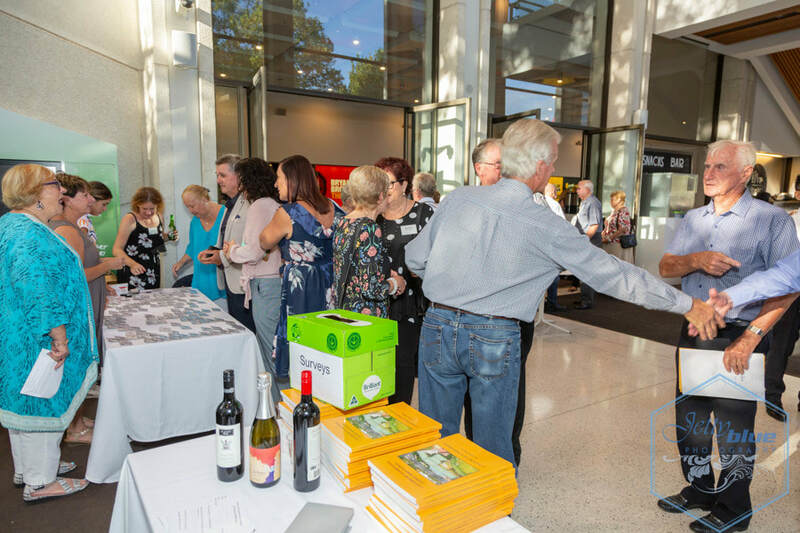 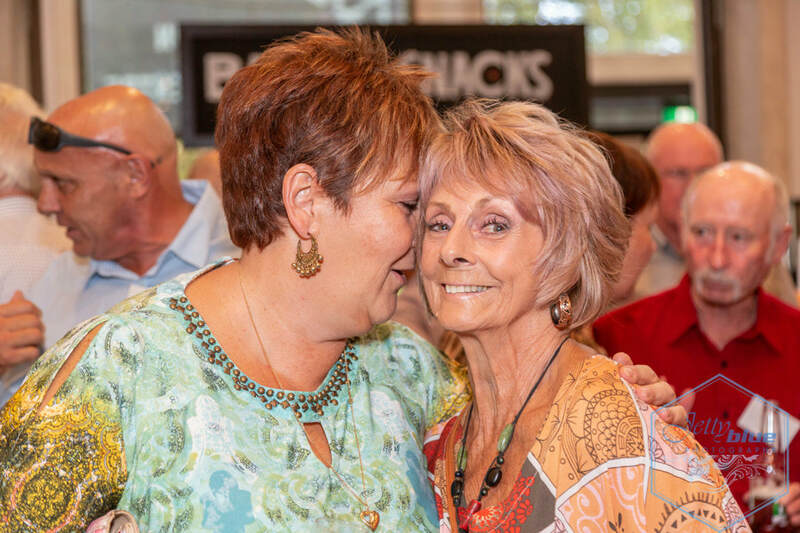 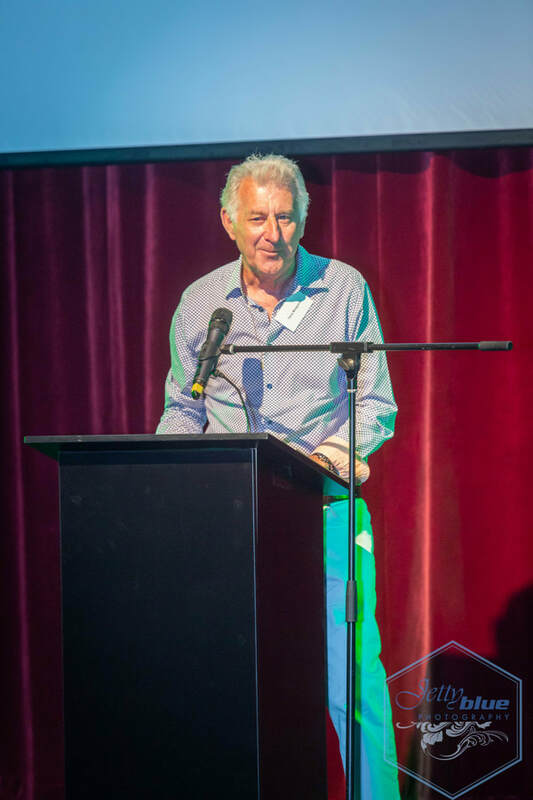 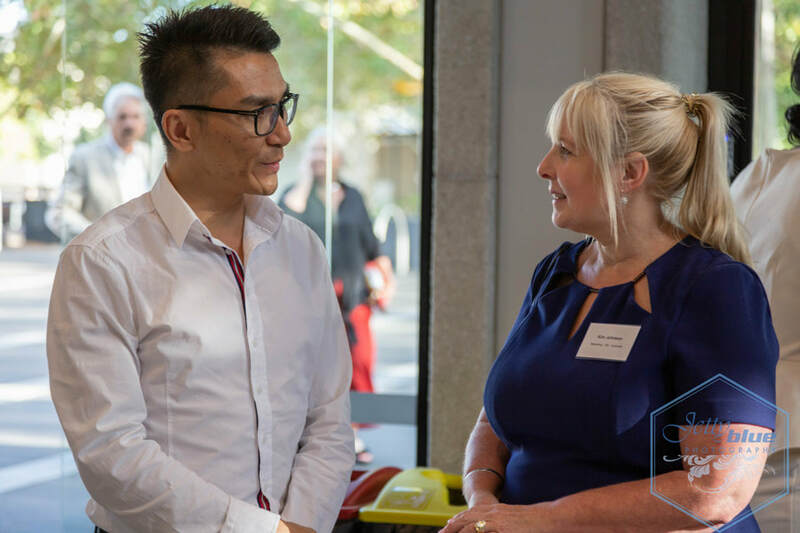 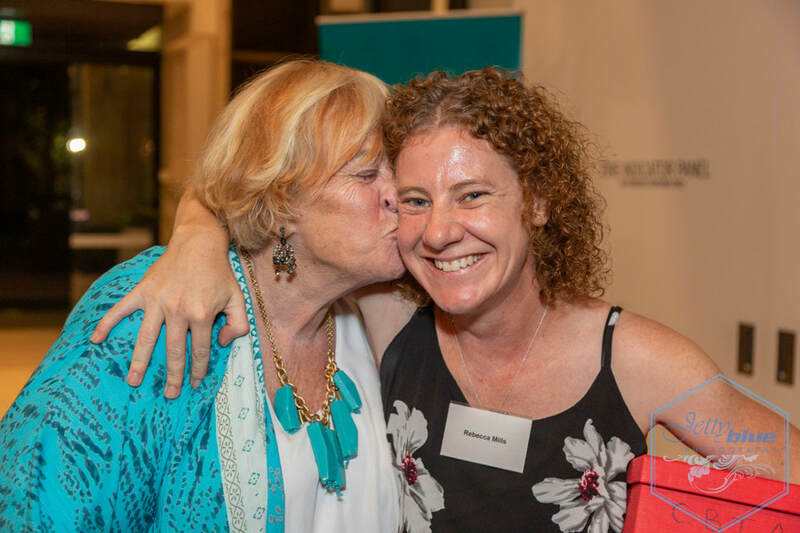 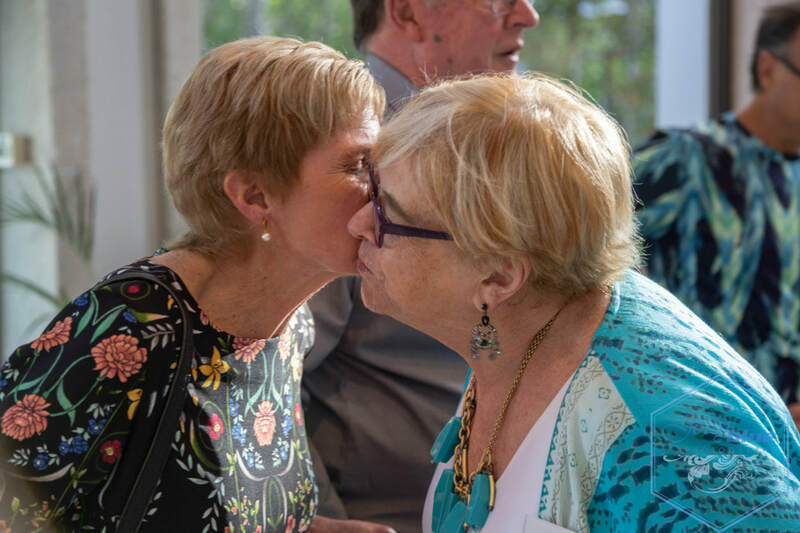 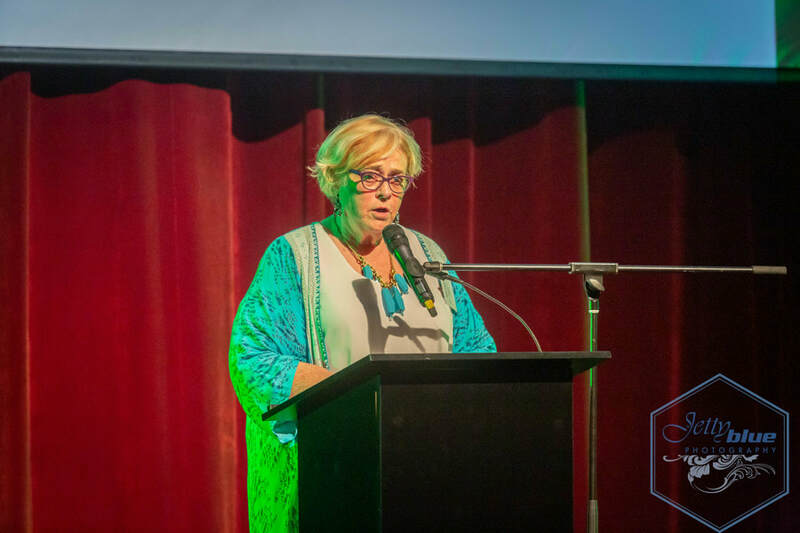 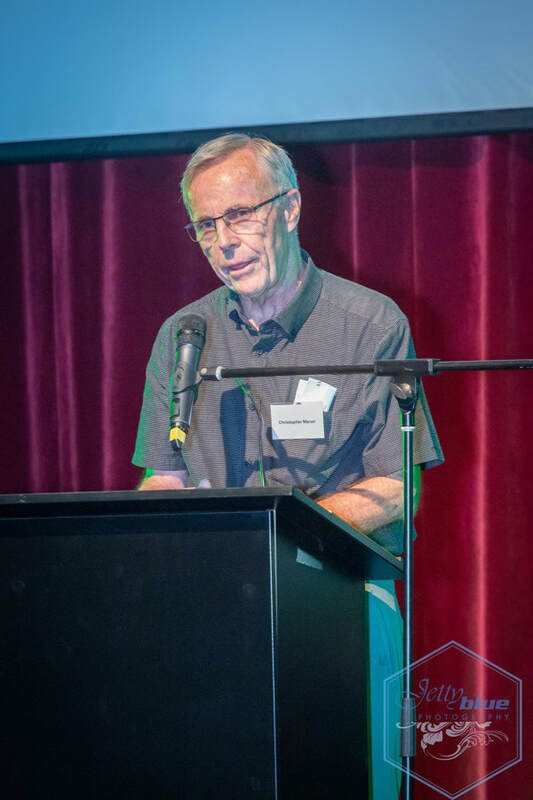 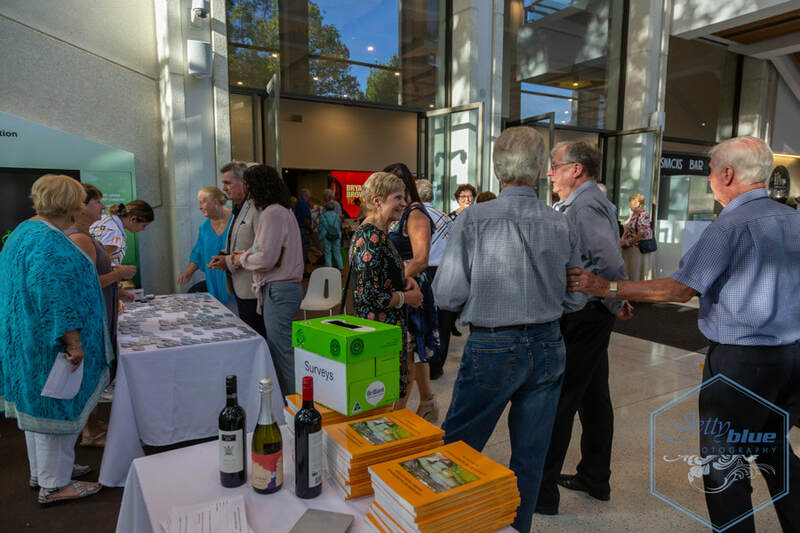 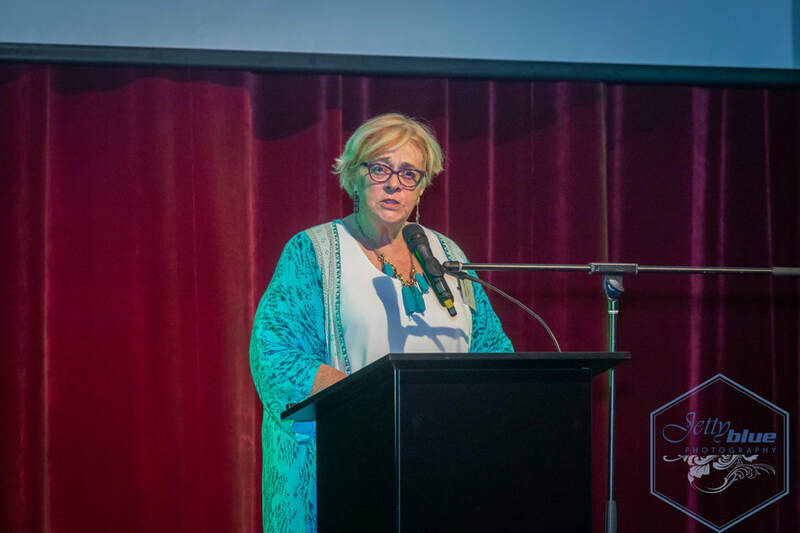 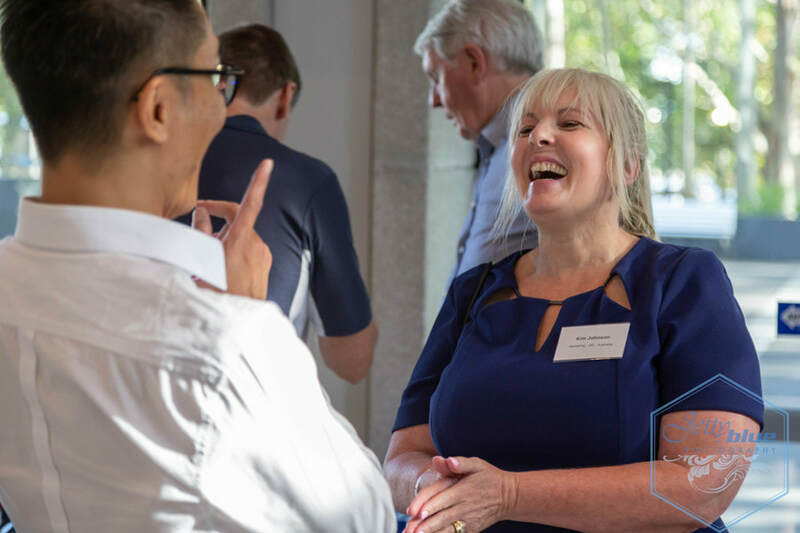 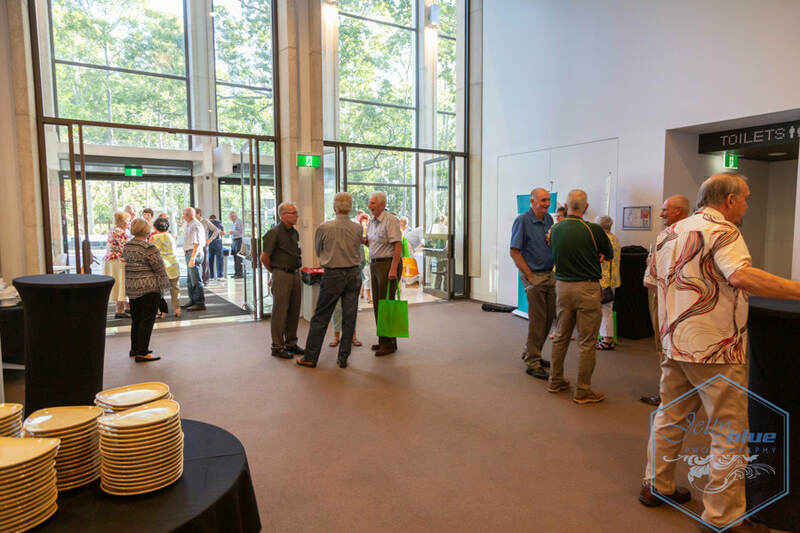 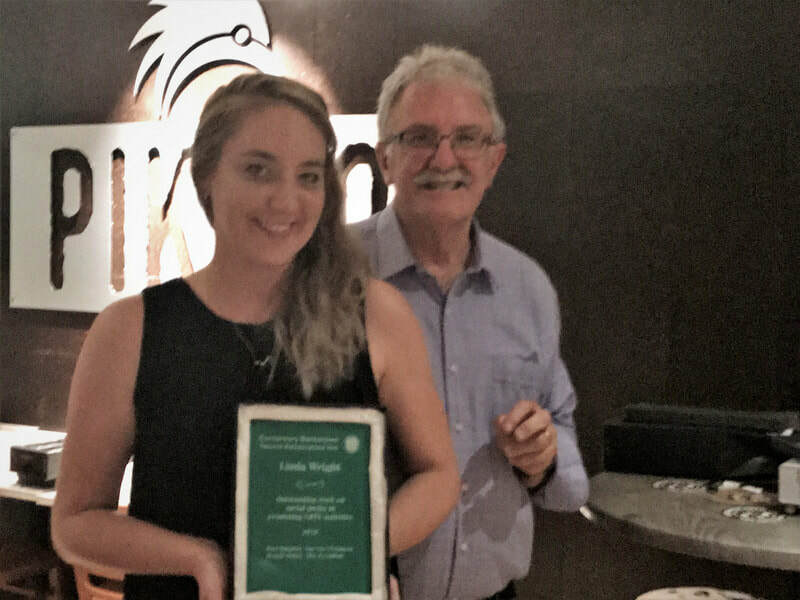 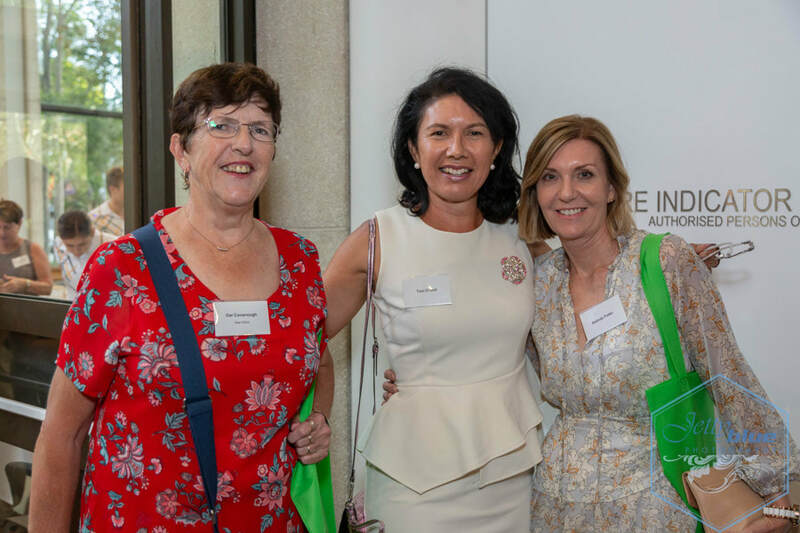 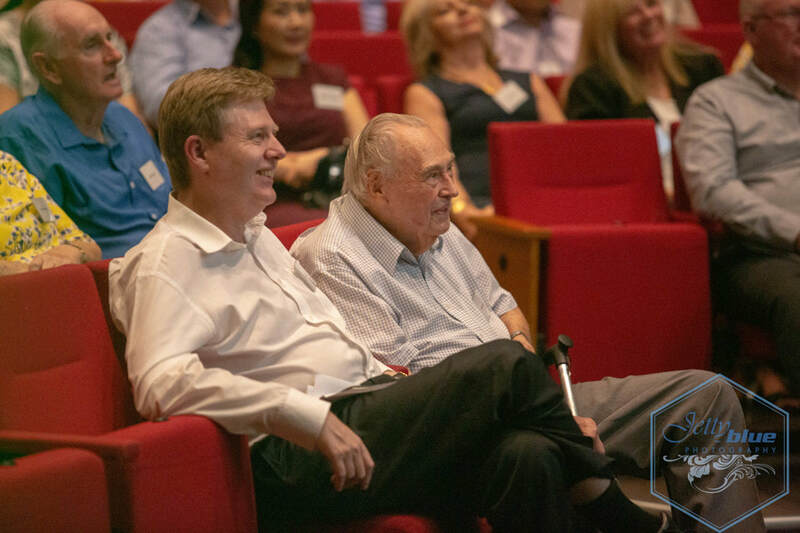 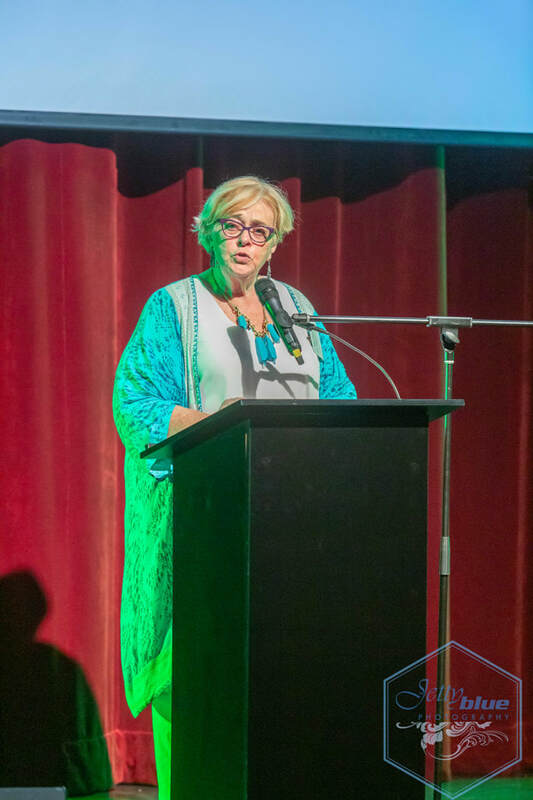 The book was officially launched at the reunion event on FRIDAY 1 MARCH 2019, and is available for purchase on the CBTA website www.cbta.com.au. 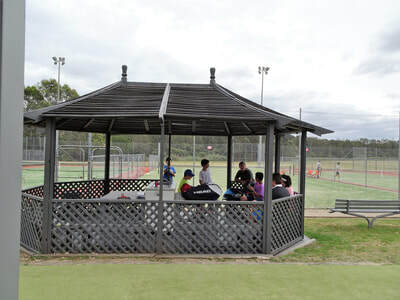 After purchase, collection may be arranged through contacting enq@cbta.com.au. 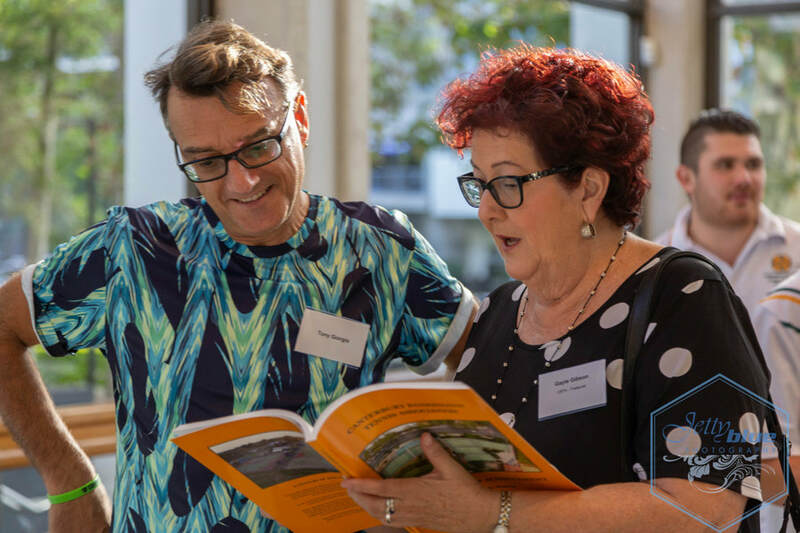 It is a must read and it is a unique addition to your own special library. 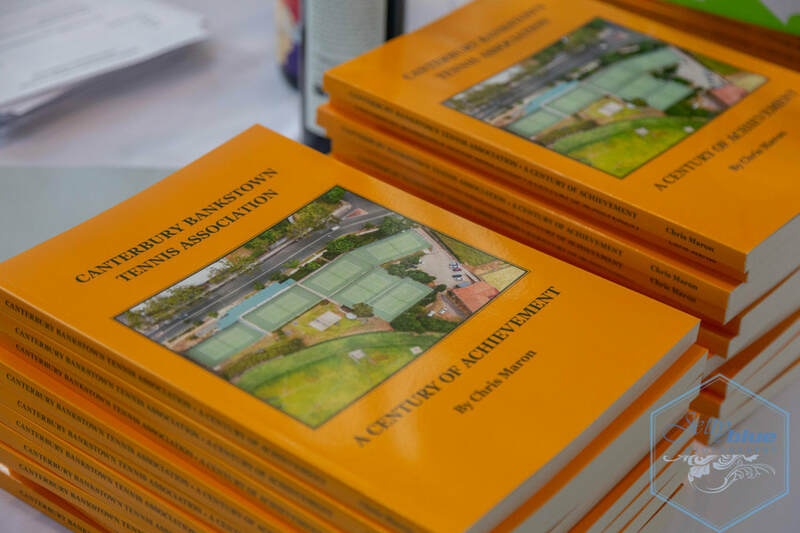 Copies will not last long, so order early to avoid disappointment! 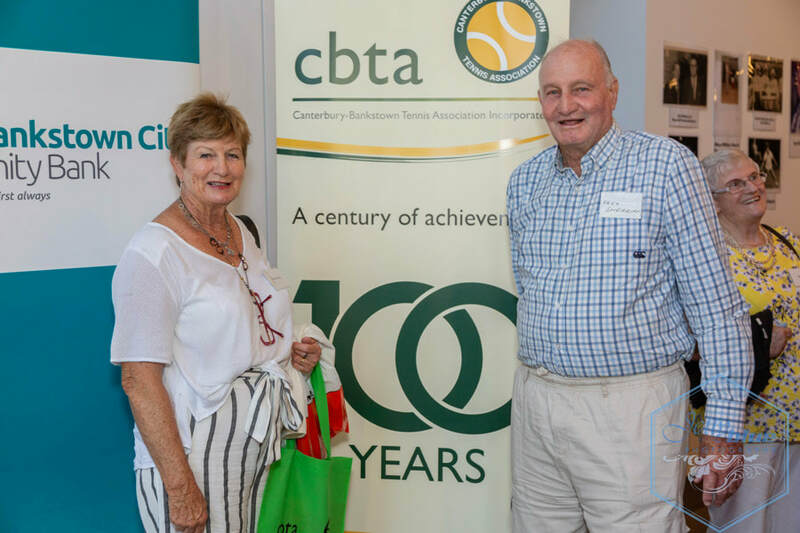 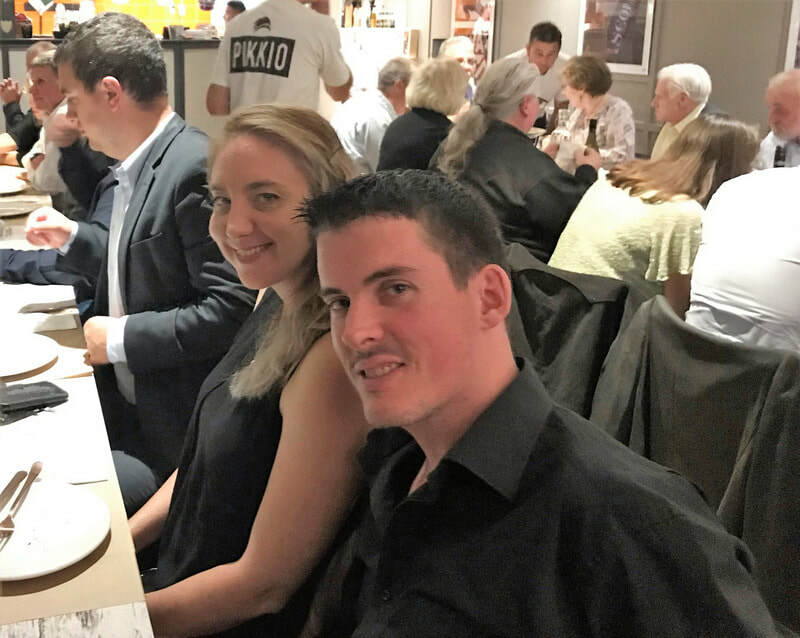 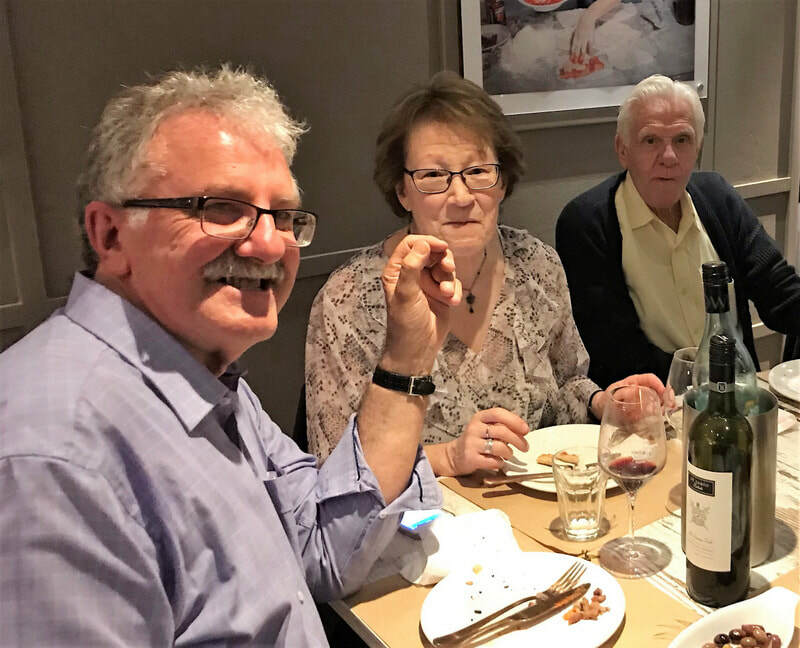 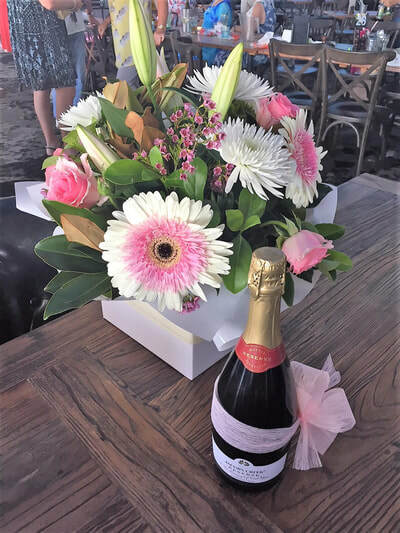 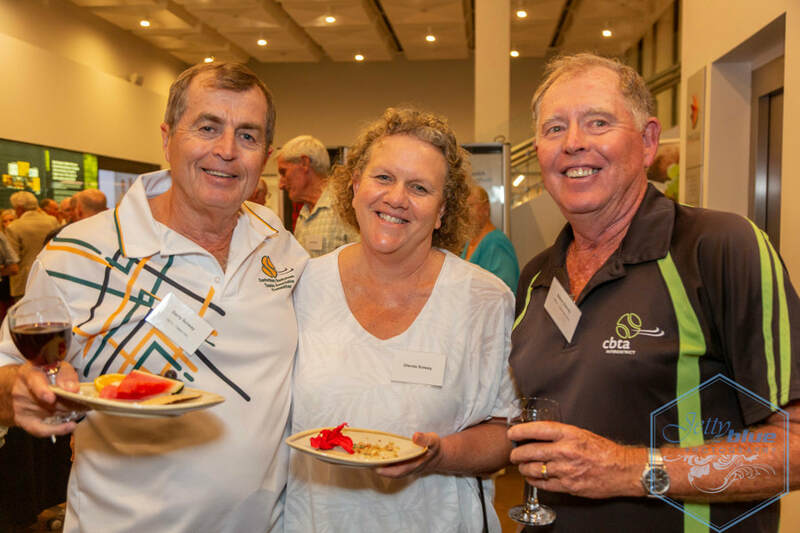 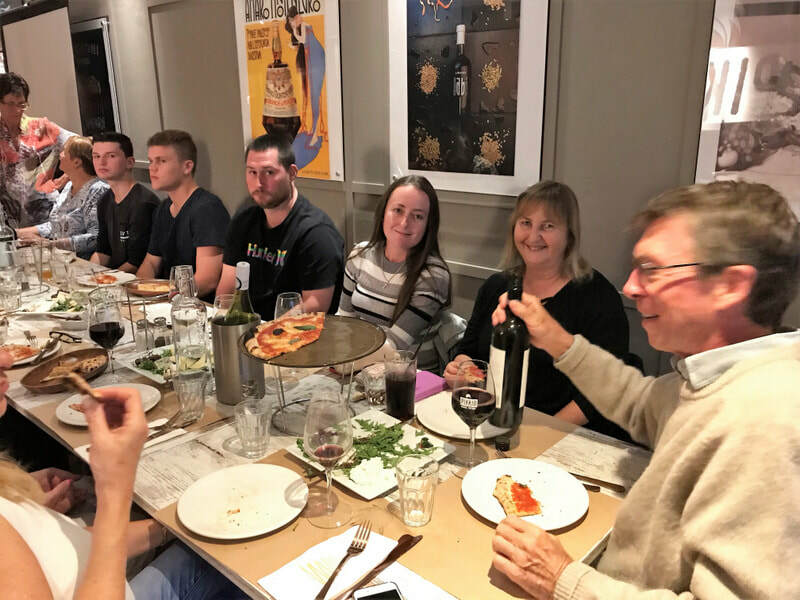 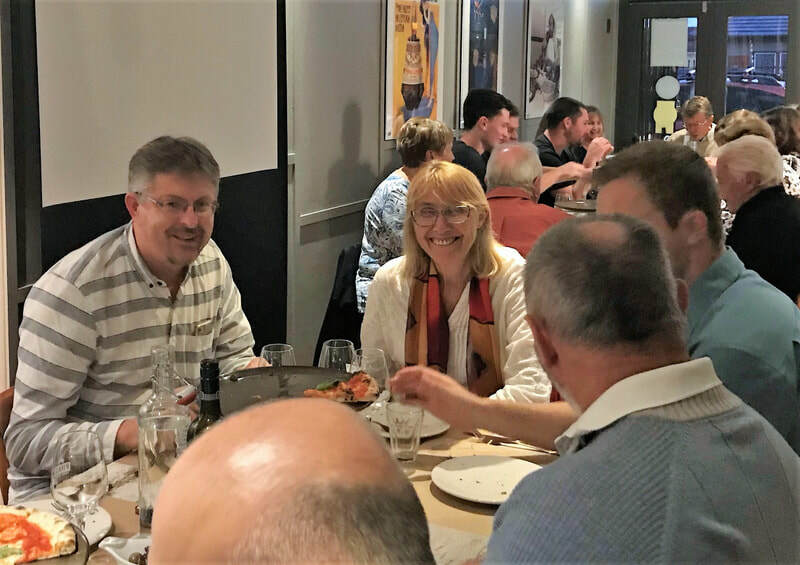 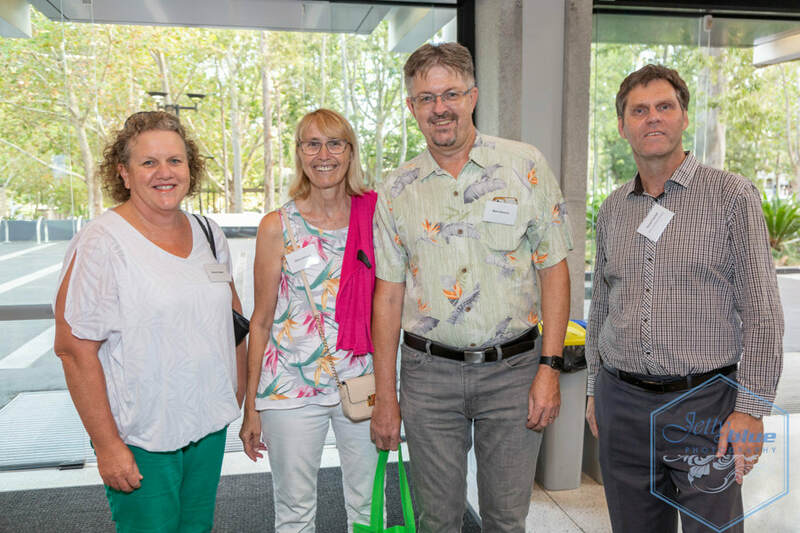 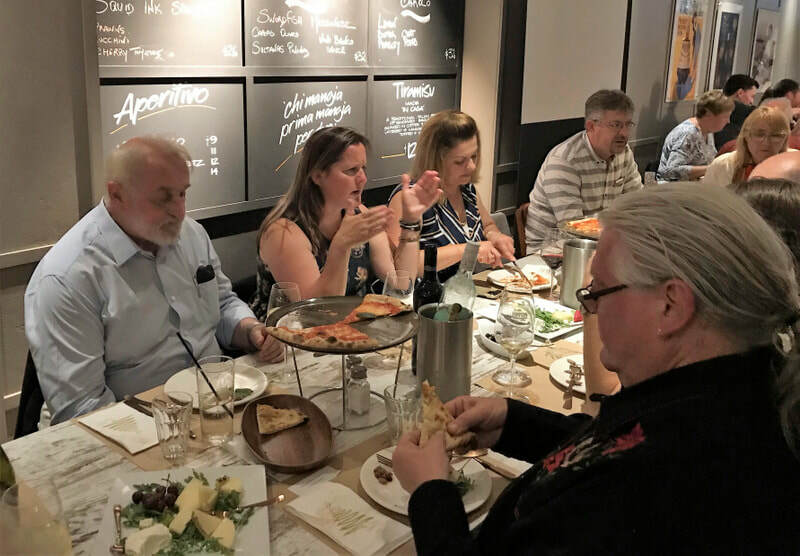 CBTA wishes to thank the Centenary Sub-Committee Roger Pitt, Paul Burgess, Adele English and Linda Wright for their organisation of the event. 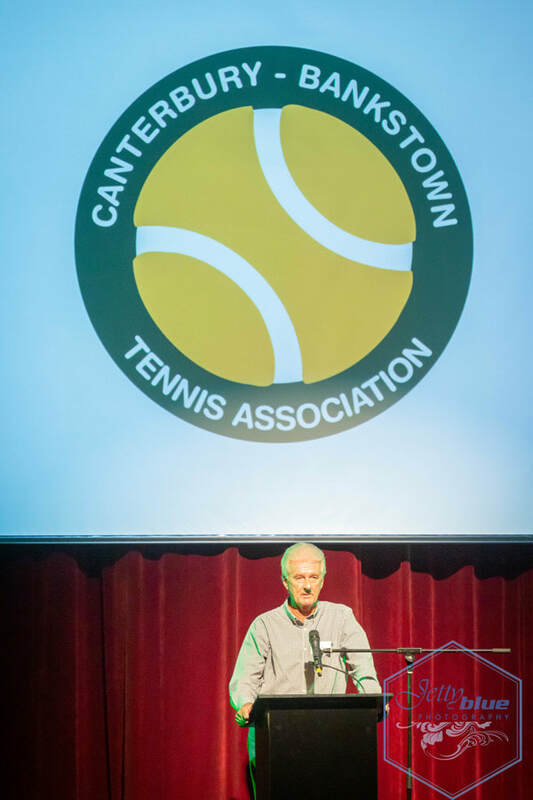 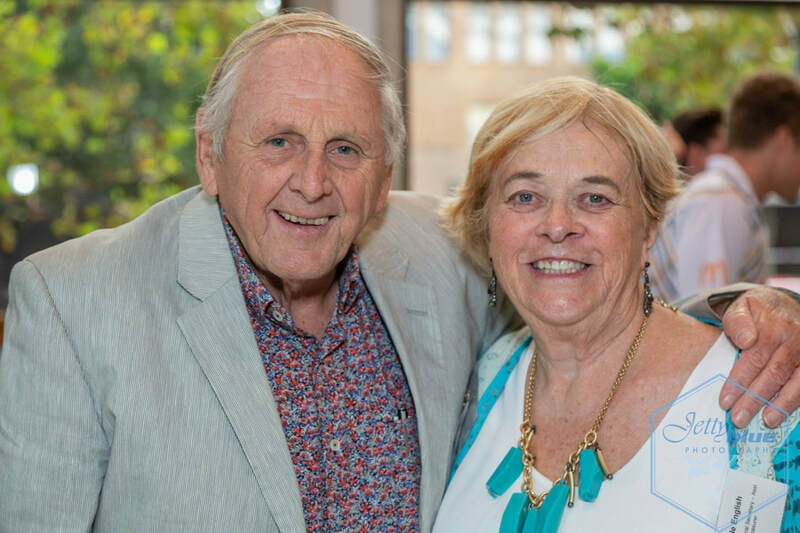 Special thanks to special guests Chris Maron, author of 'CBTA: A Century of Achievement' and Clr Linda Downey who presented on the evening. 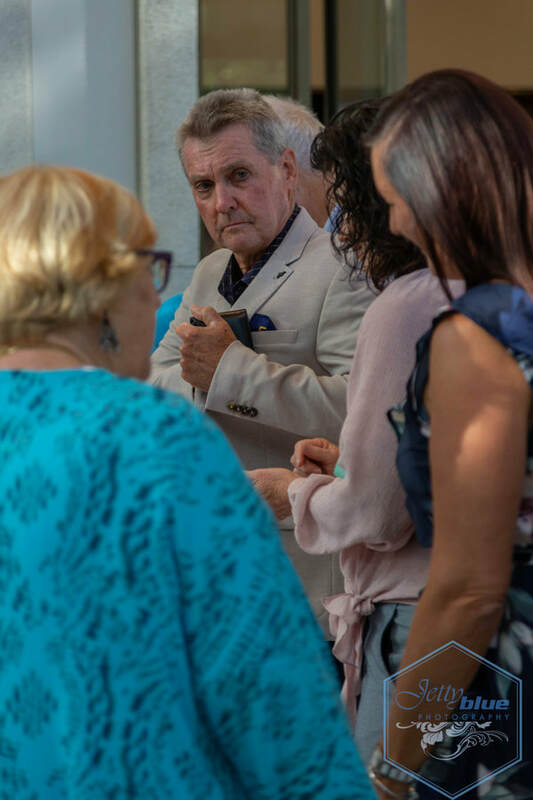 Prints of the images are available through Jetty Blue Photography via the below link. 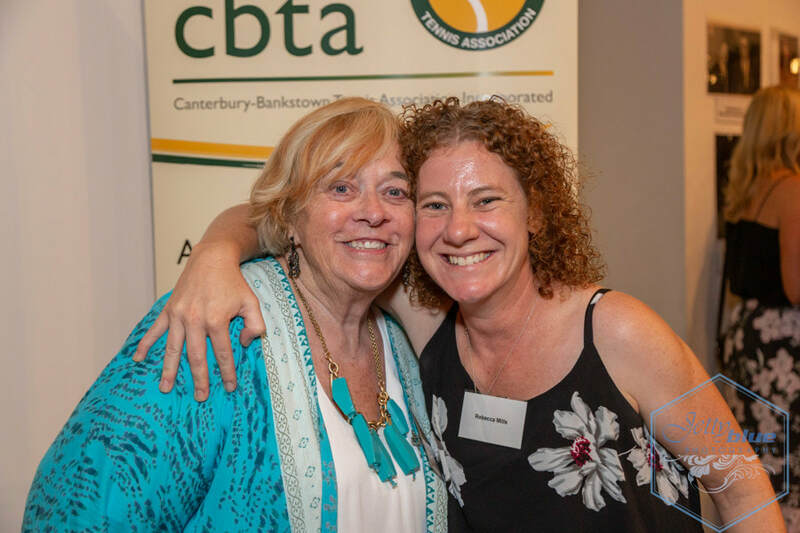 We thank Jetty Blue Photography for capturing the memories and moments which will be a continued part of CBTA history. 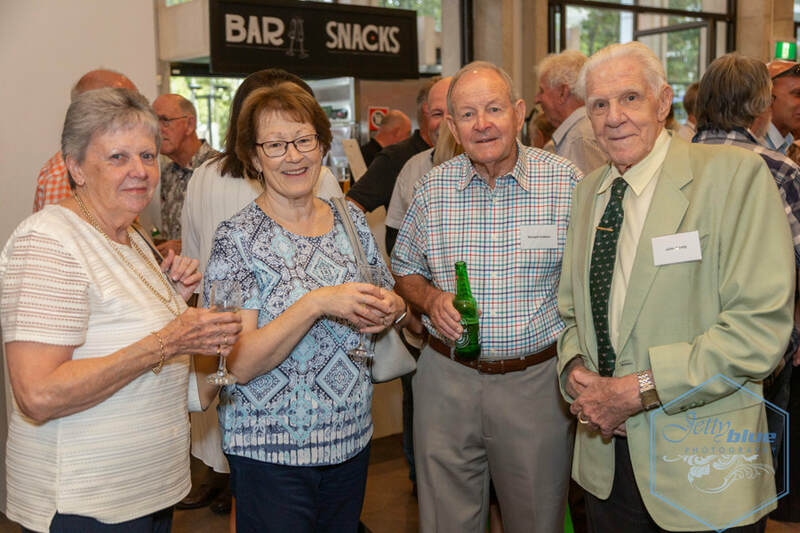 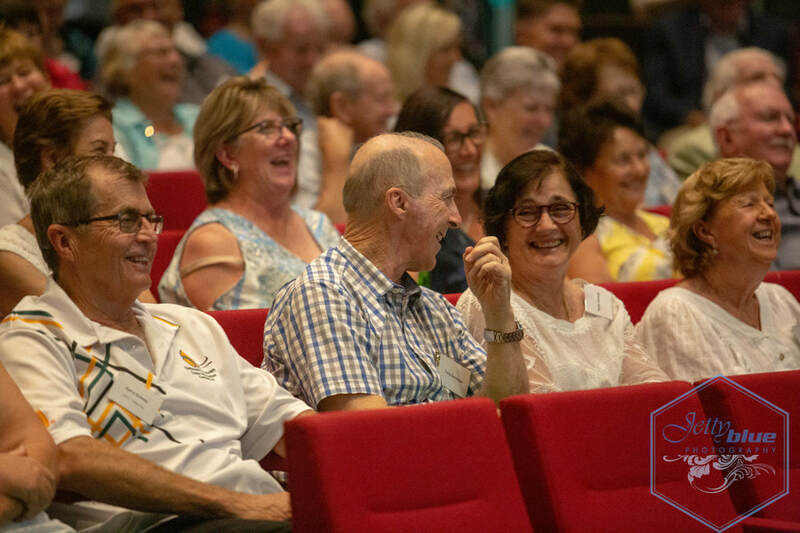 We hope you enjoyed the reunion and that we see you at the upcoming Centenary Dinner Event, September, 2020. 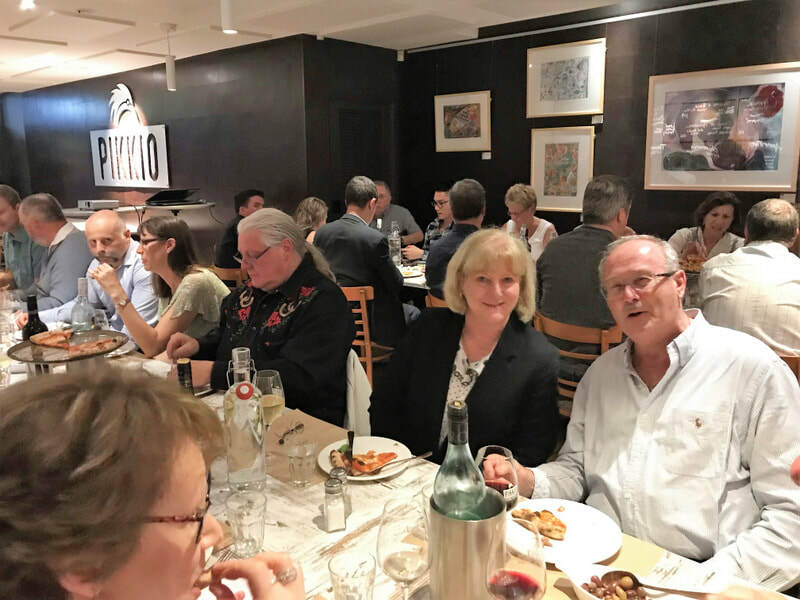 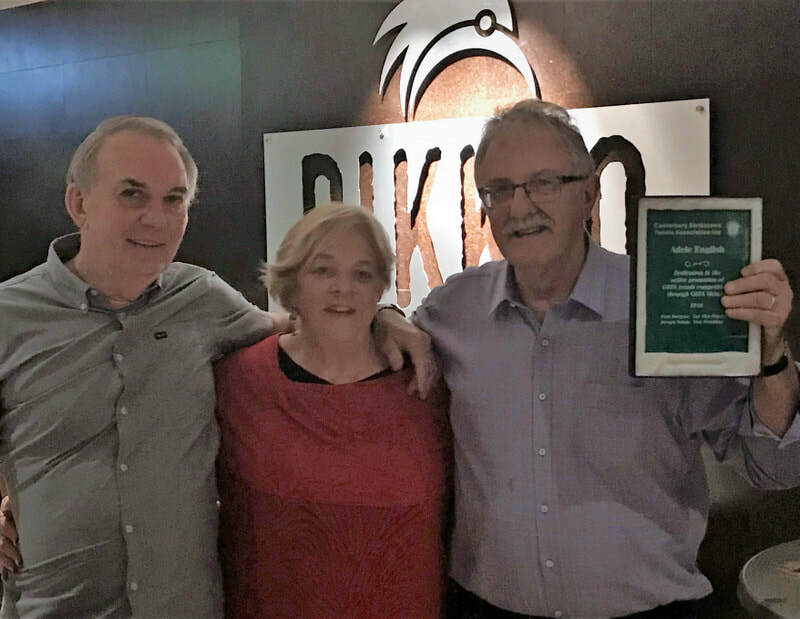 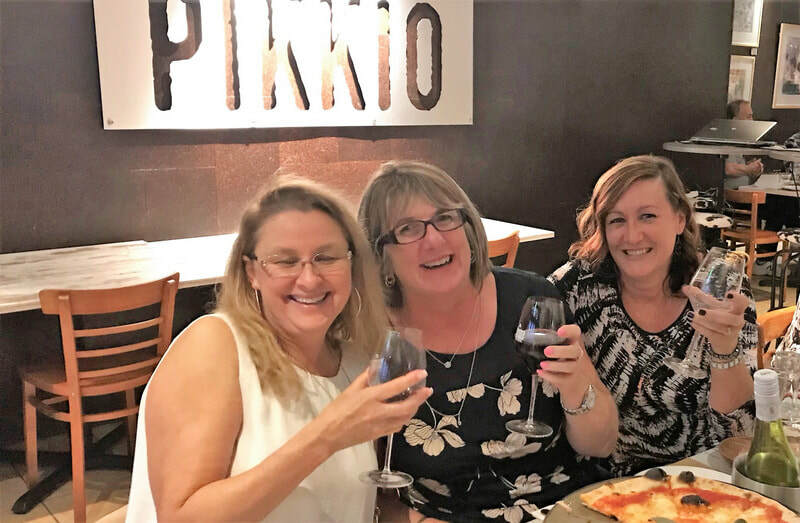 The CBTA Corporate Dinner was held at Pikkio's restaurant, Panania. 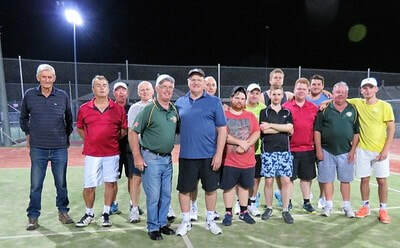 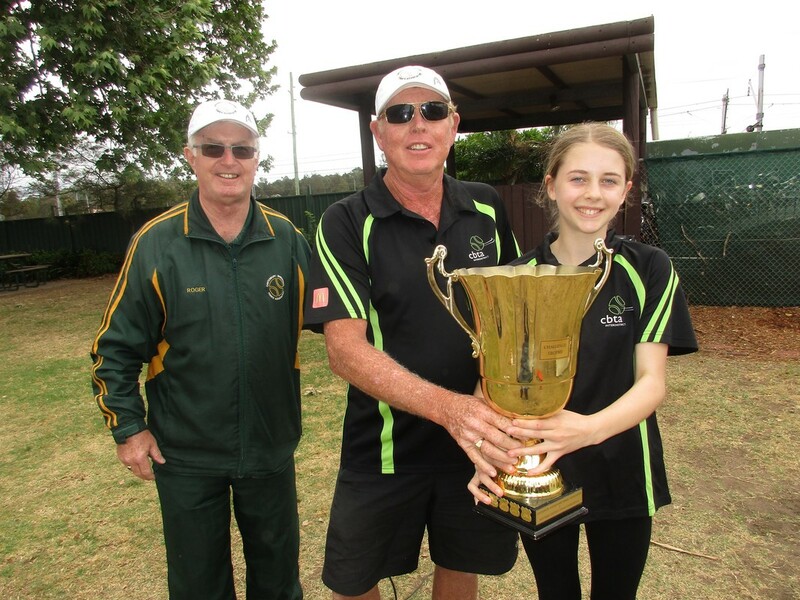 Special guests included Mr & Mrs Steve Tuntevski (representing the Mayor) and representatives from various competition teams and our Championship players. 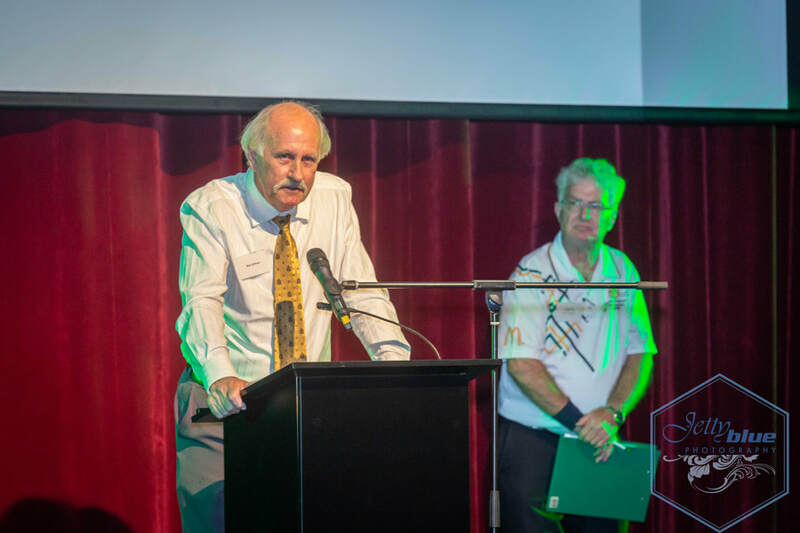 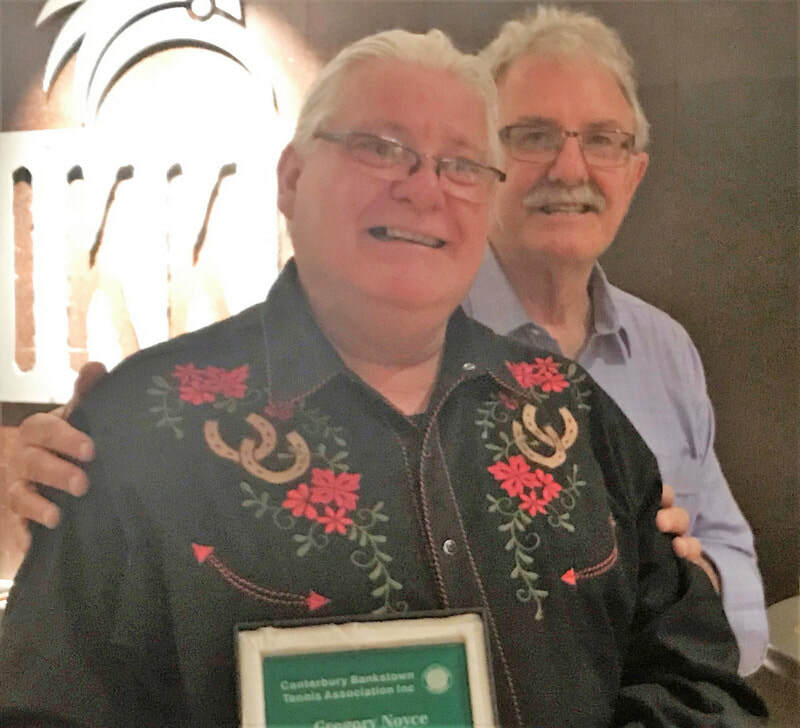 Paul Burgess gave out some special awards, all of which were a surprise, congratulations to all recipients. 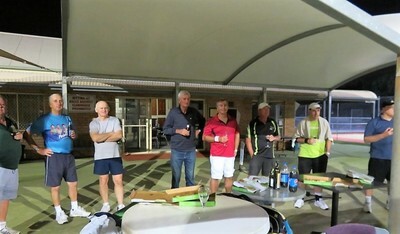 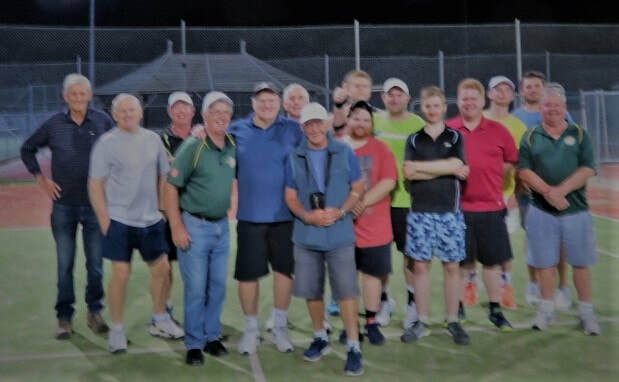 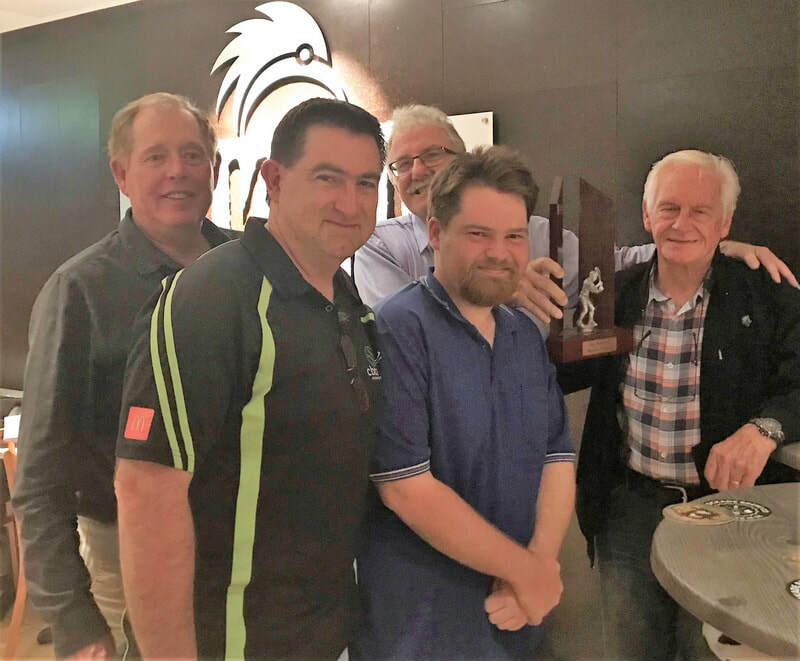 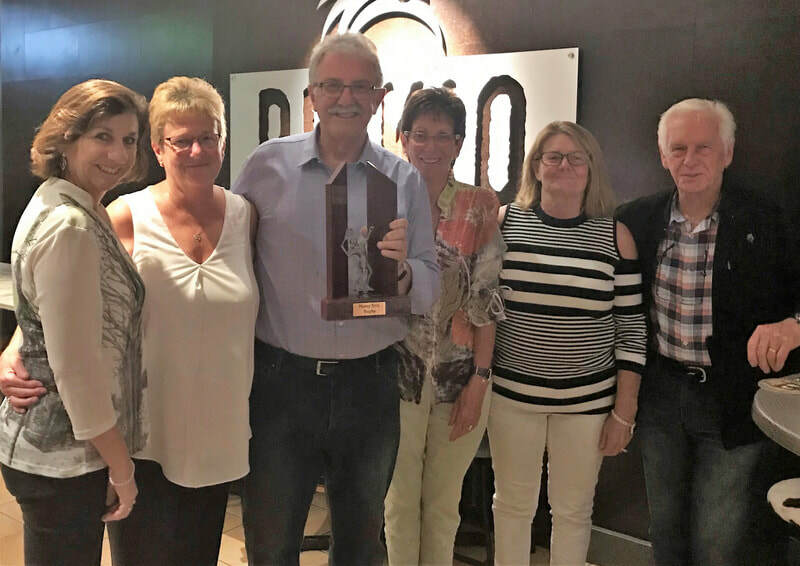 The Nancy Sims trophy for the Thursday ladies was presented to the ladies, the Ray Holbrook Memorial trophy was presented to the Thursday gents and the Glen Brookes trophy for Saturday Afternoon Mixed Competition was also presented.to Owen Munn's team who won Division 2 in the last comp. 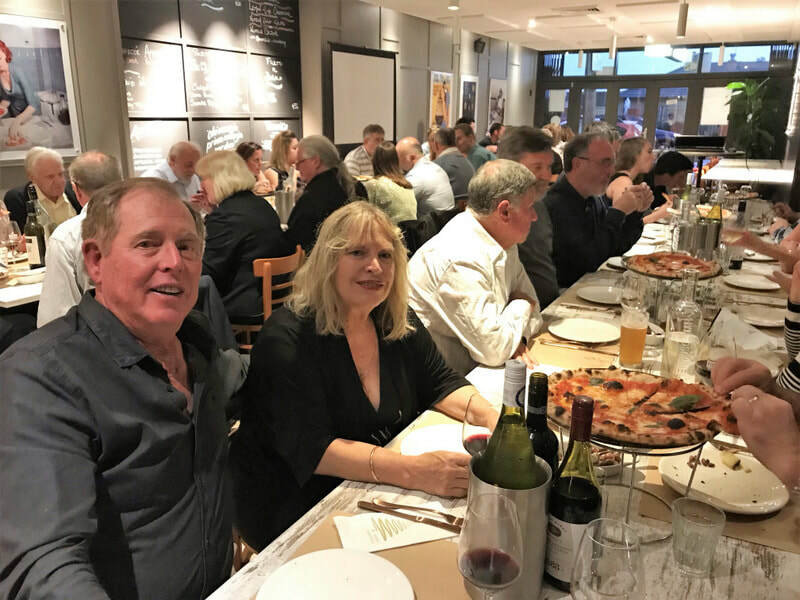 Thankyou to all for a great time! 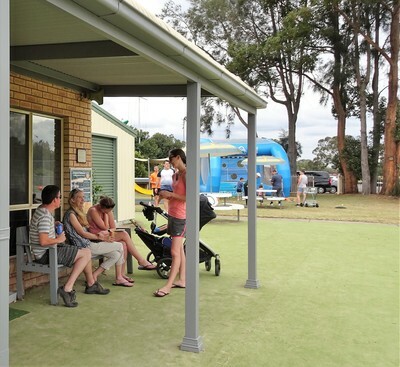 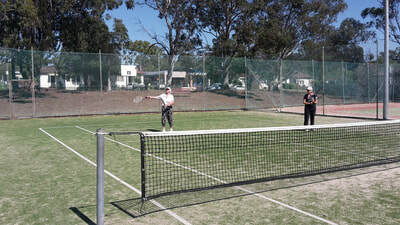 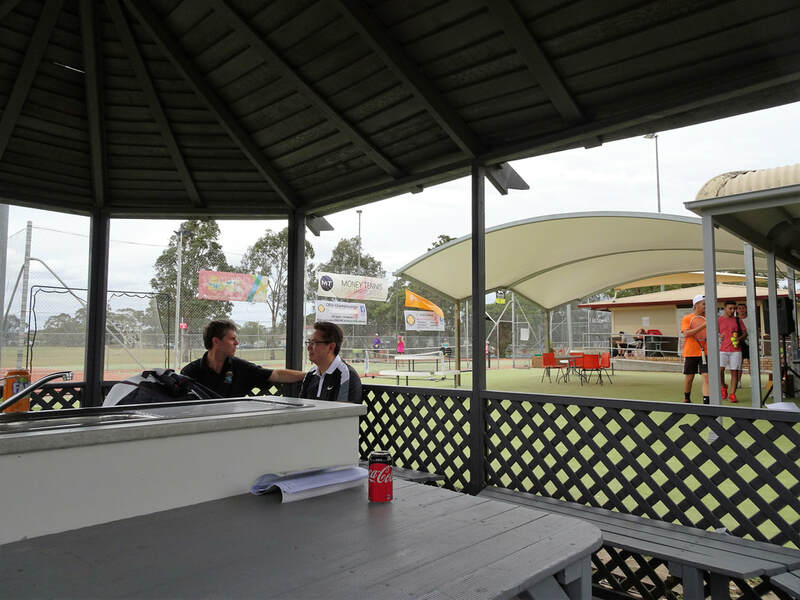 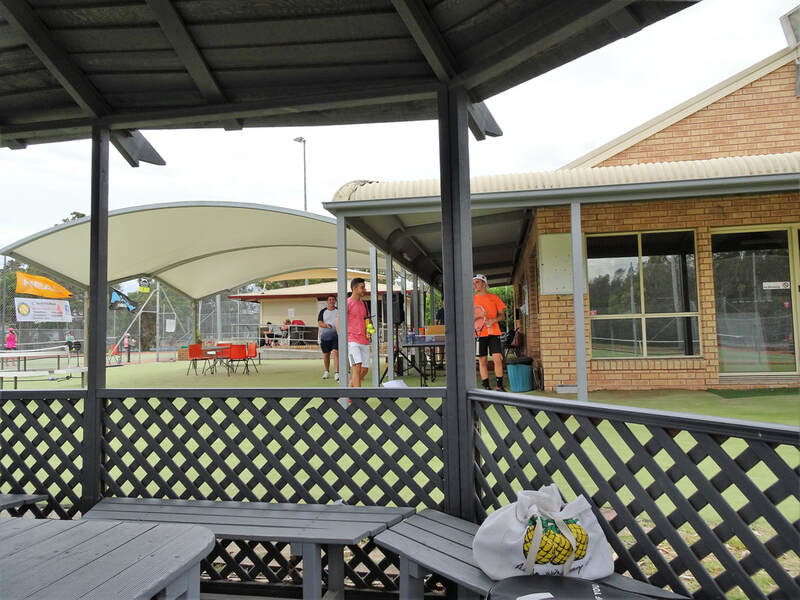 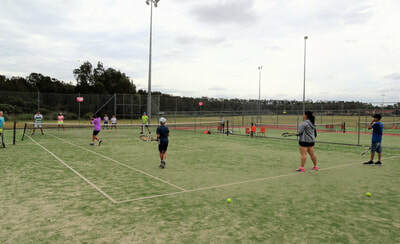 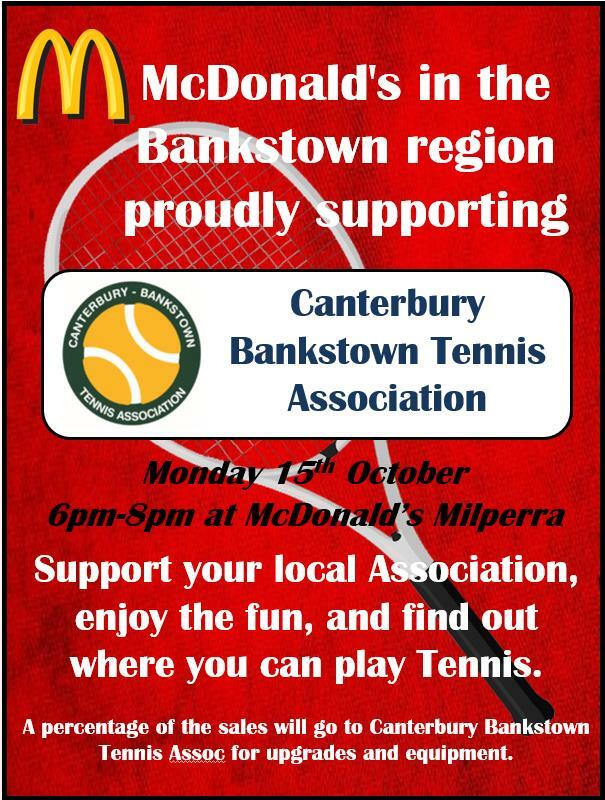 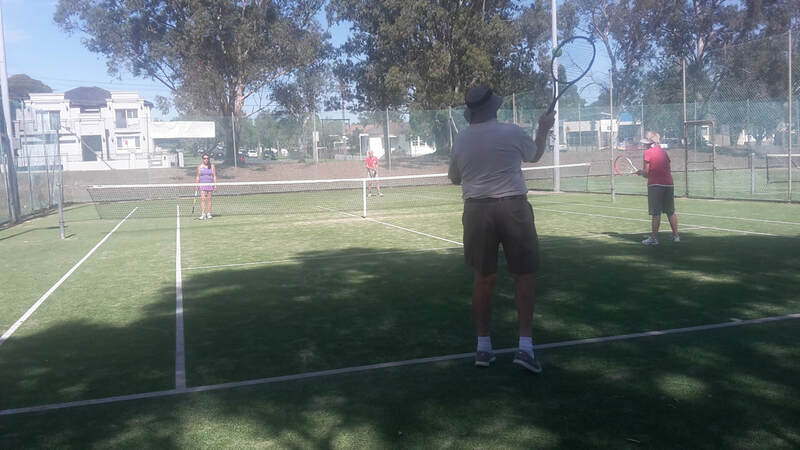 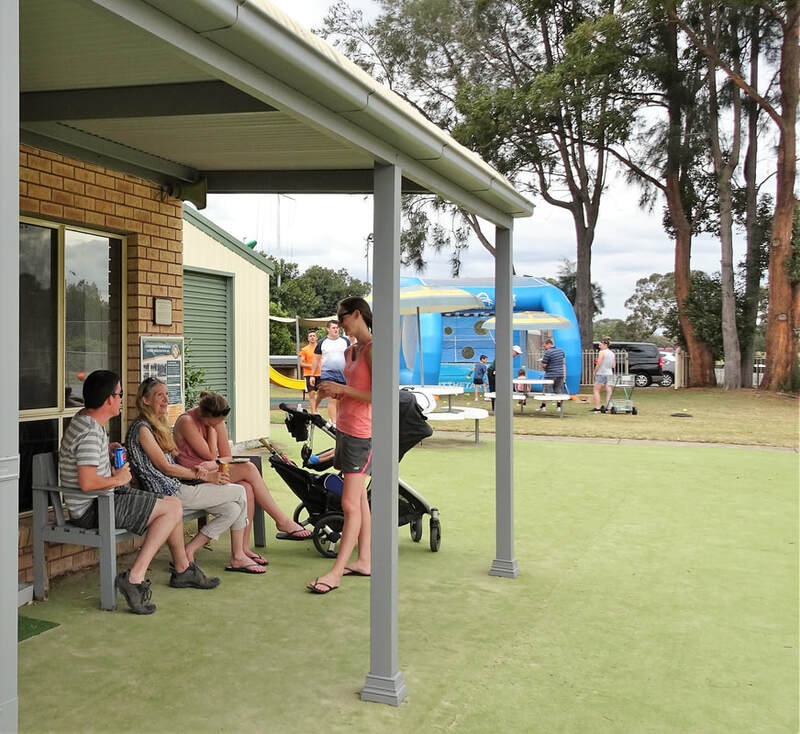 Support your local association, enjoy fun and find out where you can play tennis in Canterbury Bankstown! 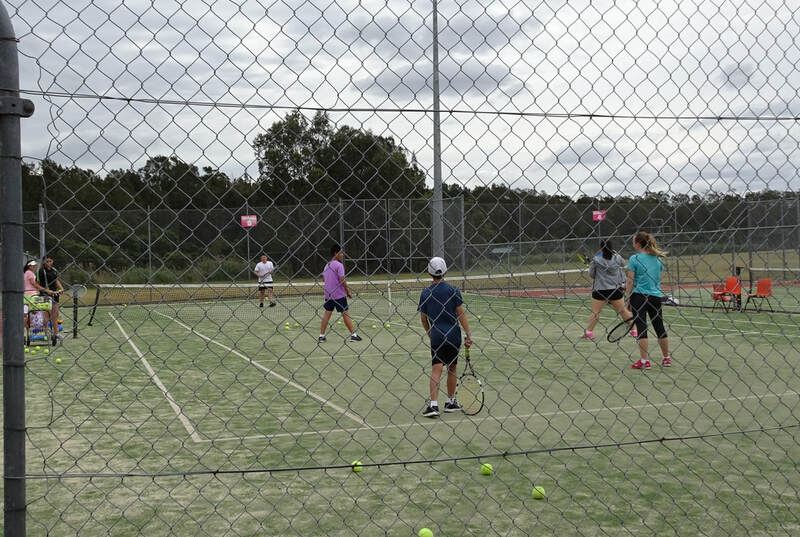 A percentage of all sales will go towards CBTA for upgrades, equipment and our upcoming Christmas Fun Day! 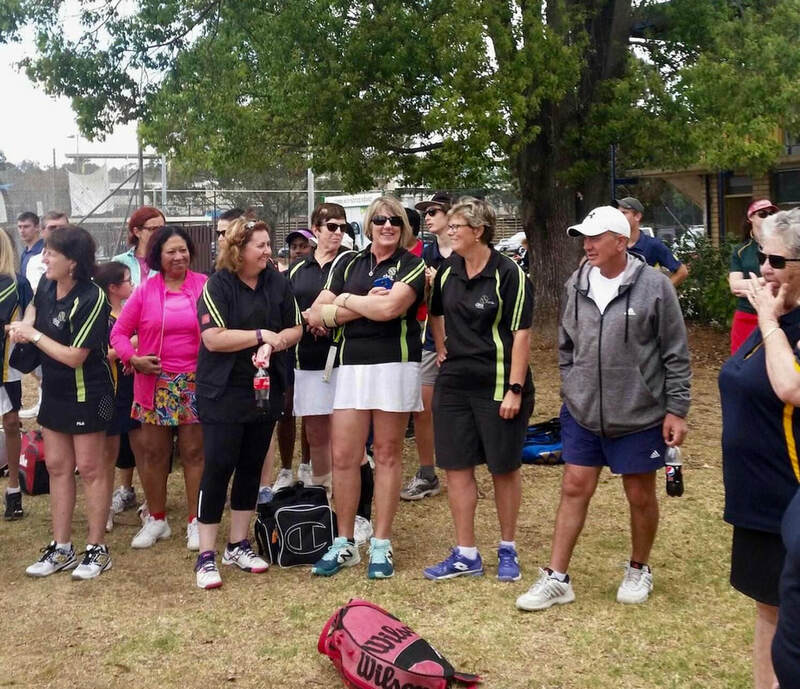 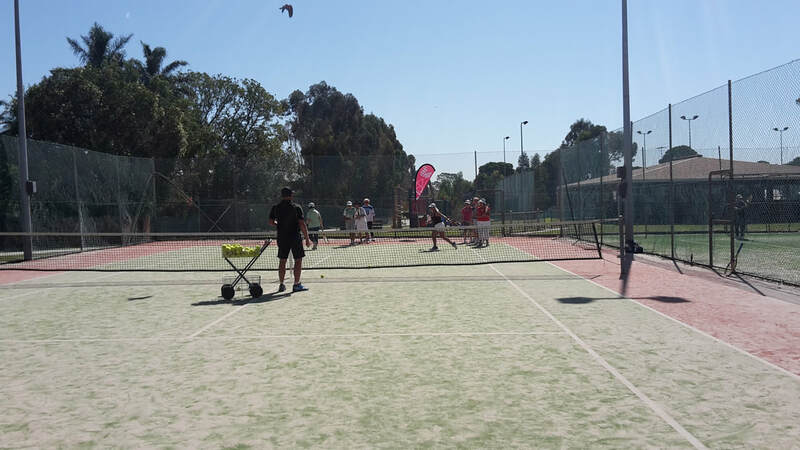 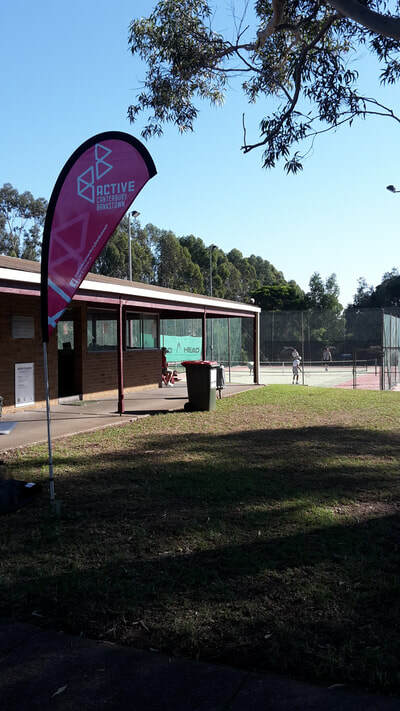 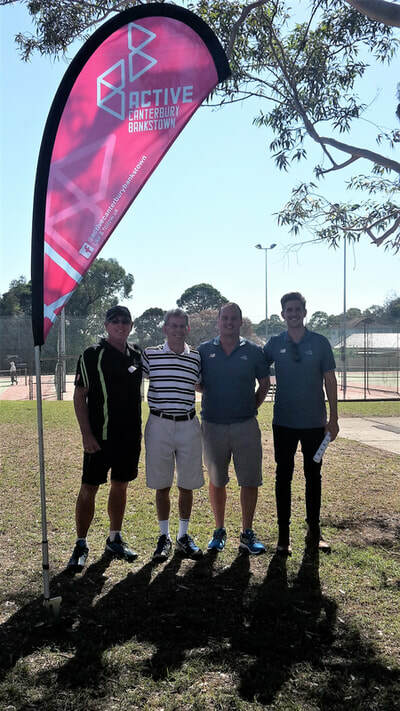 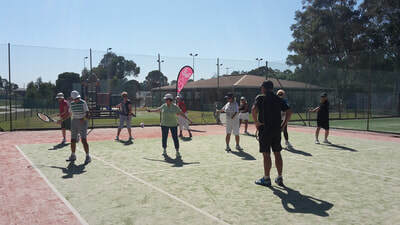 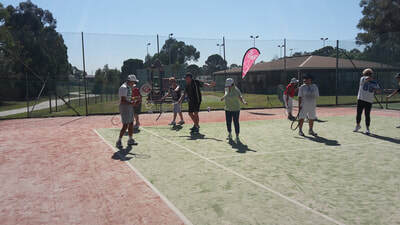 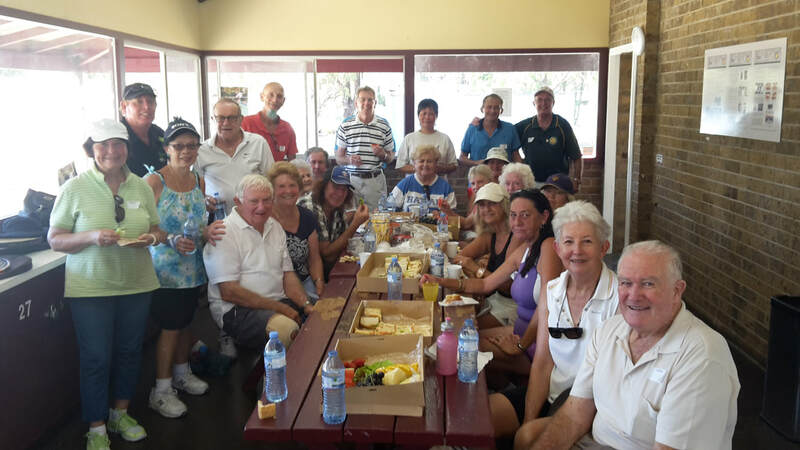 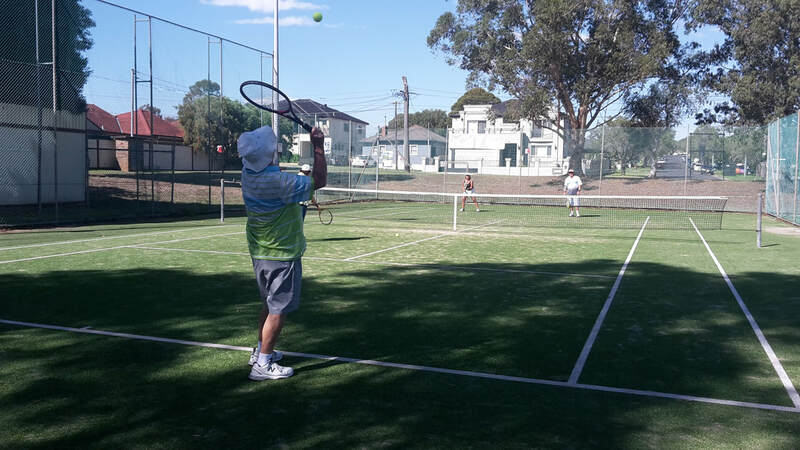 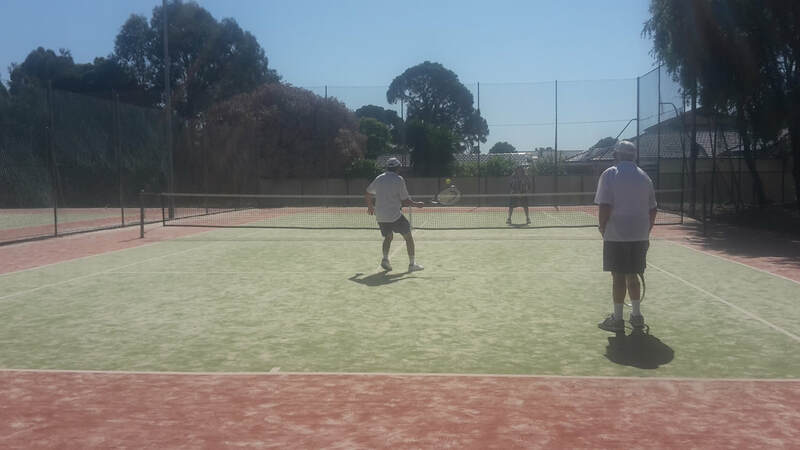 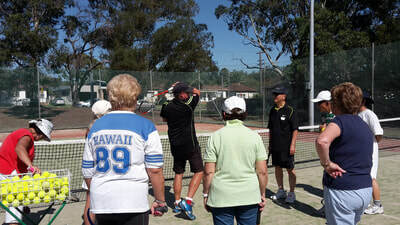 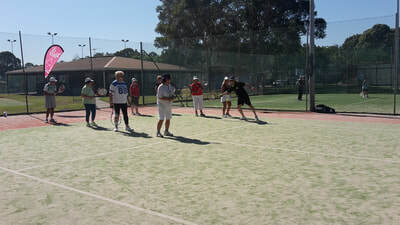 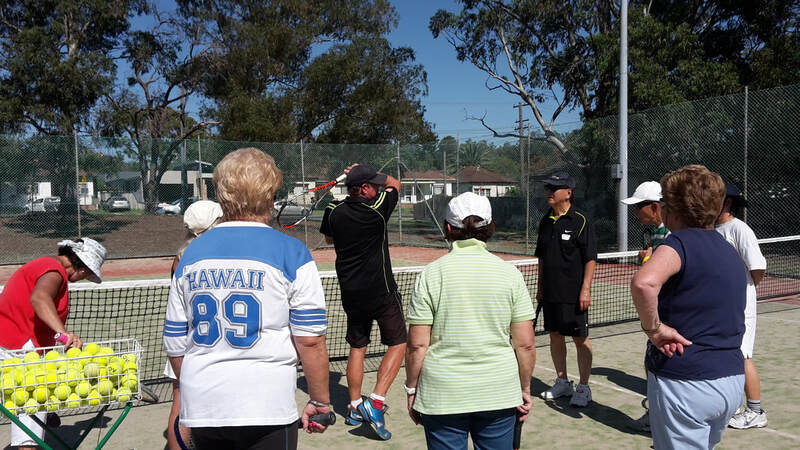 Canterbury Bankstown Council - Active Canterbury Bankstown in conjunction with CBTA ran the annual Seniors Tennis and Coaching Clinic for Seniors Week this April! 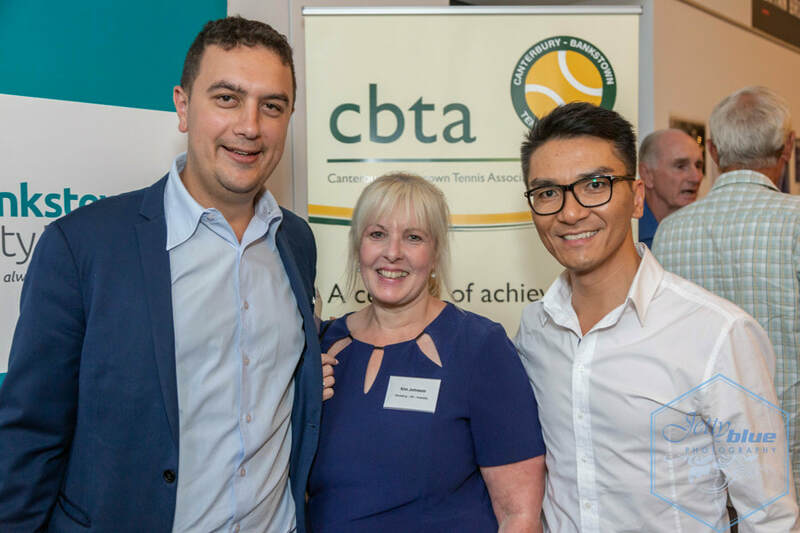 CBTA would like to thank staff Trevor, Elijah and Linda of Canterbury Bankstown Council for hosting the event, Steve Sidney of CBTA and Panania Tennis Centre for coaching on the day, BLaKC Café for catering the event, Tennis NSW for attending and a HUGE thankyou to all those who participated (especially 89year old Wilma!!) 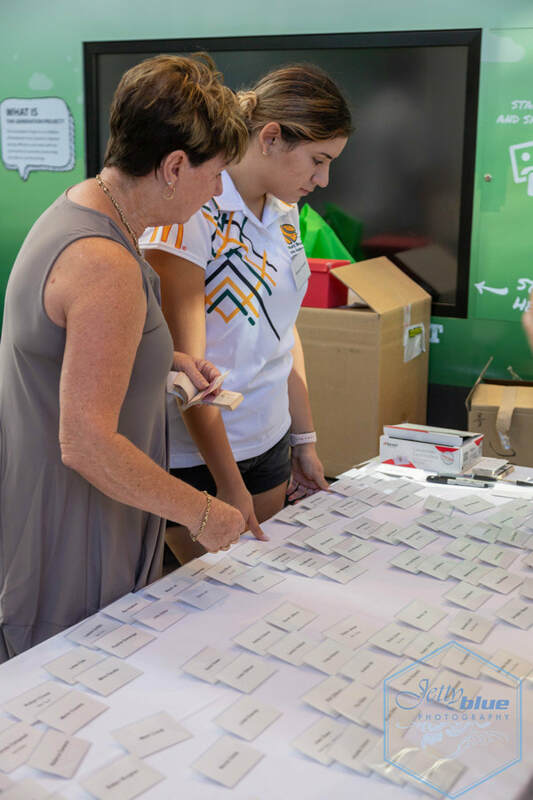 making the event the fantastic day it was! 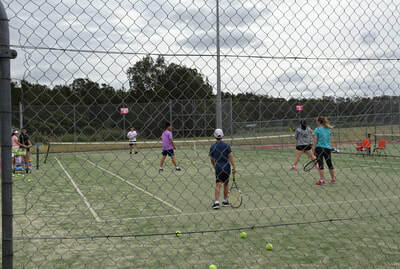 ​Keep an eye on our Camps and Clinics page for the next event! 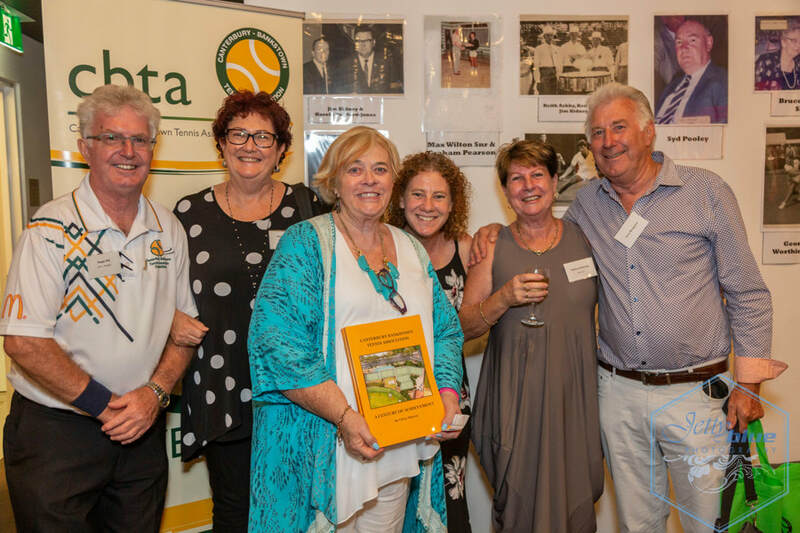 Committee members of CBTA attended the Ken Rosewall dinner in January. 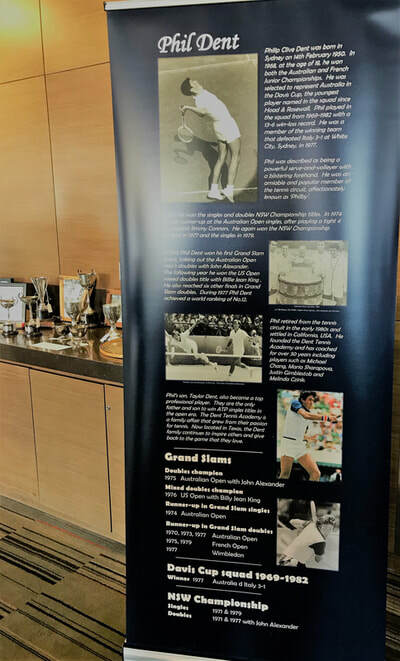 Present were many famous names: Special Guest Phil Dent (from USA), John Alexander, Rodger Waugh, Peter Hall, Champion wheelchair tennis player. 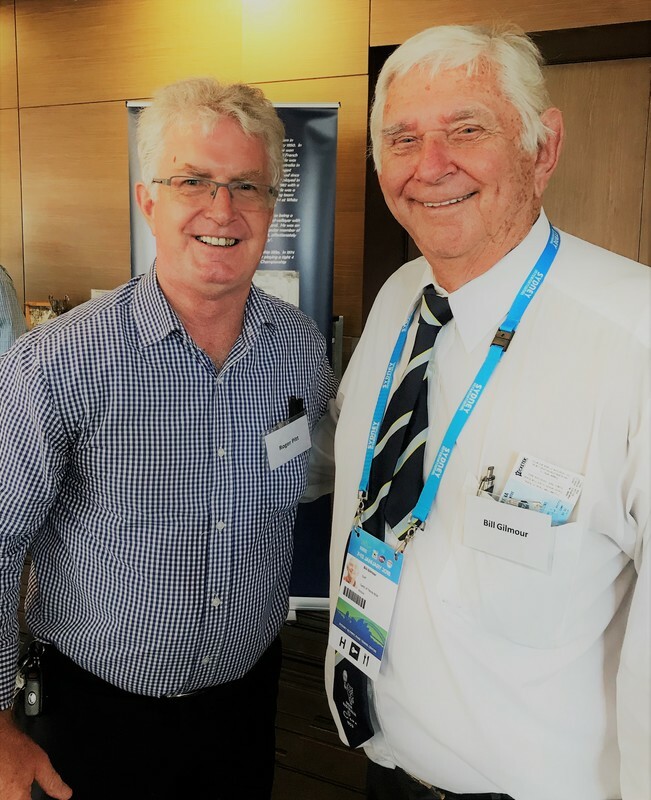 Roger Pitt got a photo with Bill GIlmore, head umpire. 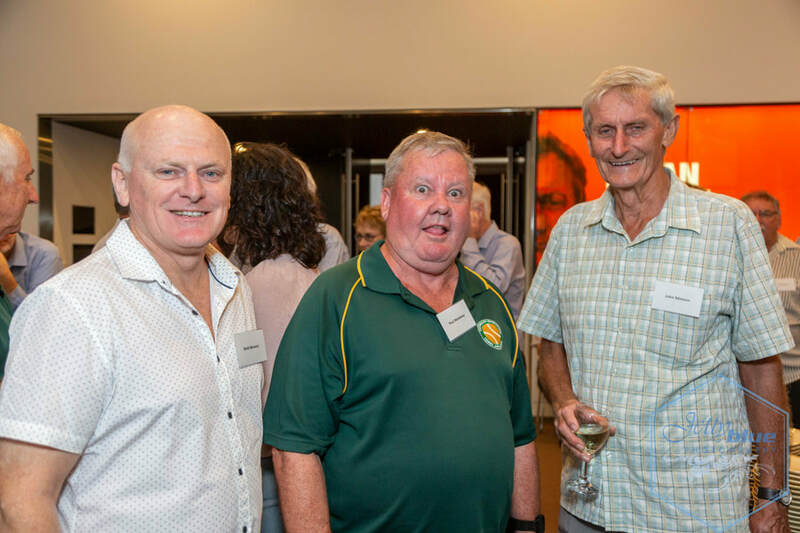 We also managed to get photos with both Ken Rosewall and Phil Dent. Later, we got to see young Alex Di Minaur in the 2nd semi finals in action at the Sydney International. 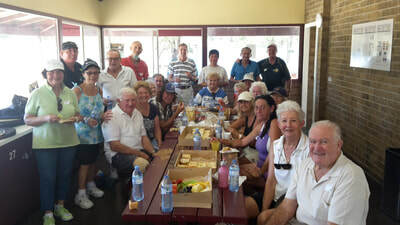 A great day! 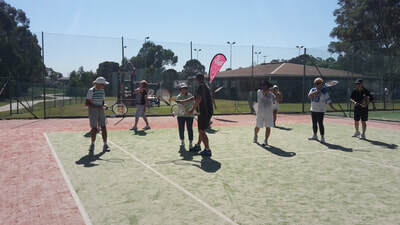 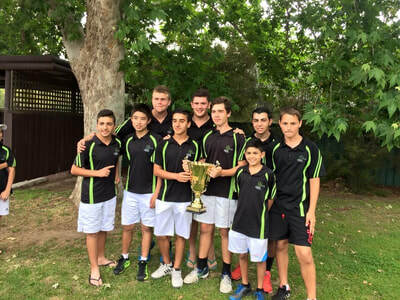 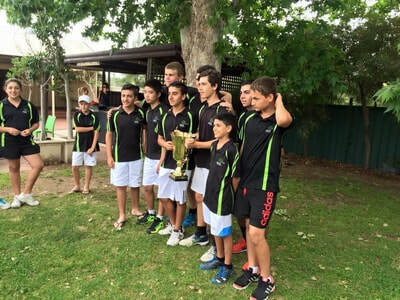 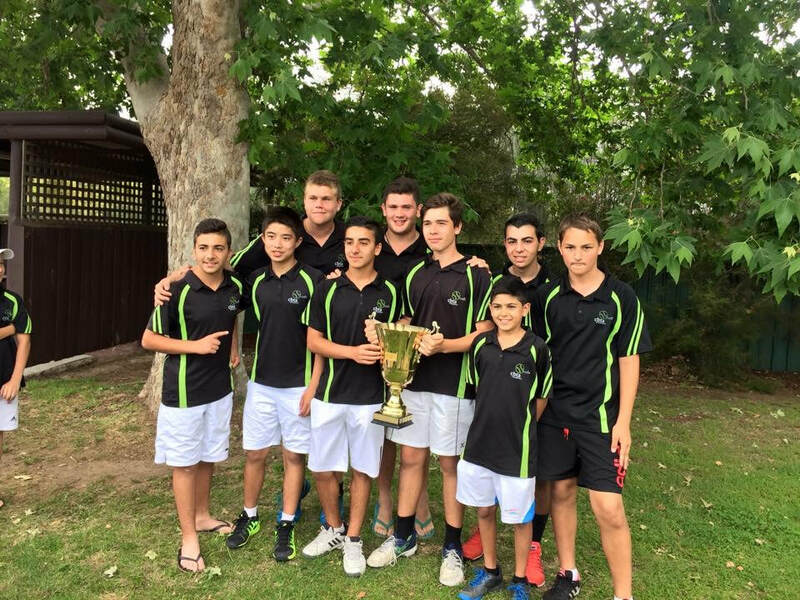 ​A great day of tennis with CBTA coming out the winners on the day!